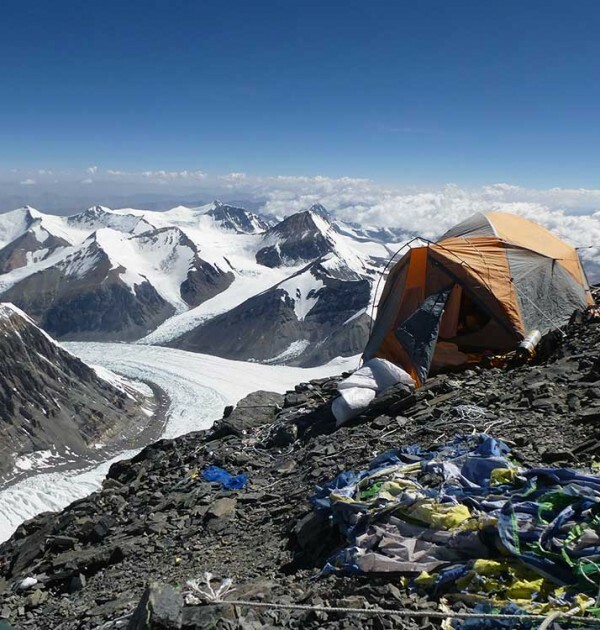 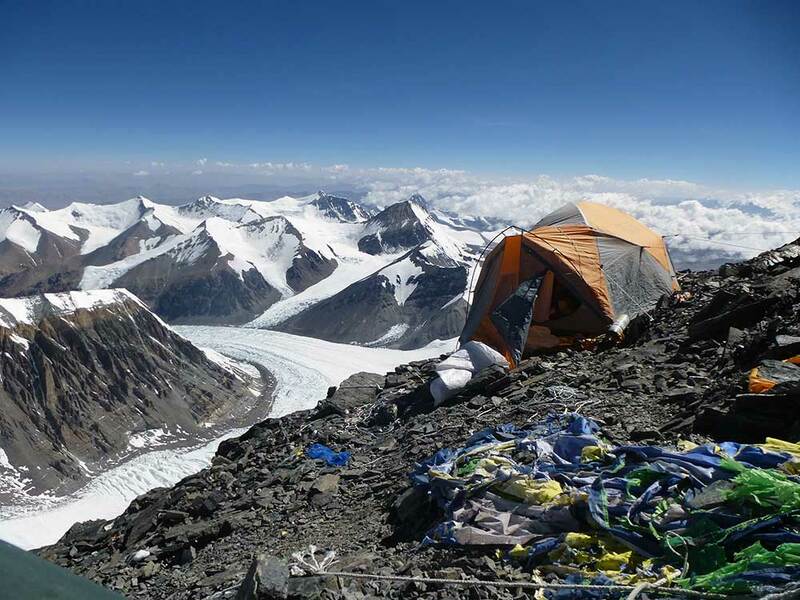 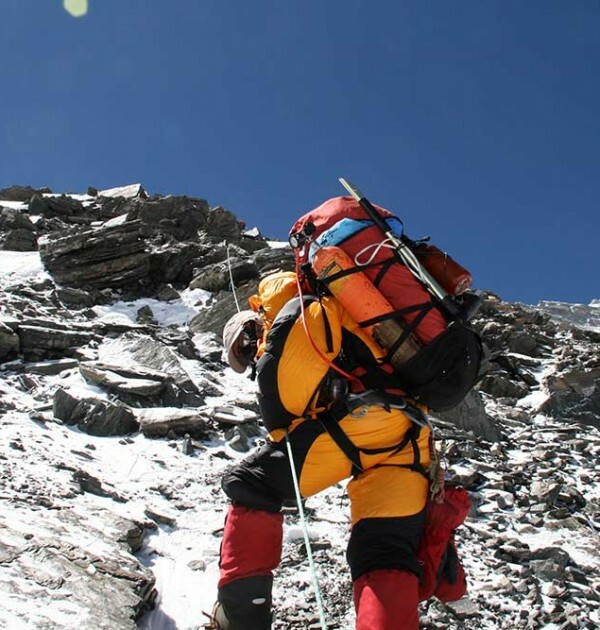 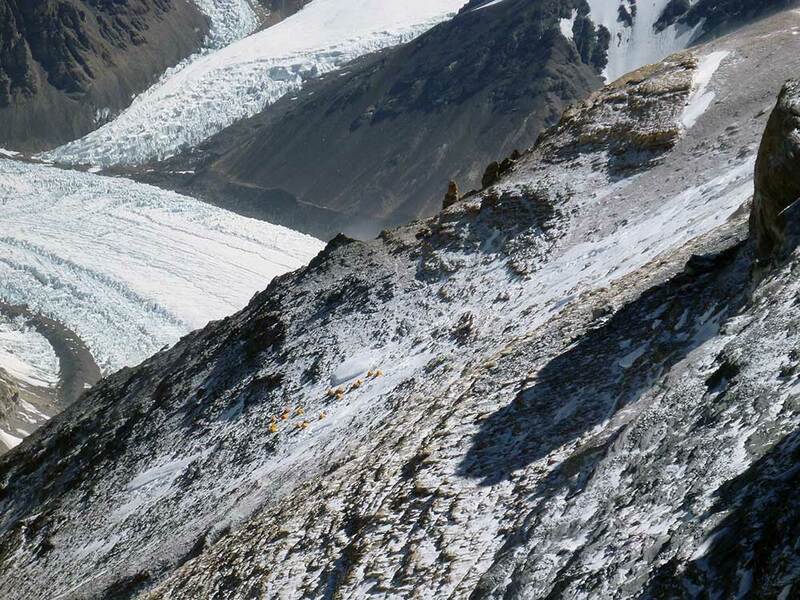 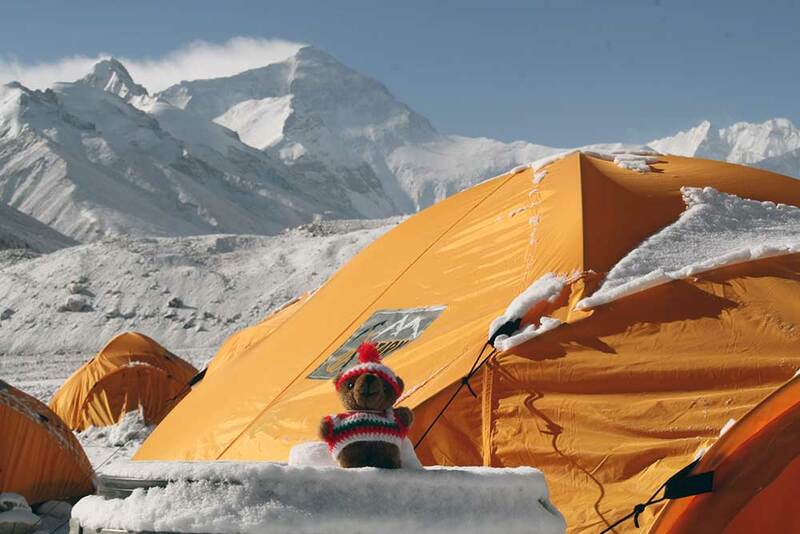 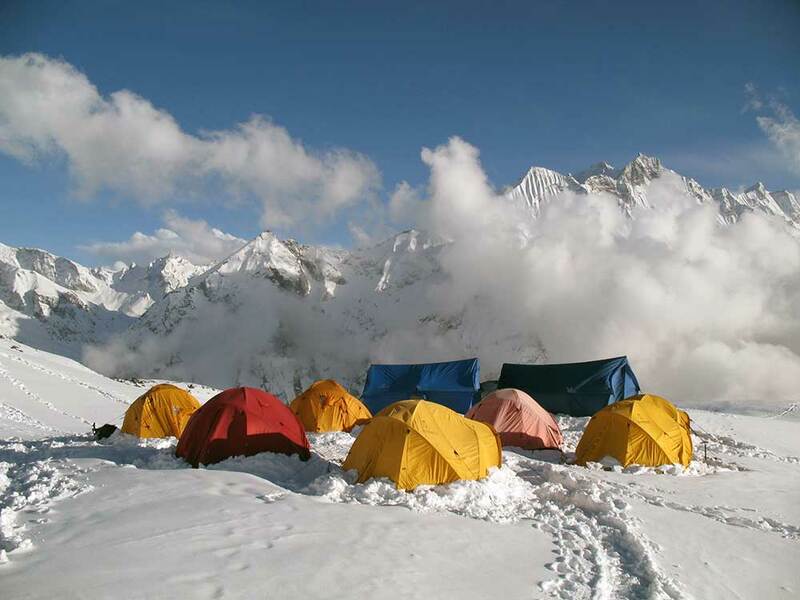 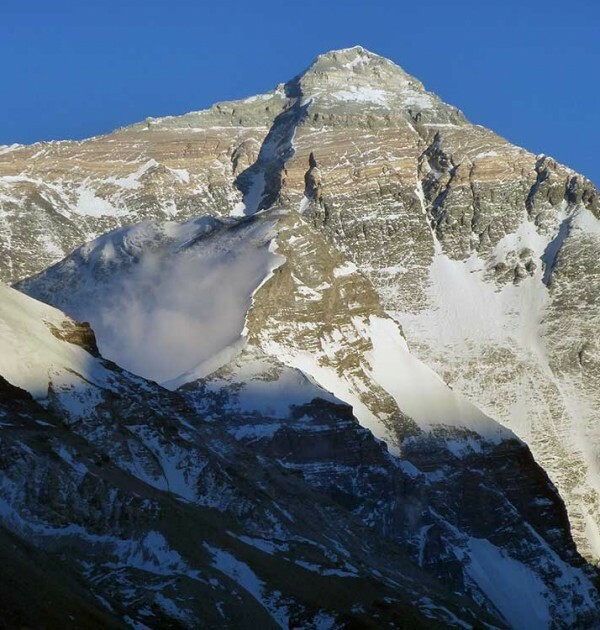 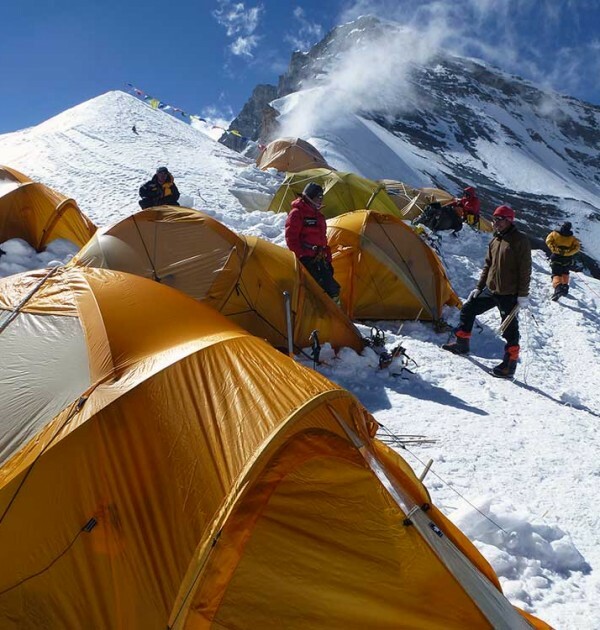 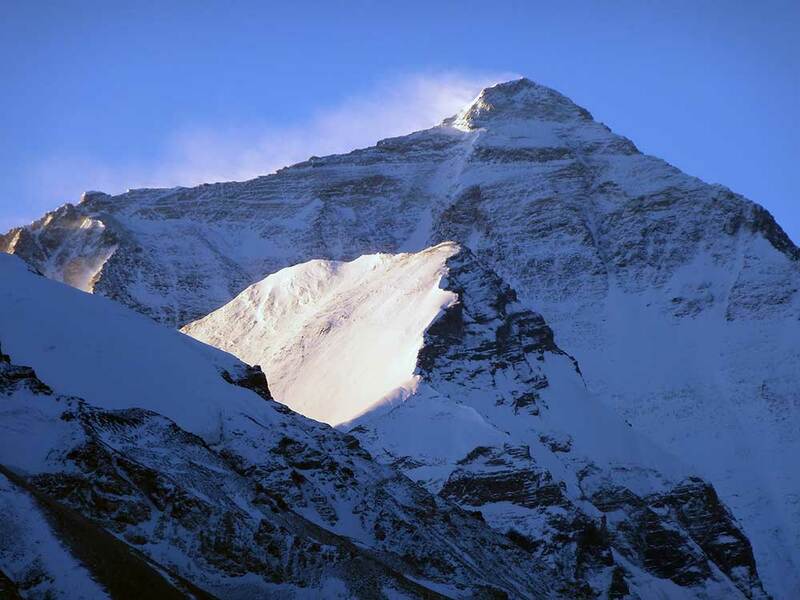 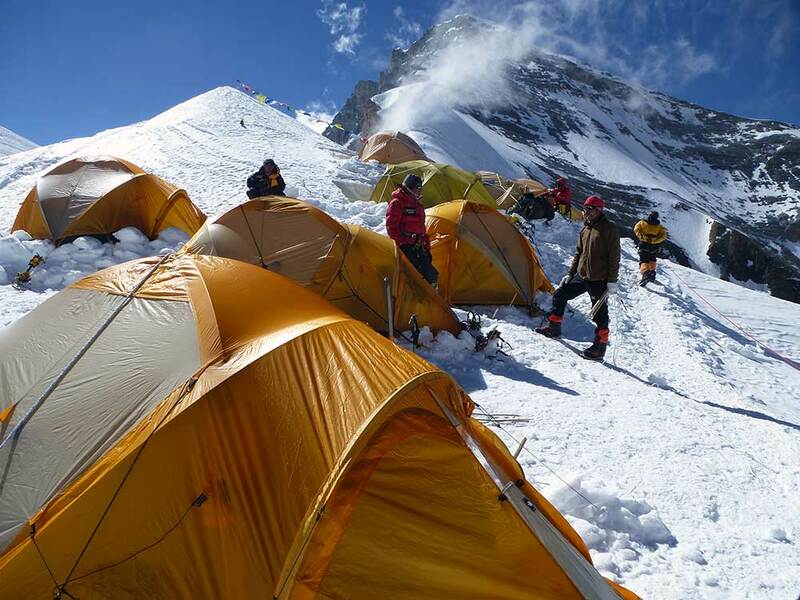 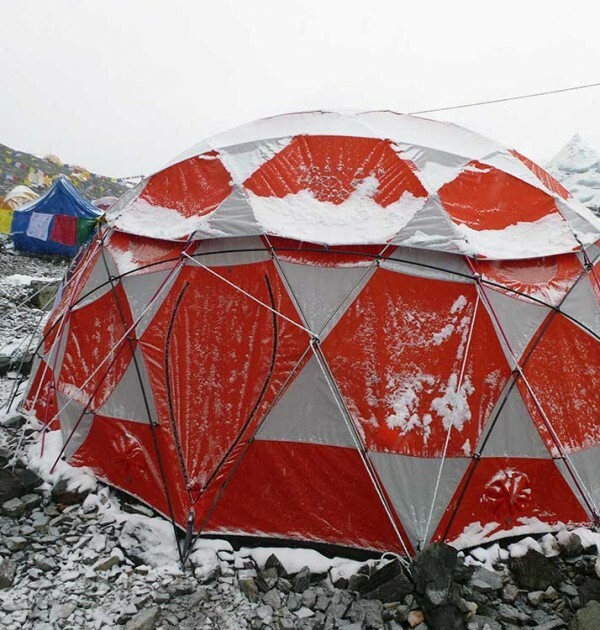 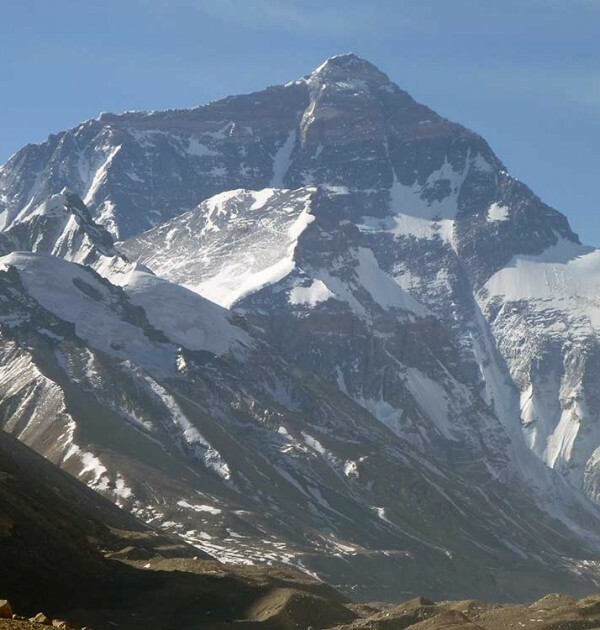 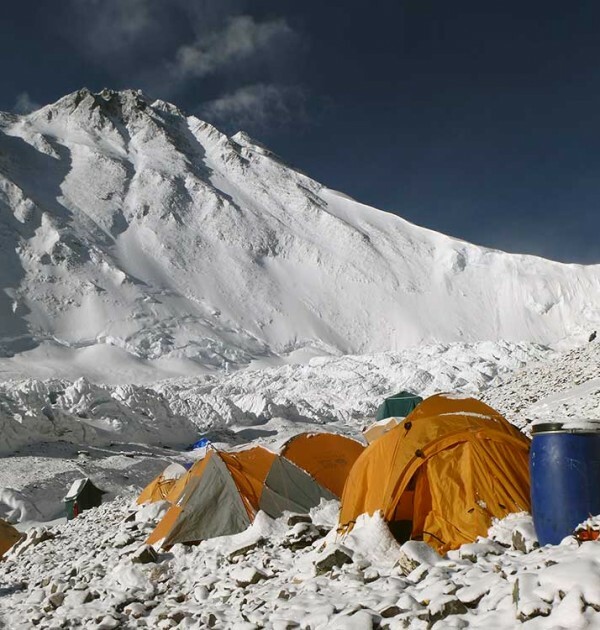 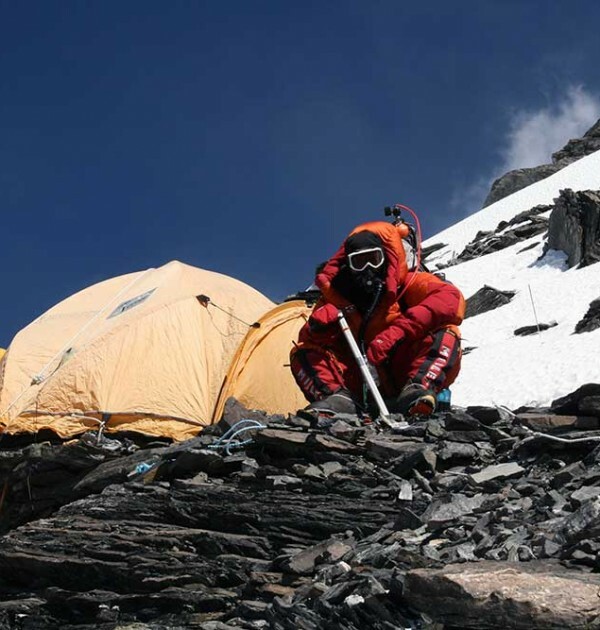 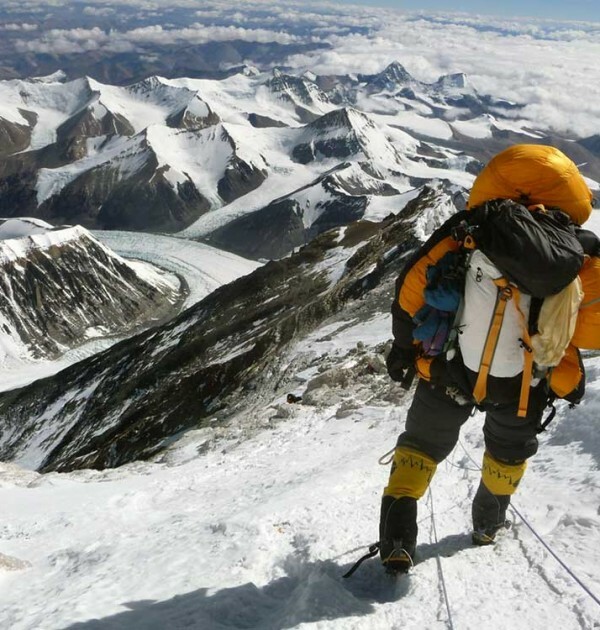 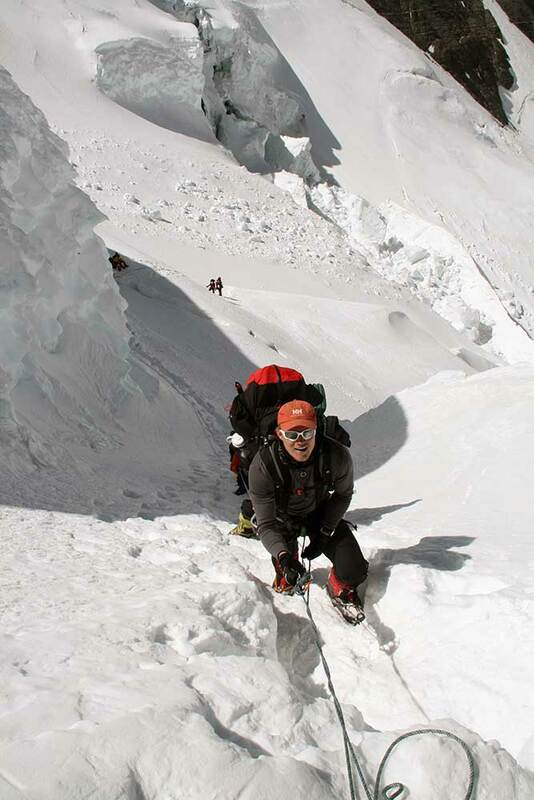 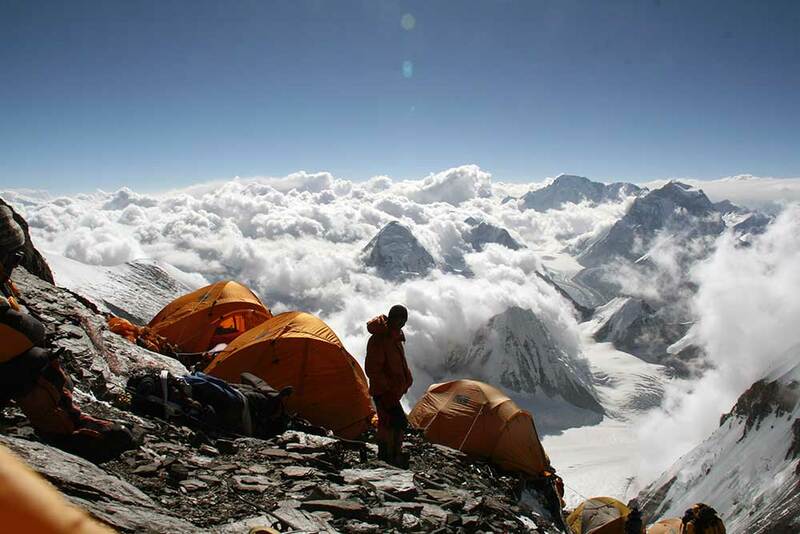 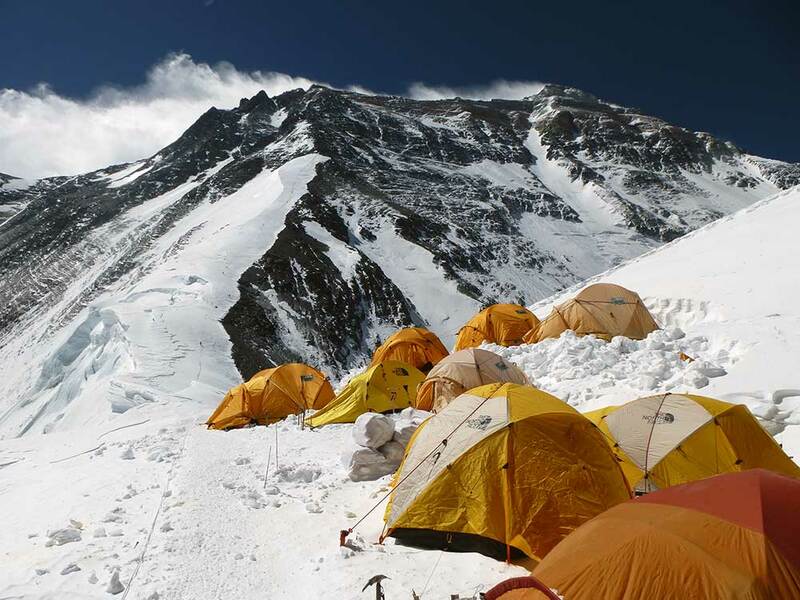 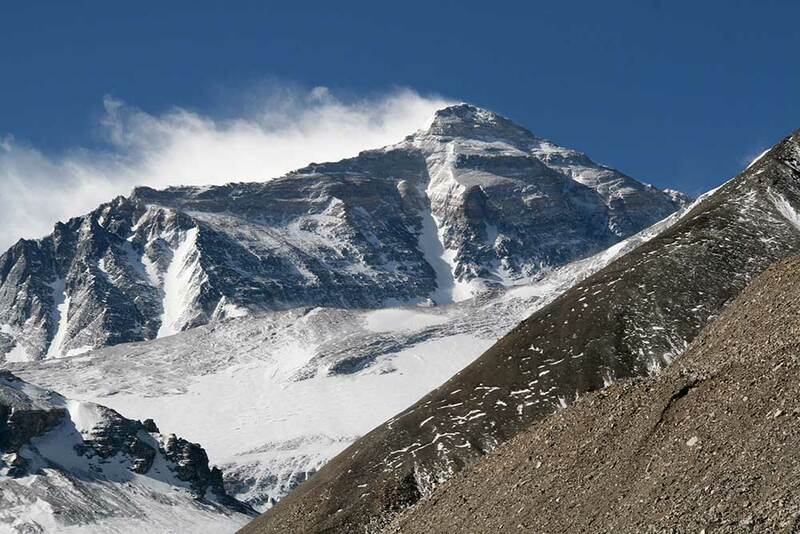 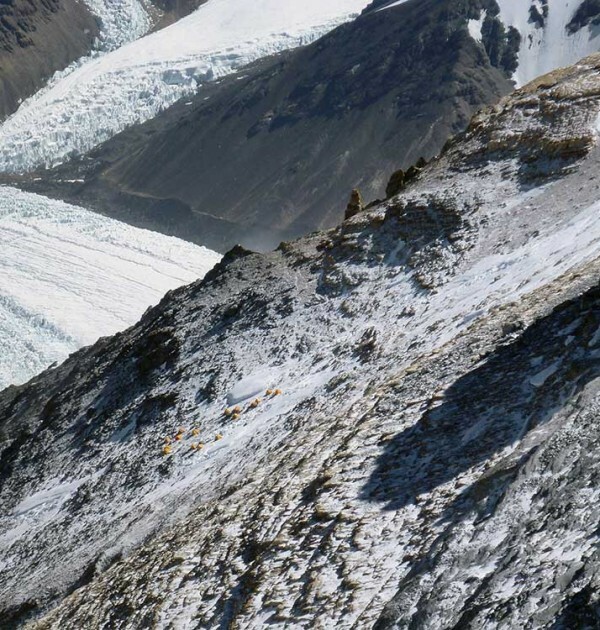 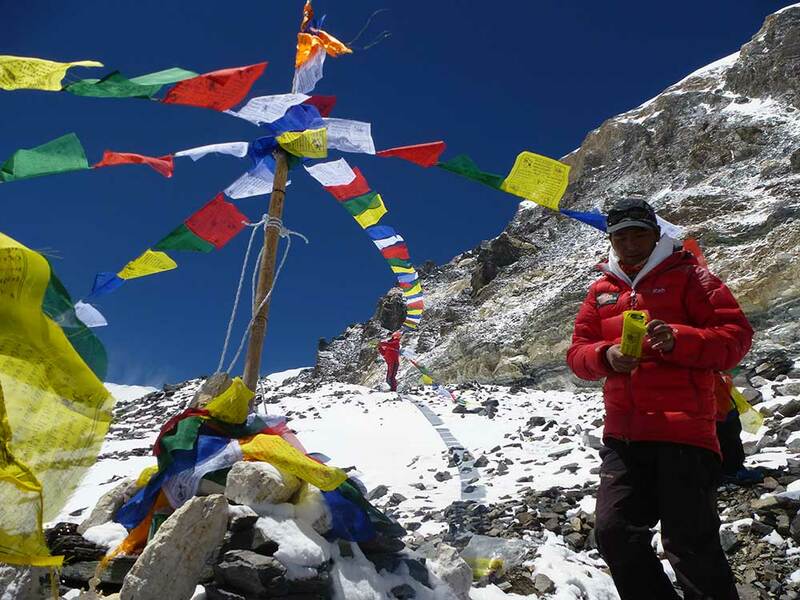 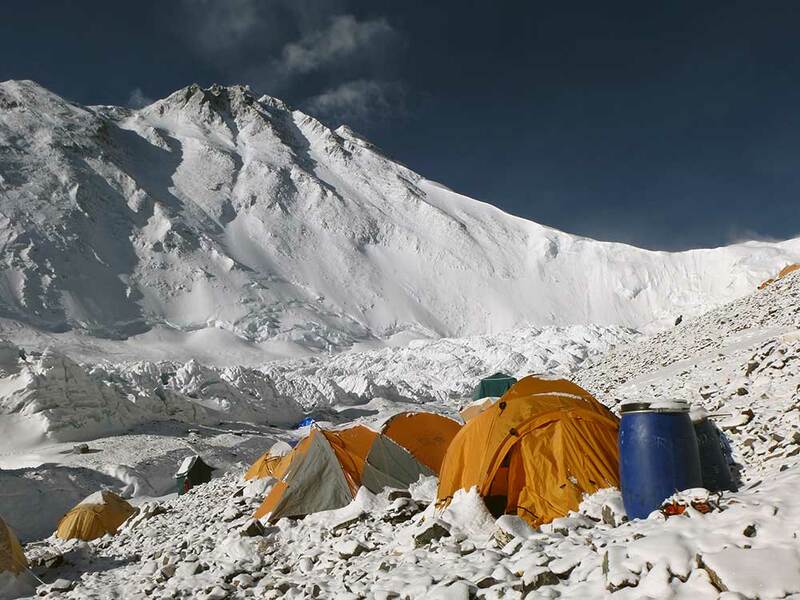 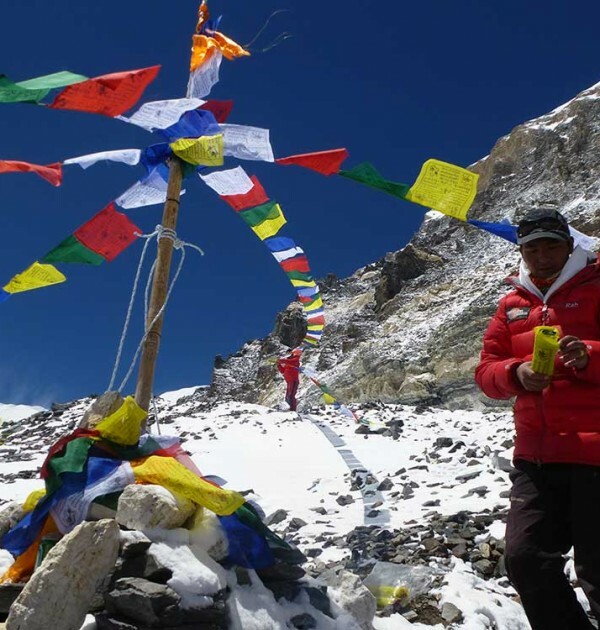 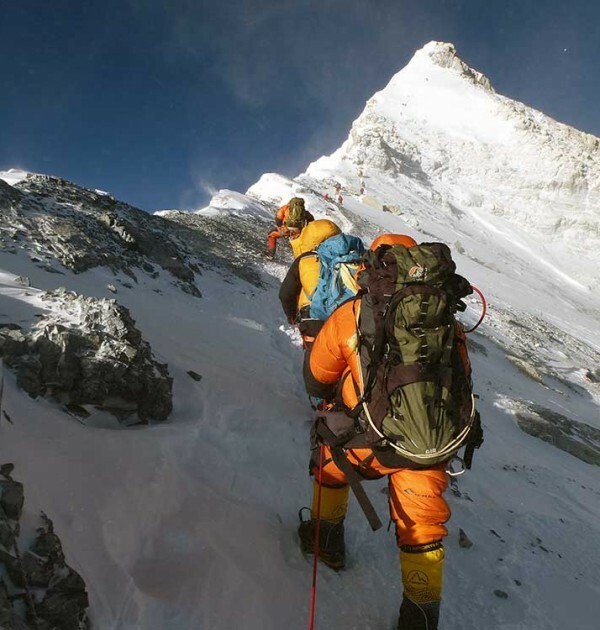 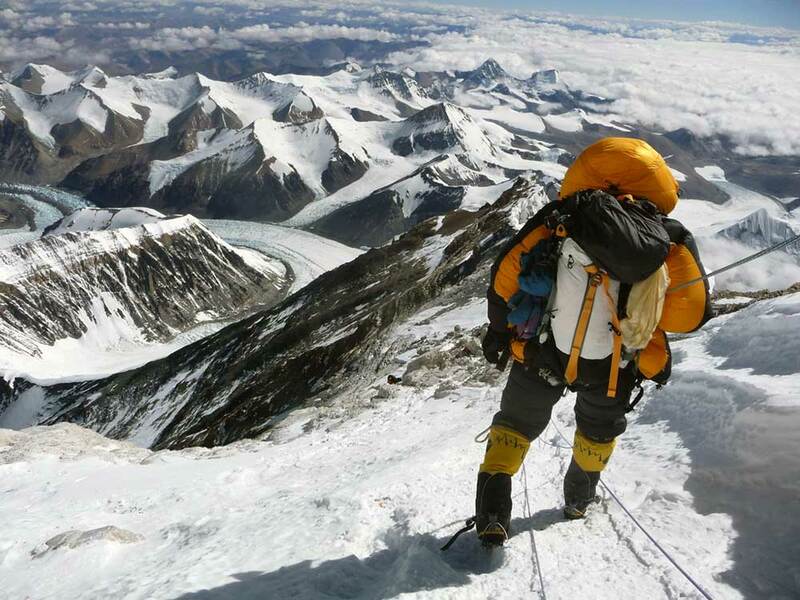 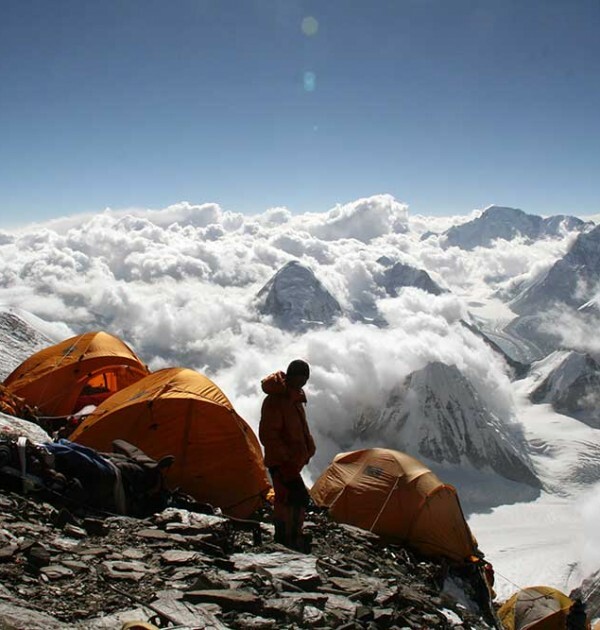 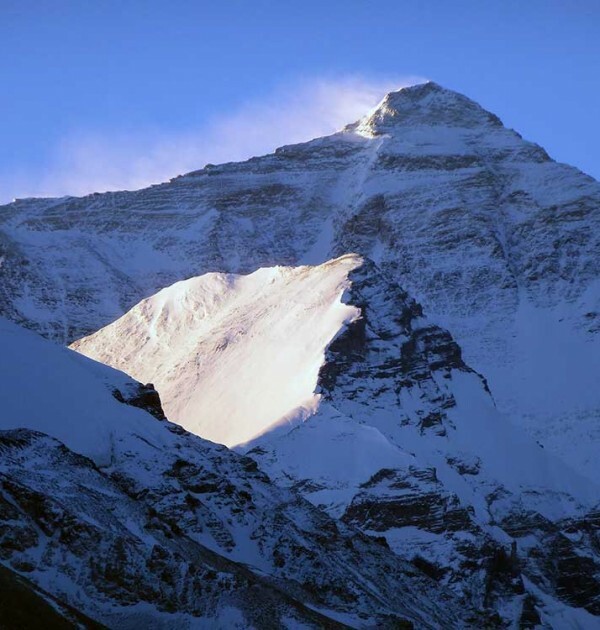 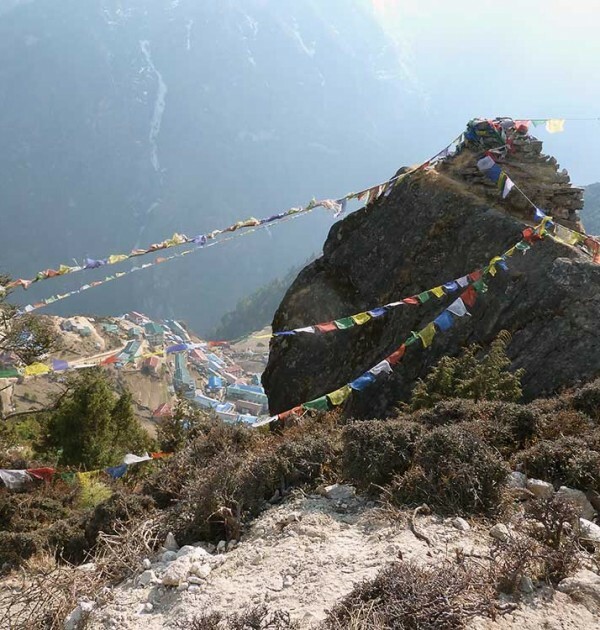 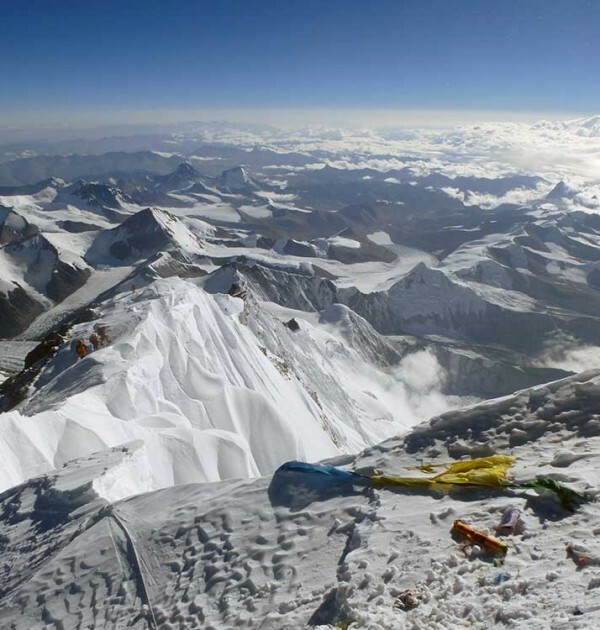 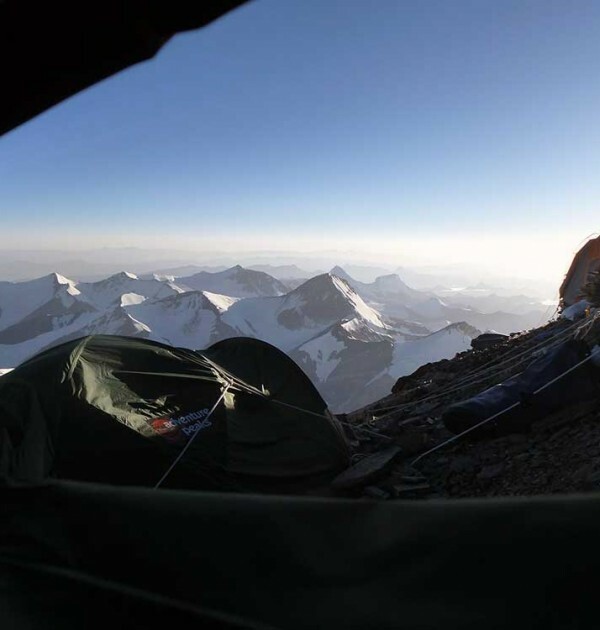 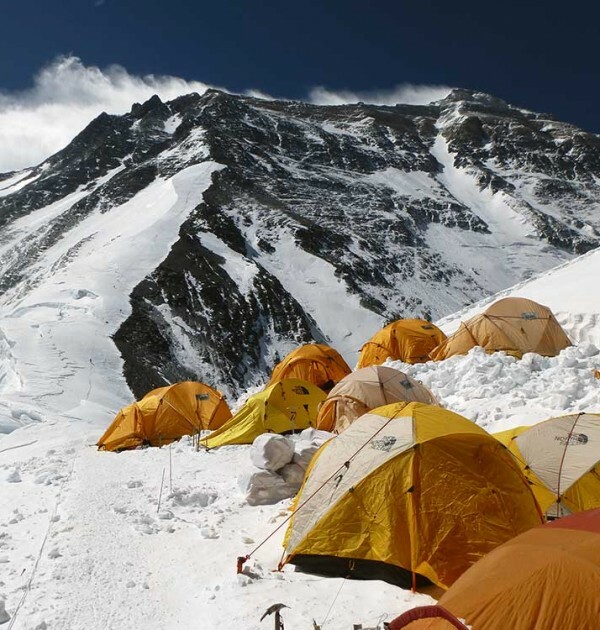 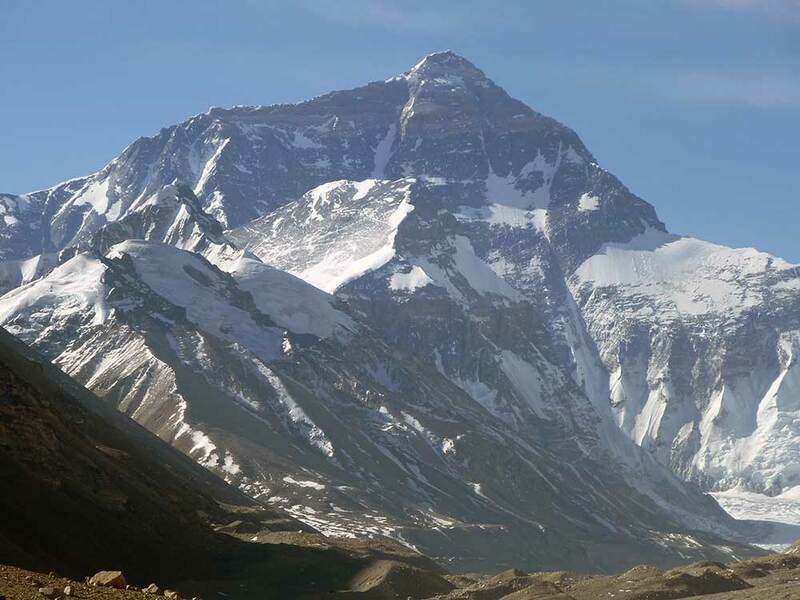 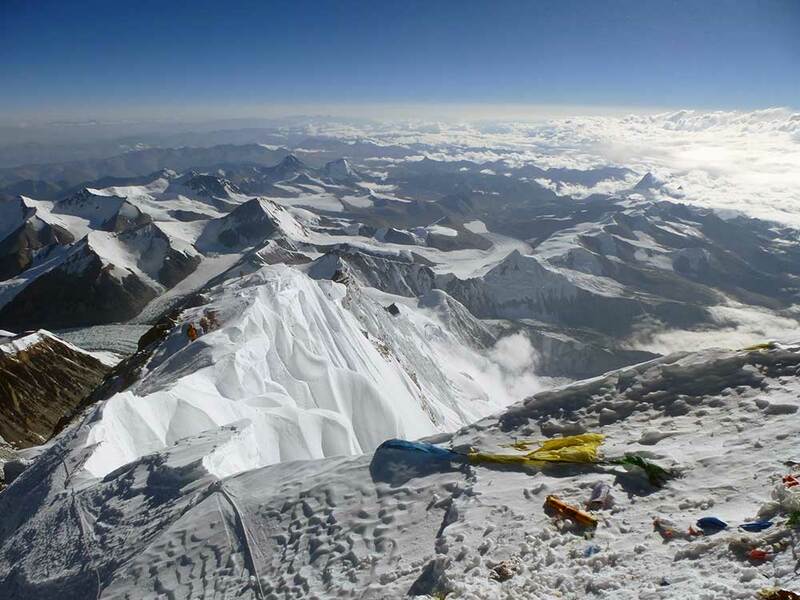 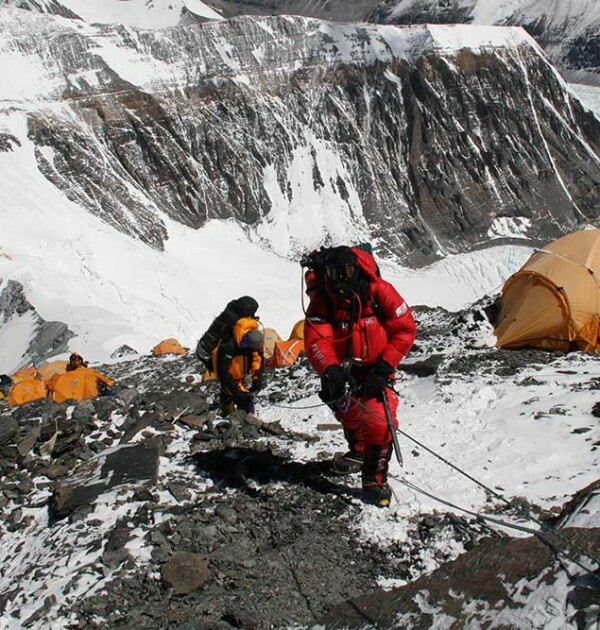 Climb Mount Everest’s North Ridge with Adventure Peaks! 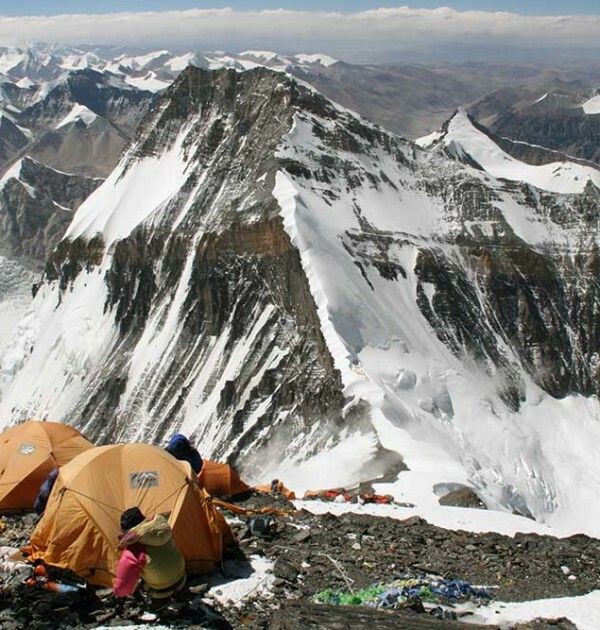 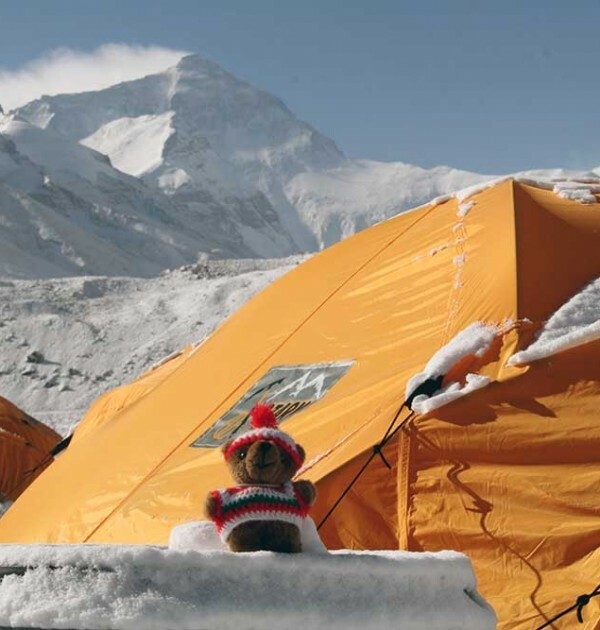 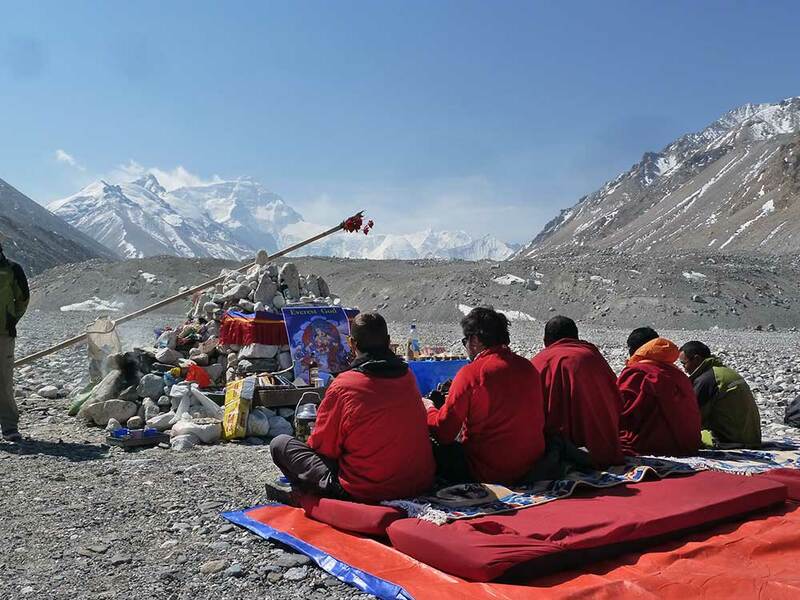 We have been organising expeditions to Tibet (Everest North Ridge and Cho Oyu) for over 19 years making us the most experienced and valued British company operating in Tibet and we are able to attract good International teams. 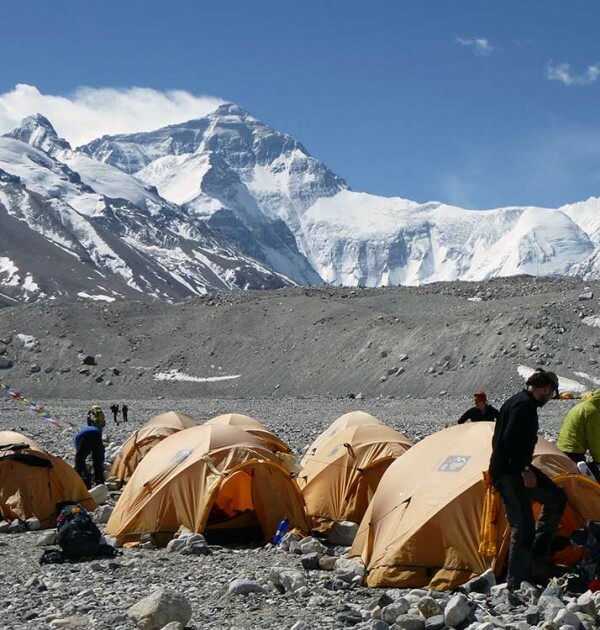 Adventure Peaks has been organising expeditions to climb Mount Everest North Ridge for over 19 years making us the most experienced and valued British company operating in Tibet and we attract good international teams. 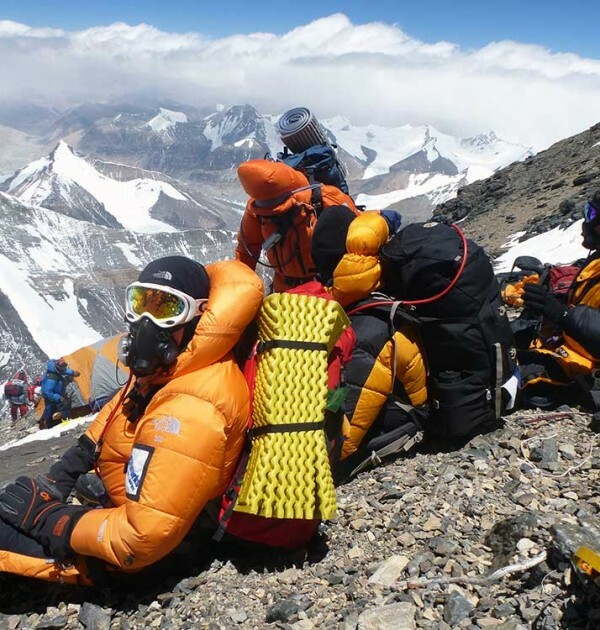 There are those who scaremonger about the North side of Everest by giving indications that permits or visas won’t be available, this is a total nonsense. 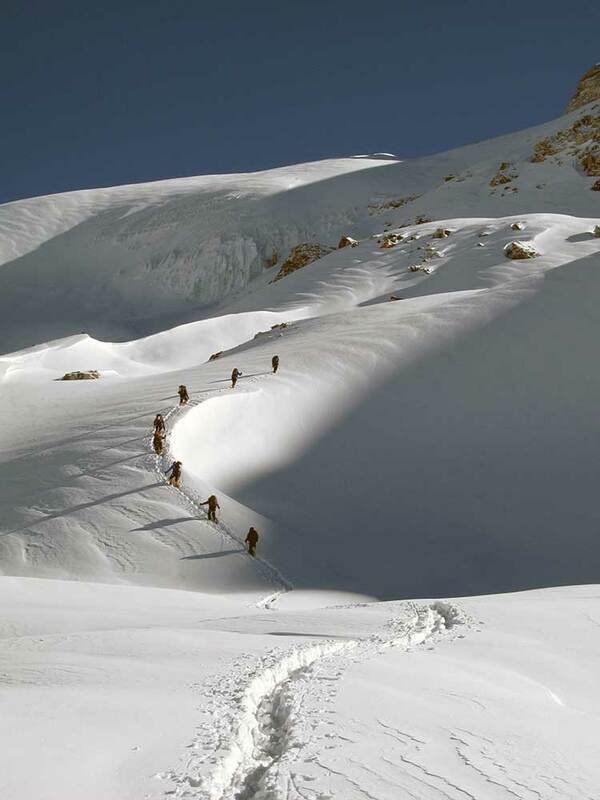 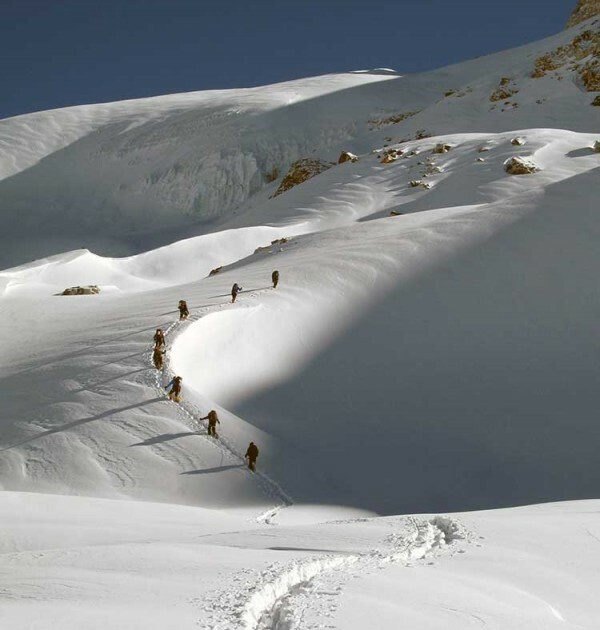 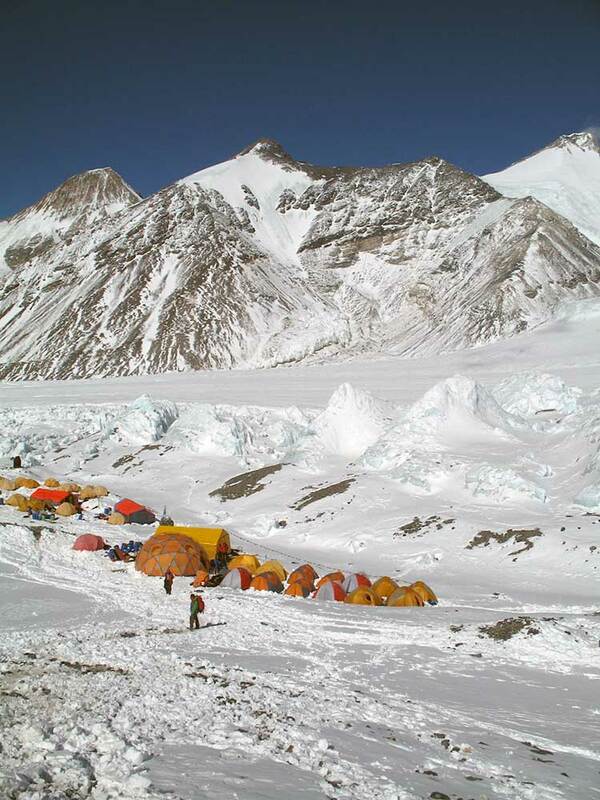 Adventure Peaks have always provided expeditions to the North. 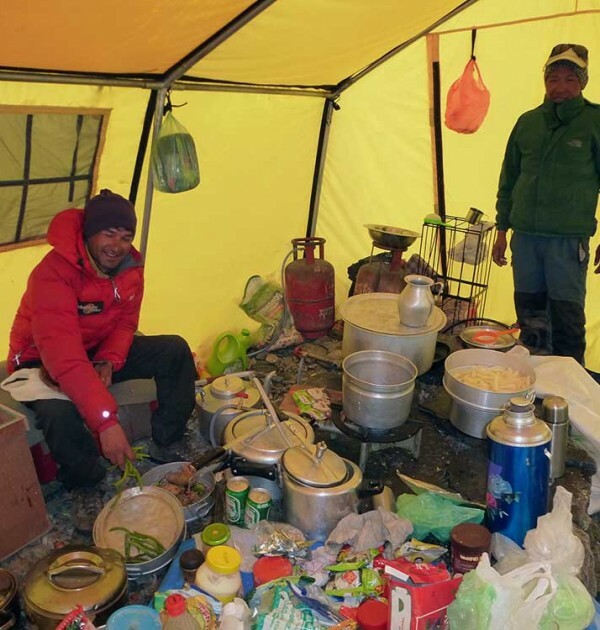 For many years we have achieved almost 80% success rate which is contrary to those statistics quoted for the North by operators of south side expeditions. 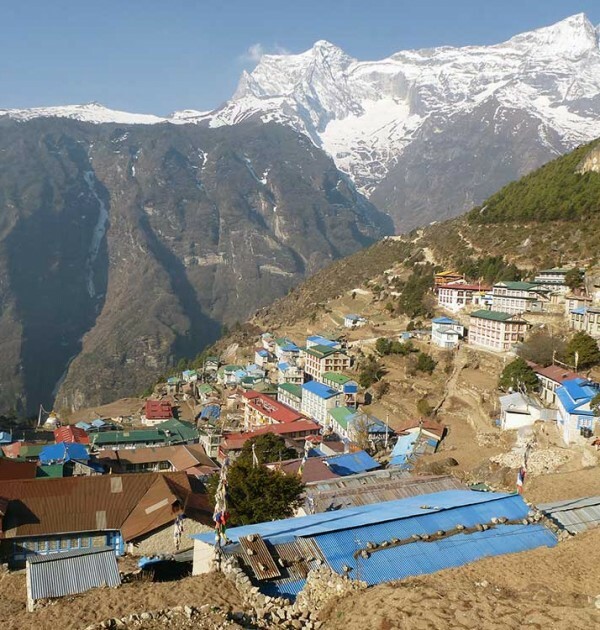 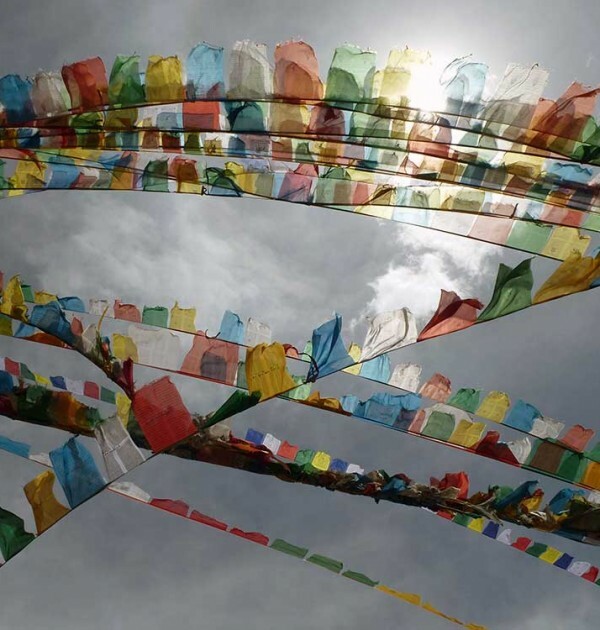 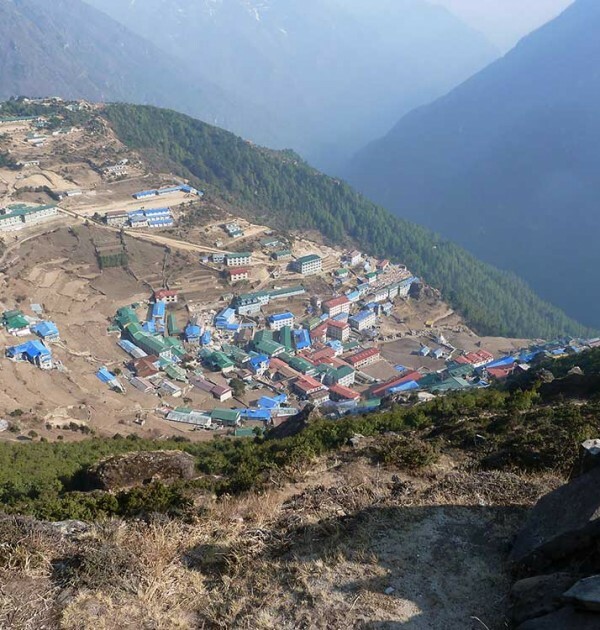 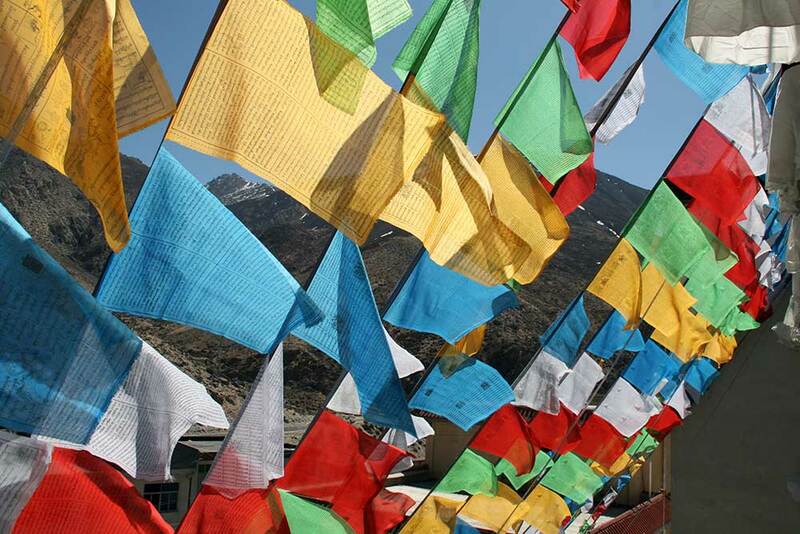 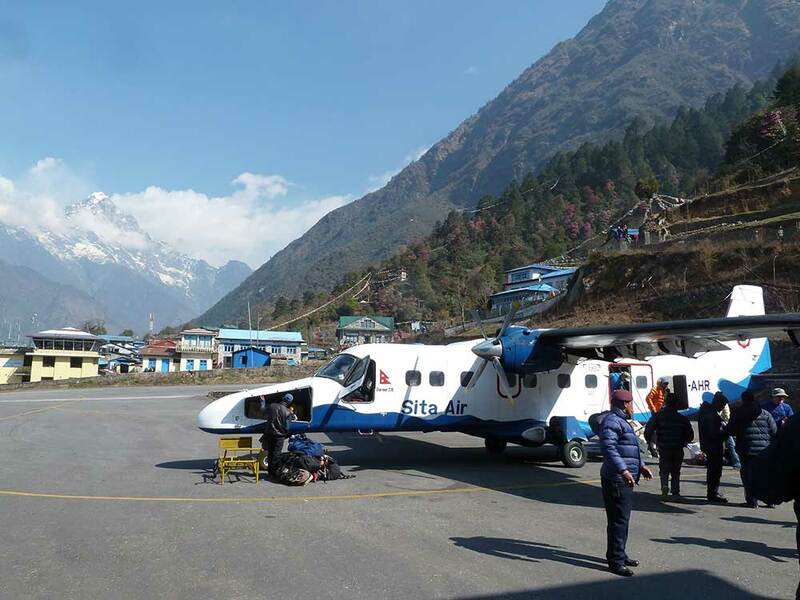 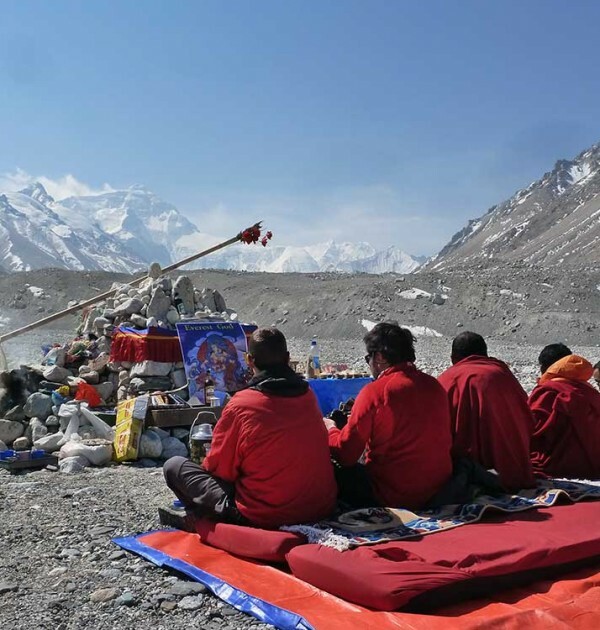 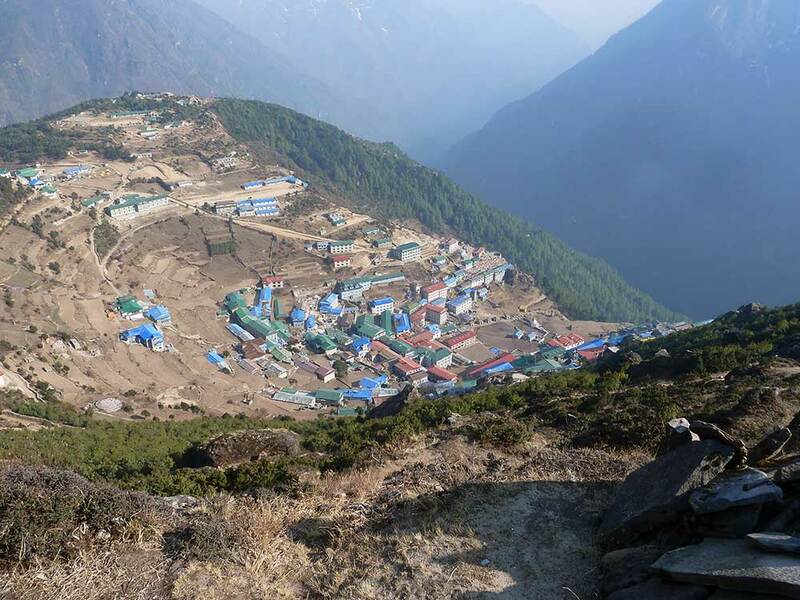 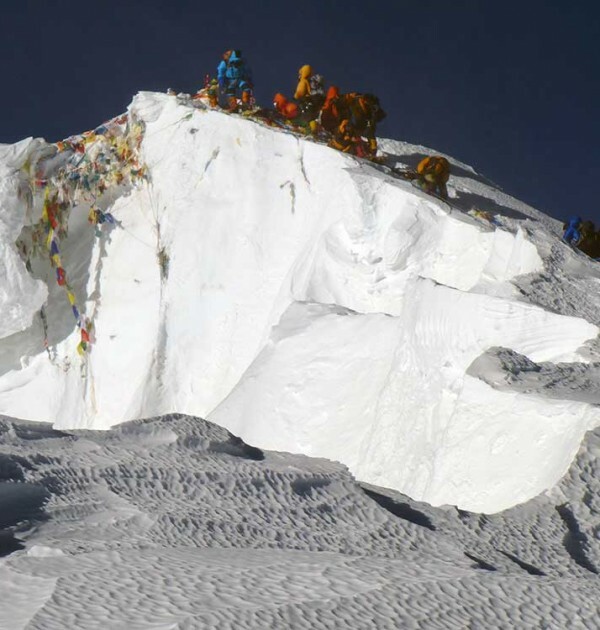 2019 brought some significant changes to the North and the TMA introduced significant restrictions on Nepali operators to reduce the abuse they had inflicted on Everest in recent years. 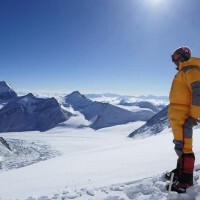 The TMA now only want well supported and professional groups with good reputations (indeed Adventure Peaks was the only British Operator to gain access in 2019 under this new regime). 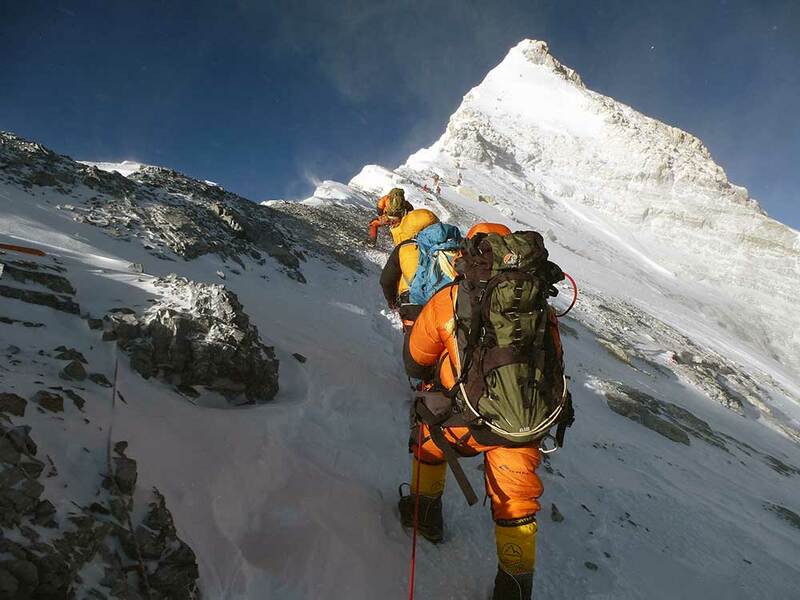 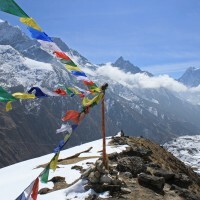 Conglomerates of individuals without direct leadership have been removed pushing them to the the Southside of Everest. 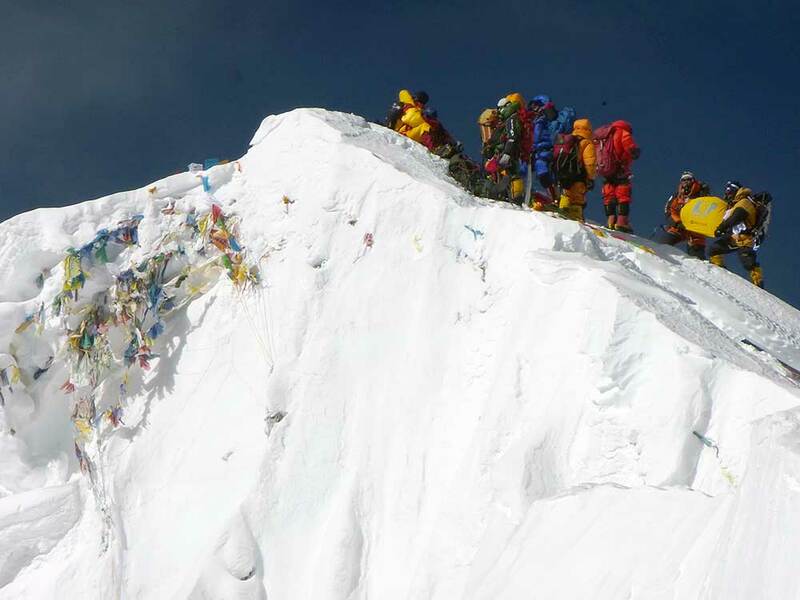 The reduction in numbers will also mean there is less chance of a queue on the North Ridge. 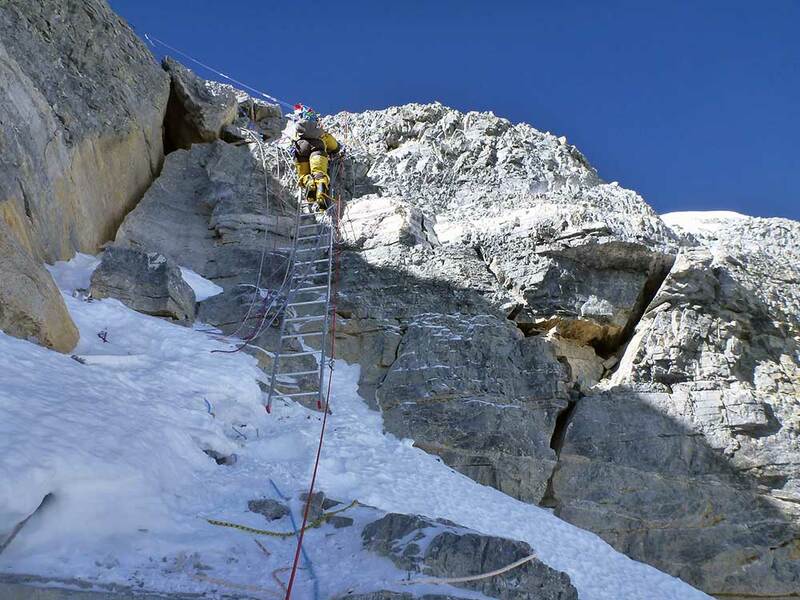 Along with other summiteers, we achieved the first British ascent of the millennium and the first Dutch ascent to climb Mount Everest North Ridge. 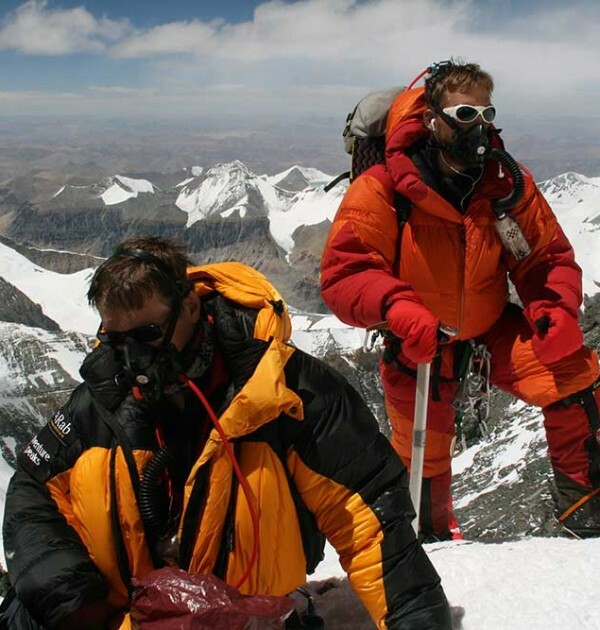 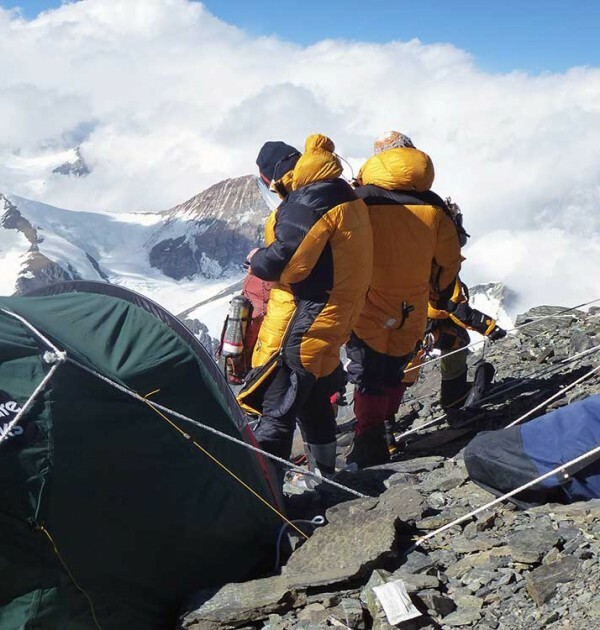 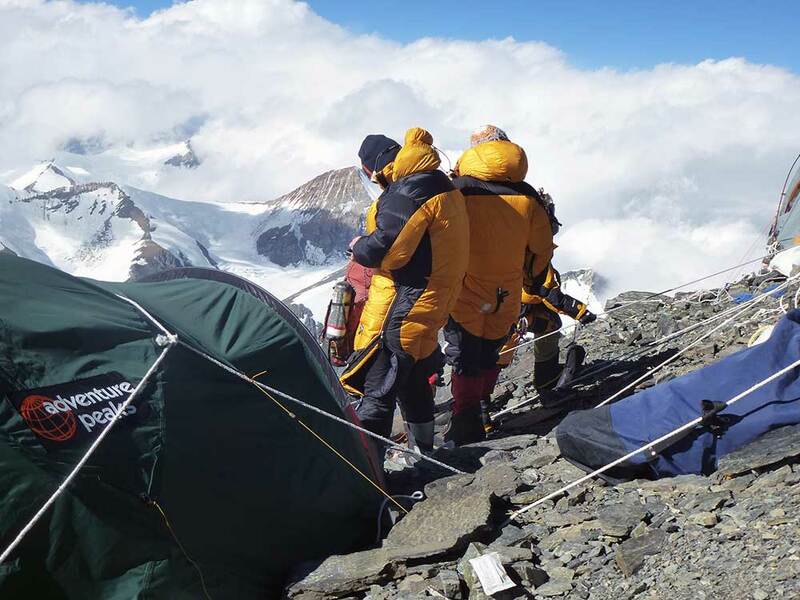 In 2003 we were successful in rescuing one of our clients from 8600m who had suffered a broken leg. 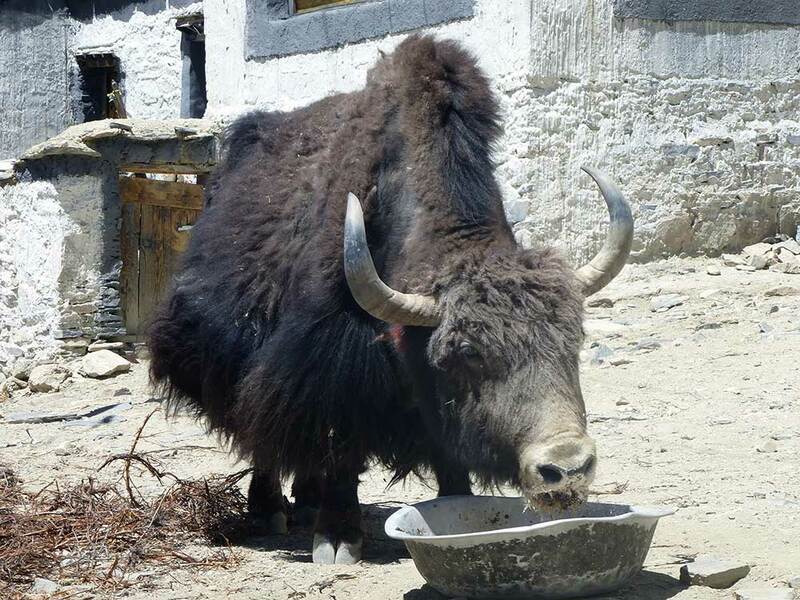 Please read the full story on our website. 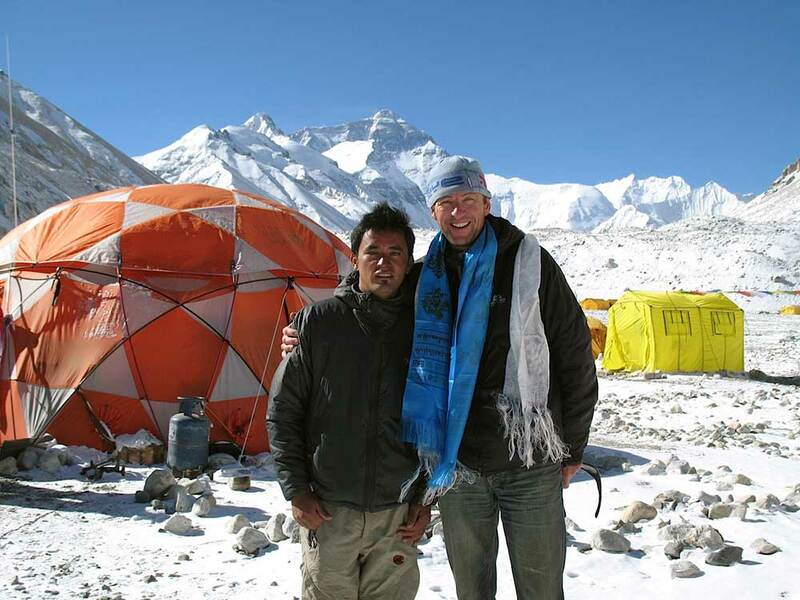 That client returned to the mountain with us in 2006 and made a successful ascent. 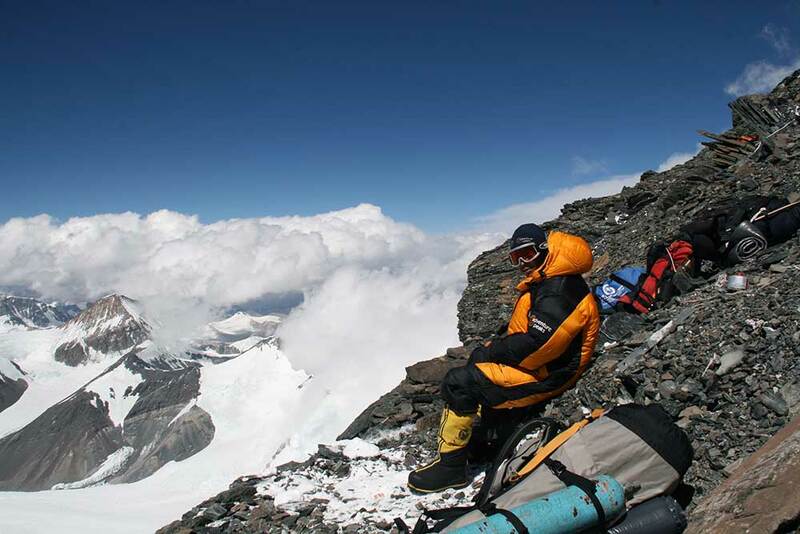 In 2004 our whole expedition was filmed by BBC 2 for the production ‘The Challenge’. 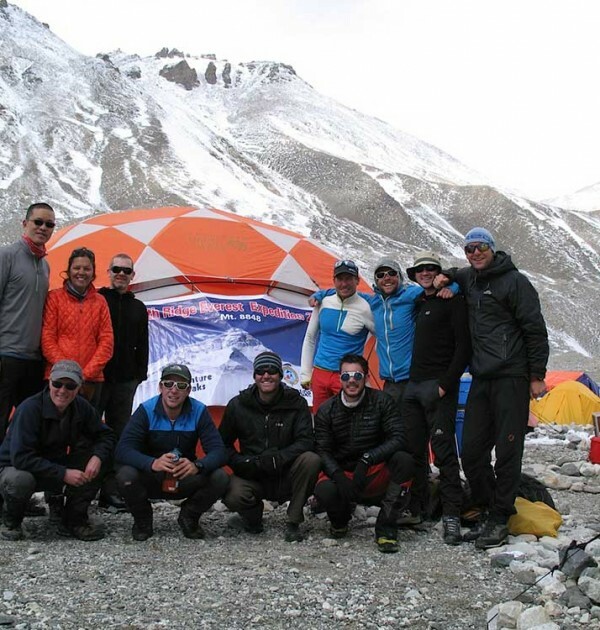 This followed the progress of their client through his training in Scotland, the Alps, Aconcagua and then climb Mount Everest North Ridge. 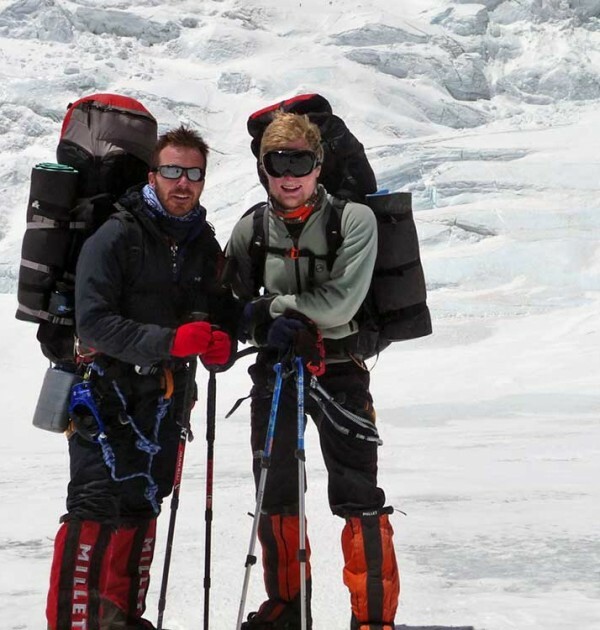 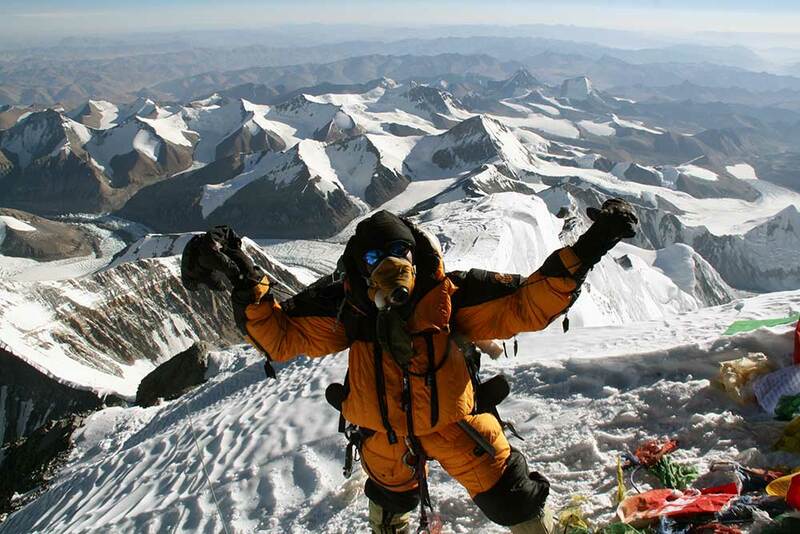 In 2005 we were successful in putting the youngest British person on the summit at the age of 21; in doing this he also became the youngest male in the world to complete the Seven Summits. 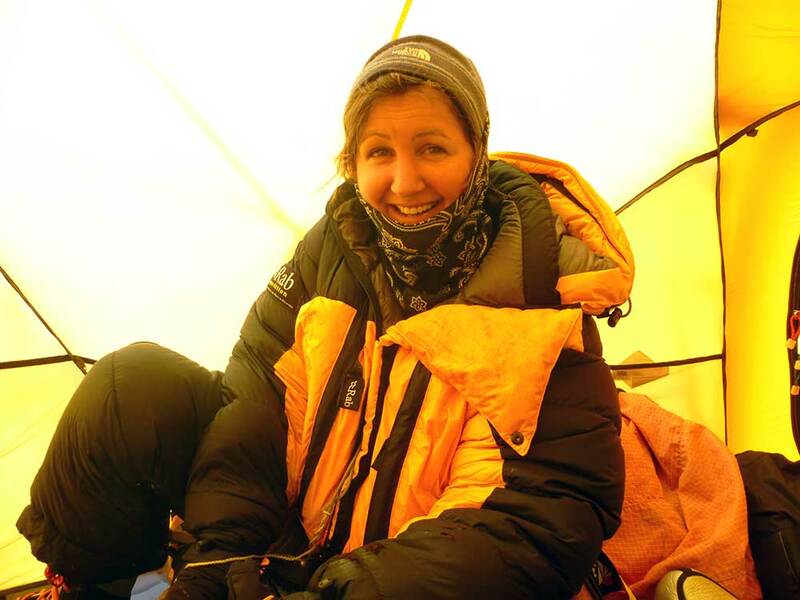 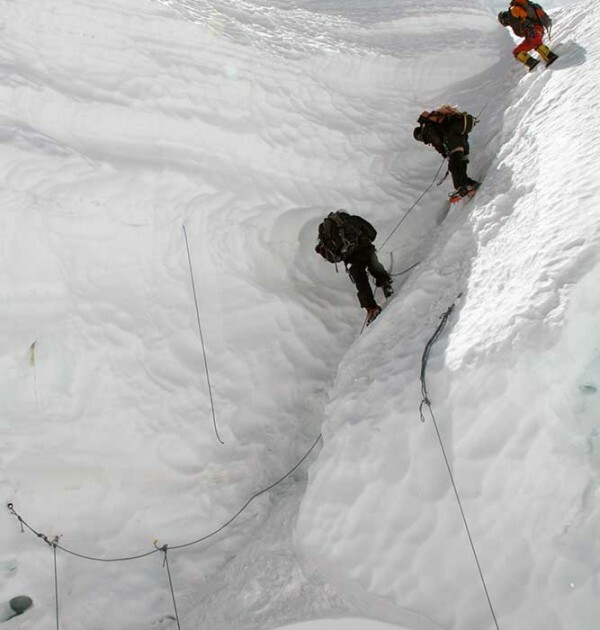 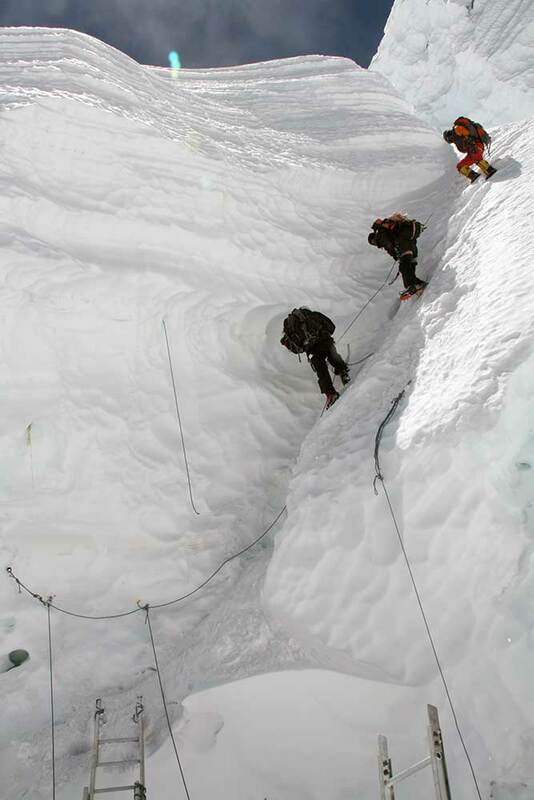 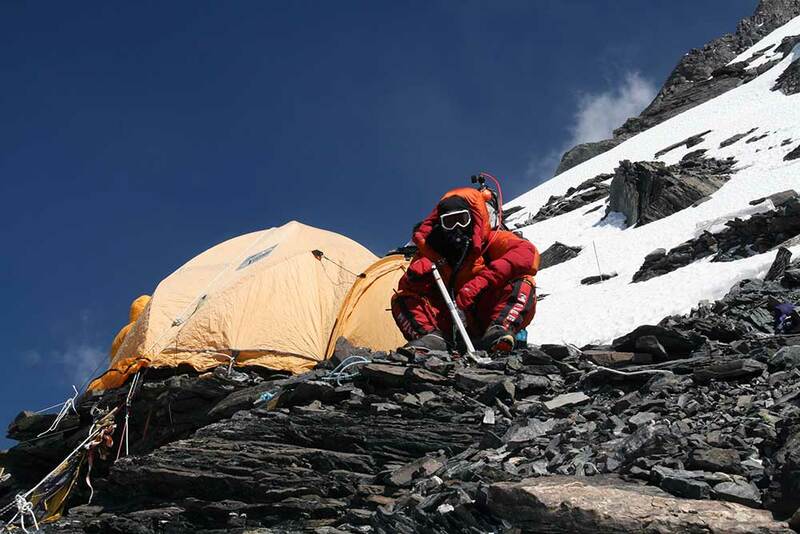 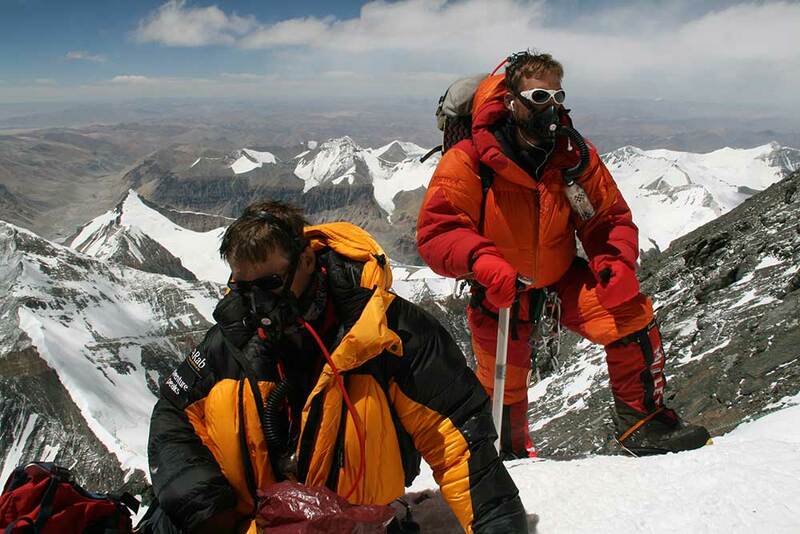 In 2006 we put two even younger climbers on the summit at just 19 years old, along with 10 other climbers. 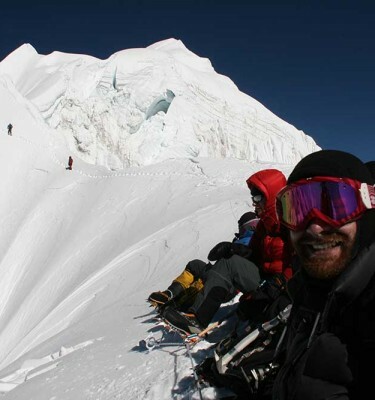 In 2007 we put 12 climbers on the summit, Including Ian McKeever who broke the world speed record for the Seven Summits in 156 days. 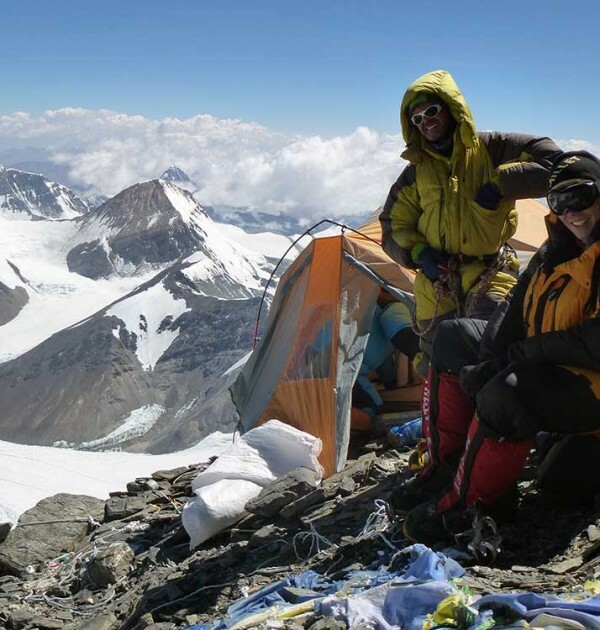 In 2008, no permits were issued on the North Side because of the Olympic Games, so we moved our team to the South and had a successful summit bid. 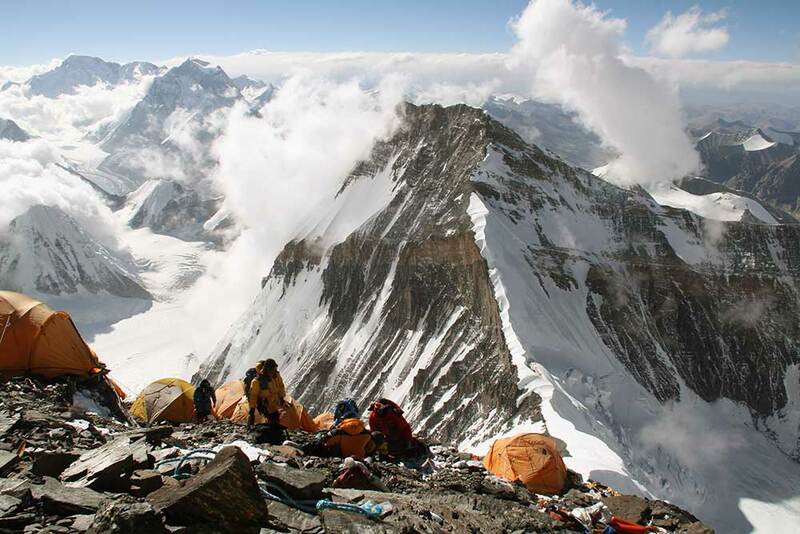 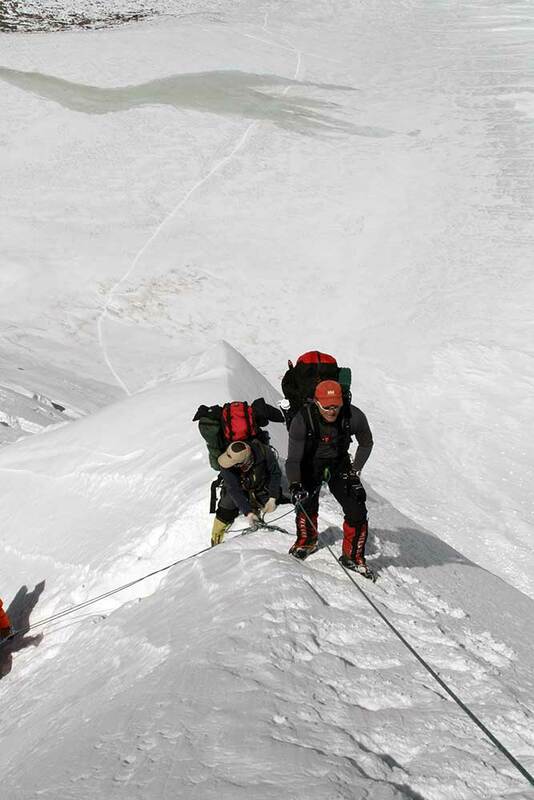 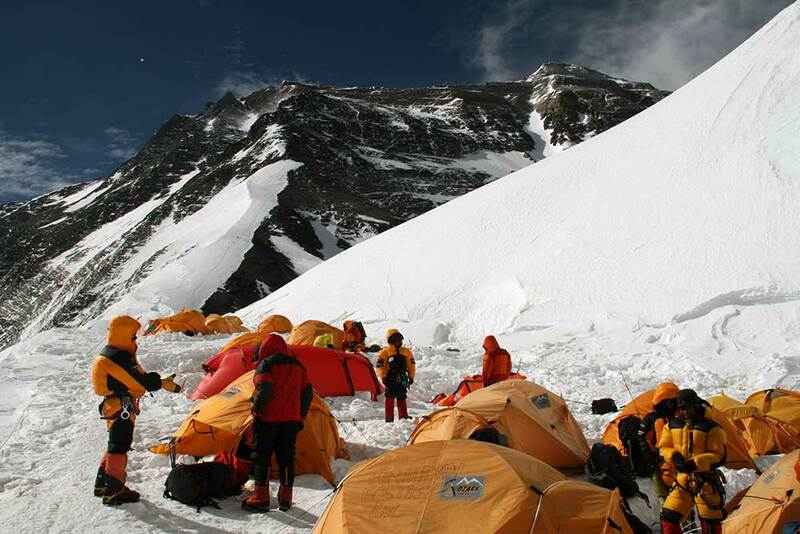 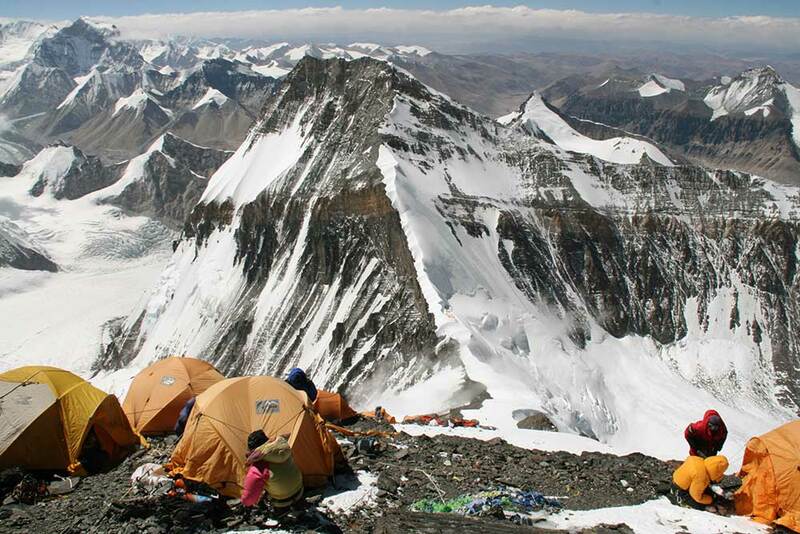 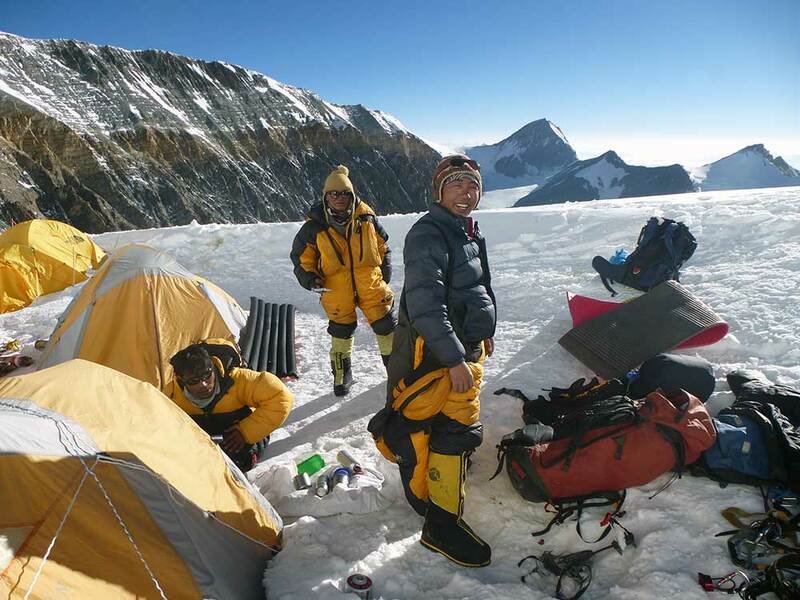 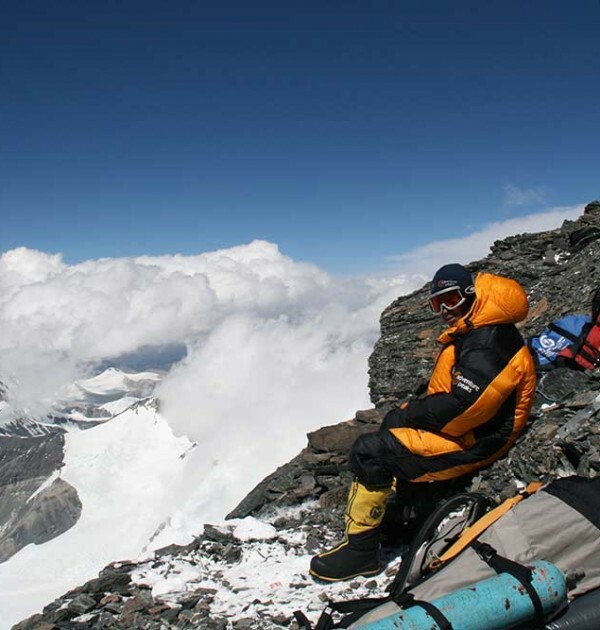 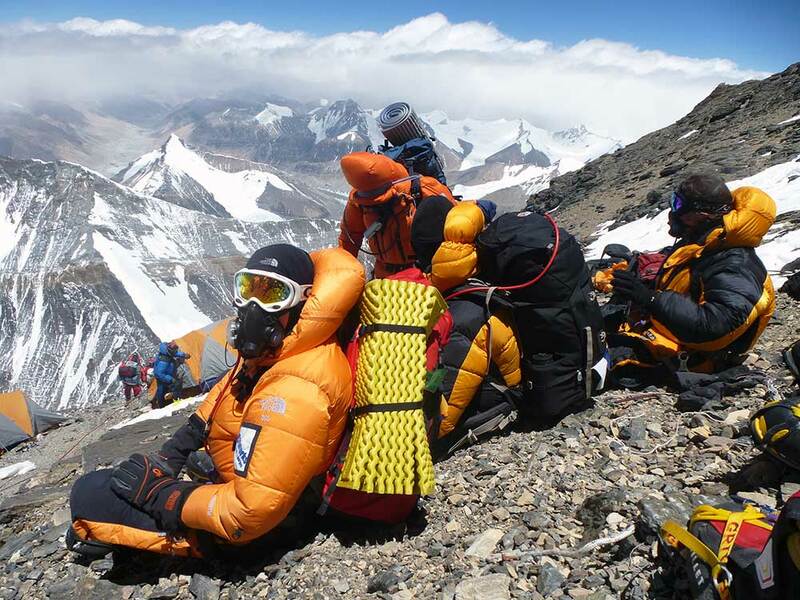 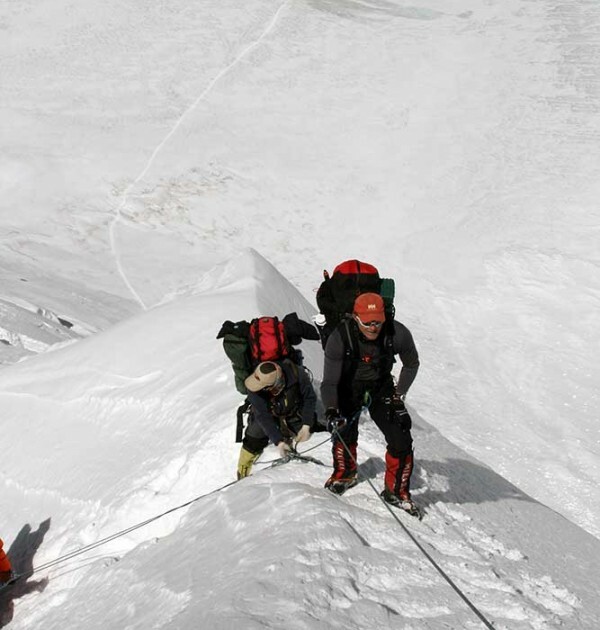 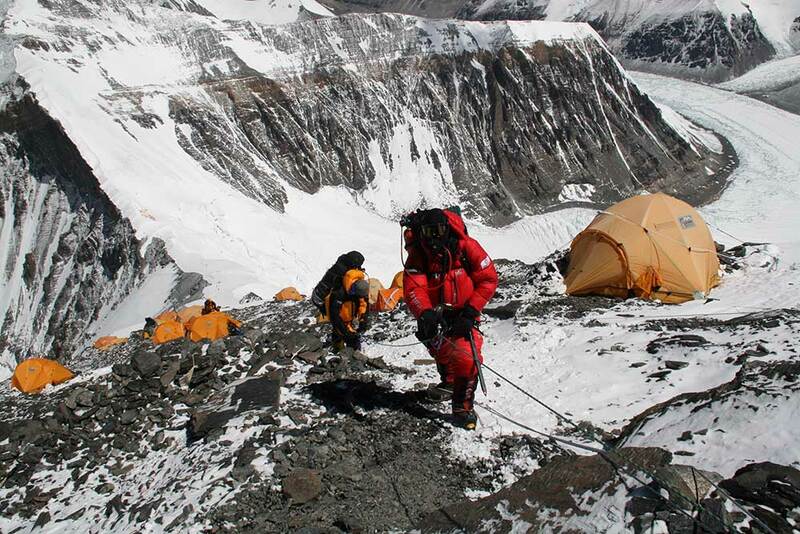 In 2009, back on Mount Everest North Ridge, we put 13 people on the summit. 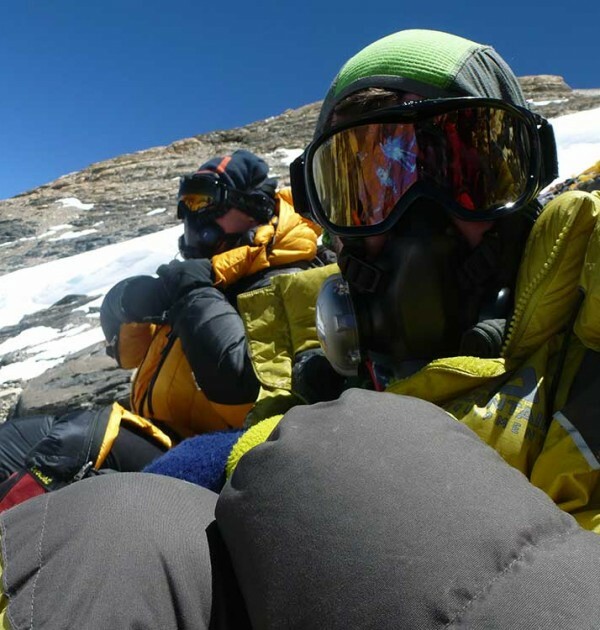 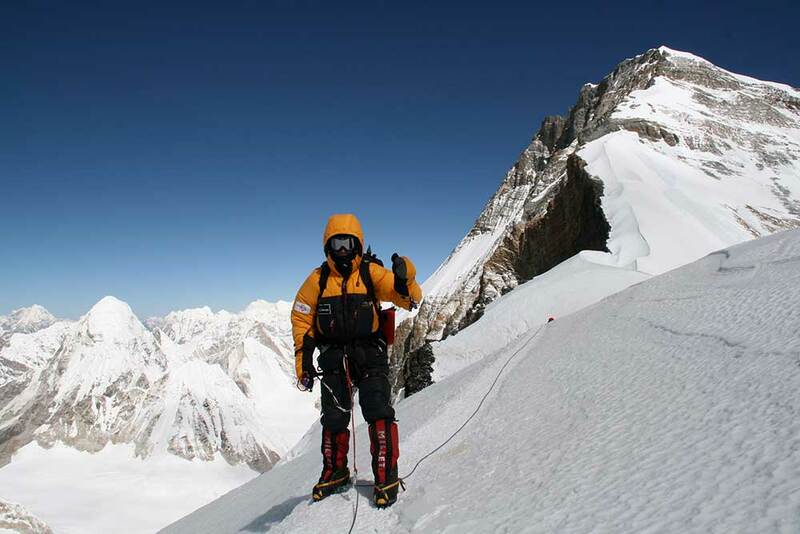 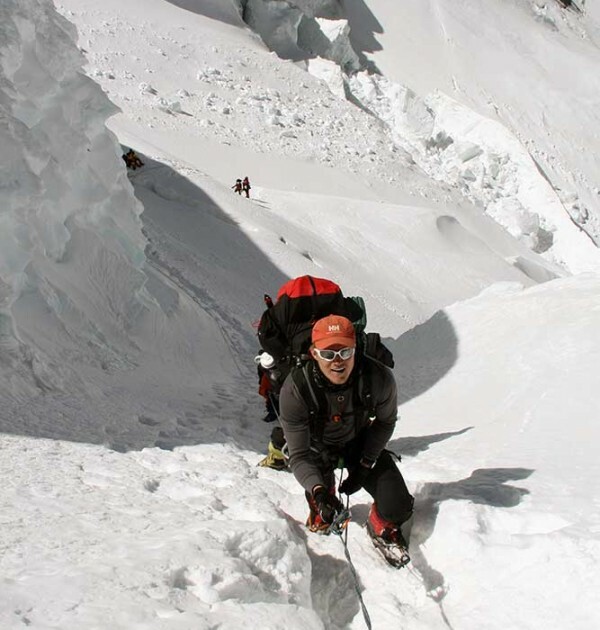 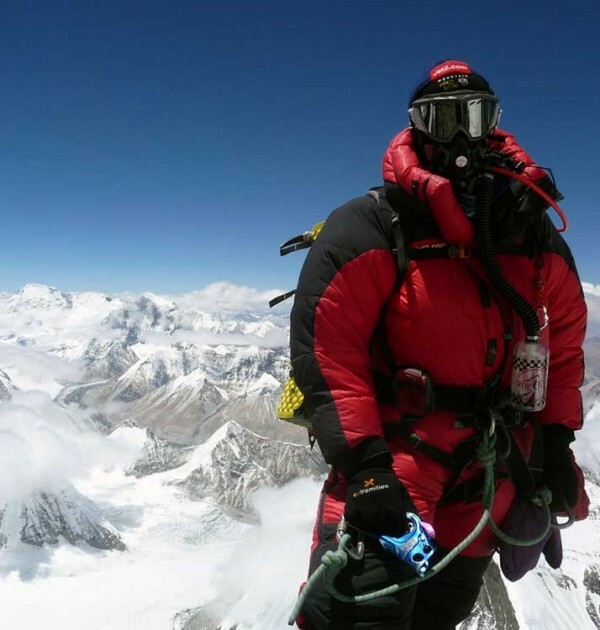 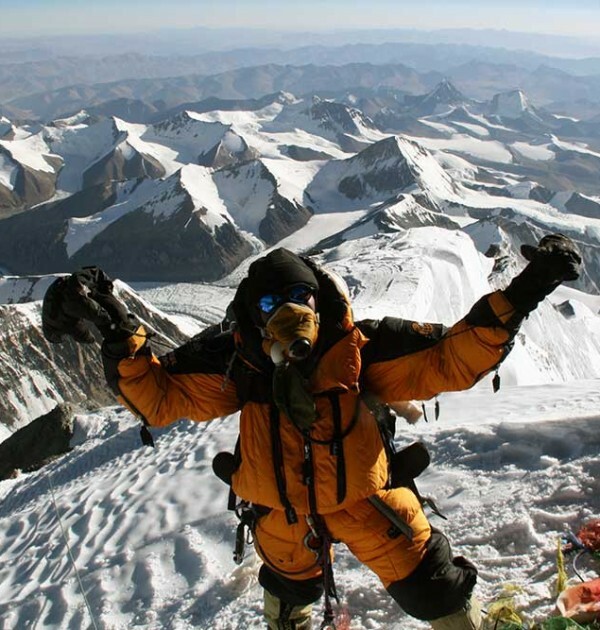 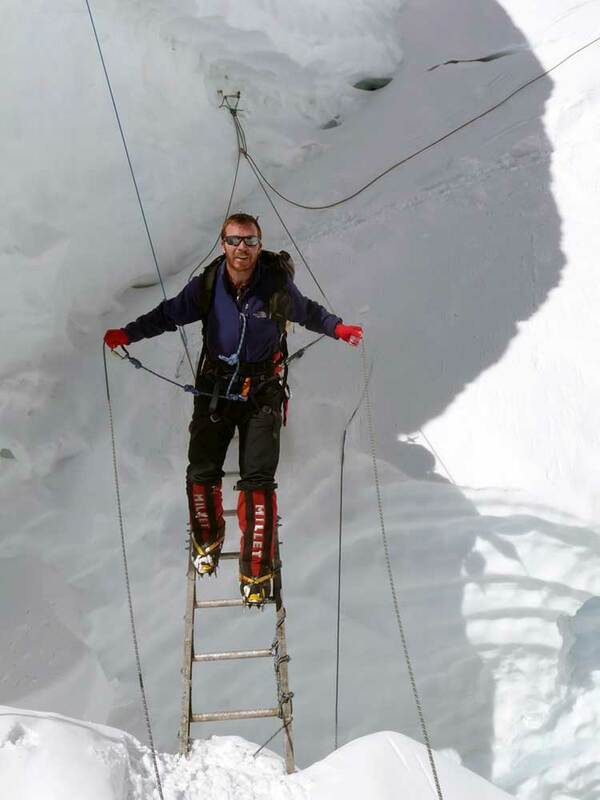 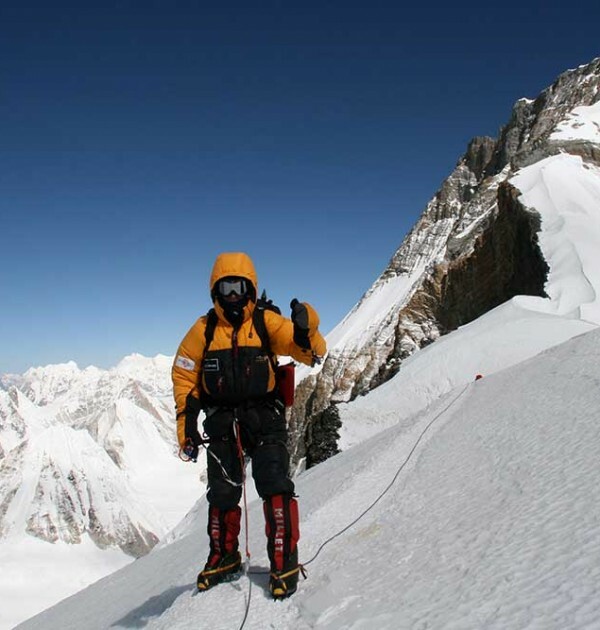 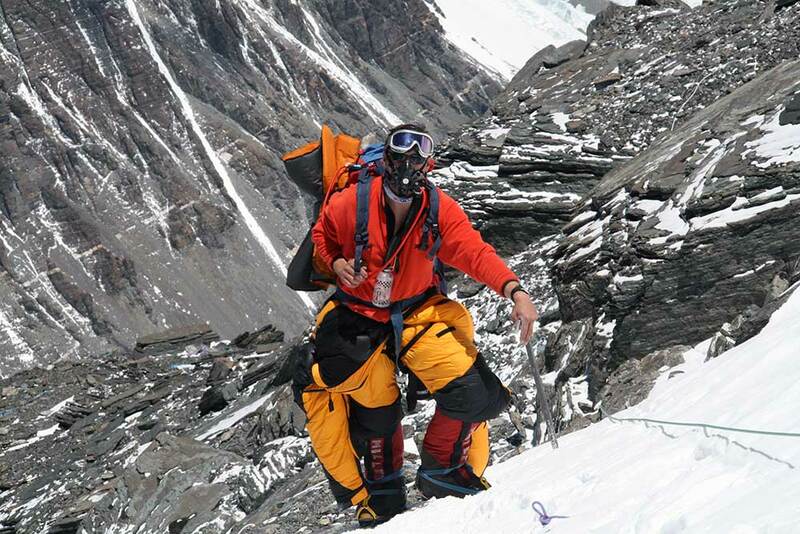 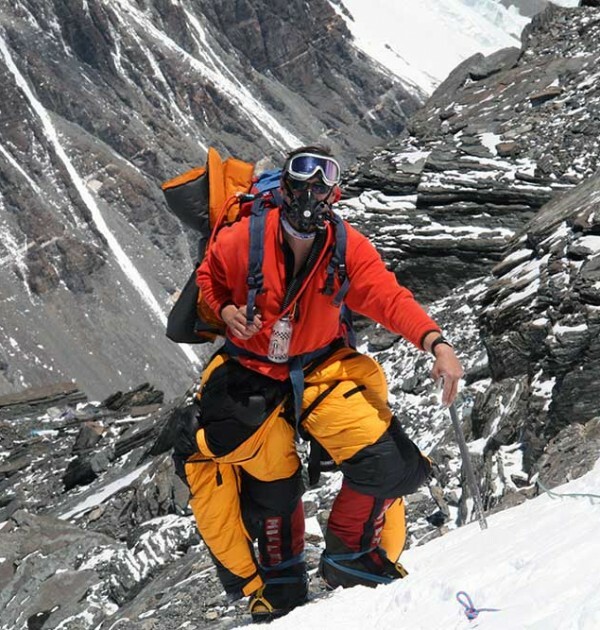 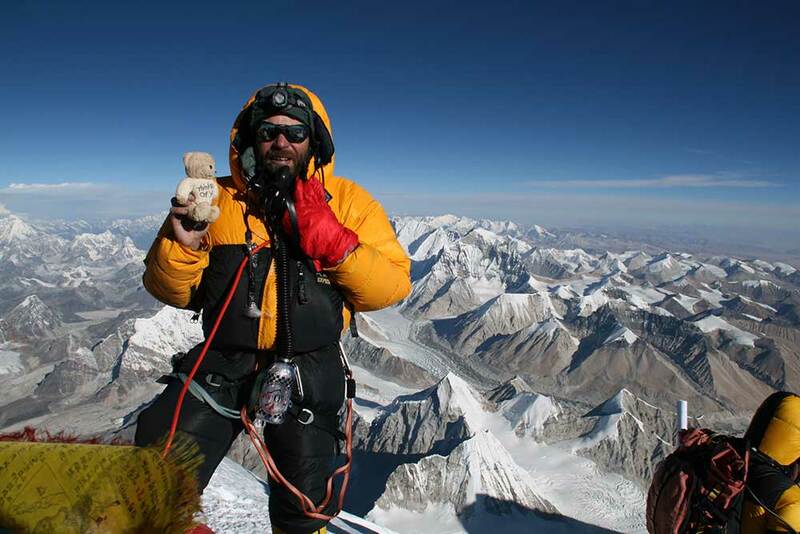 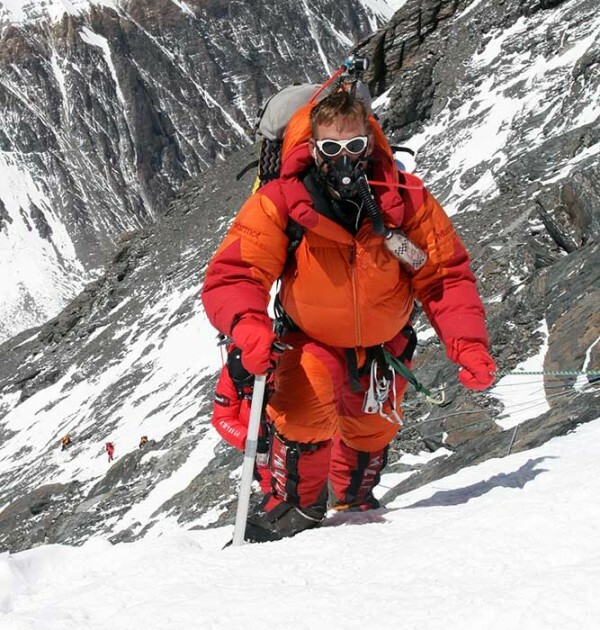 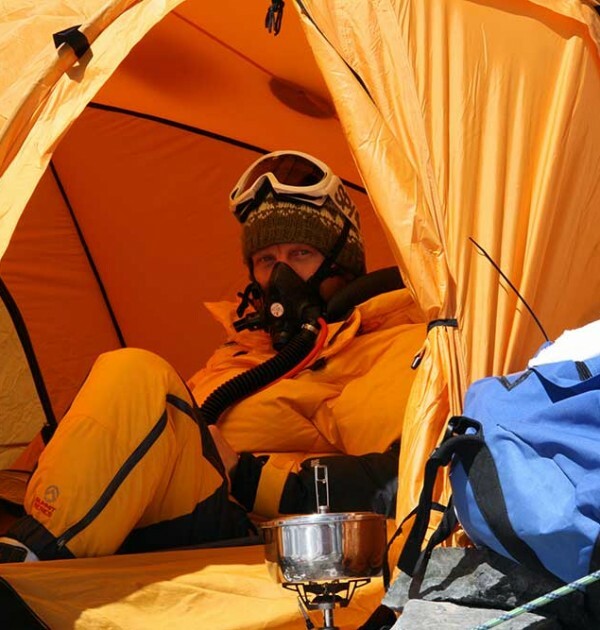 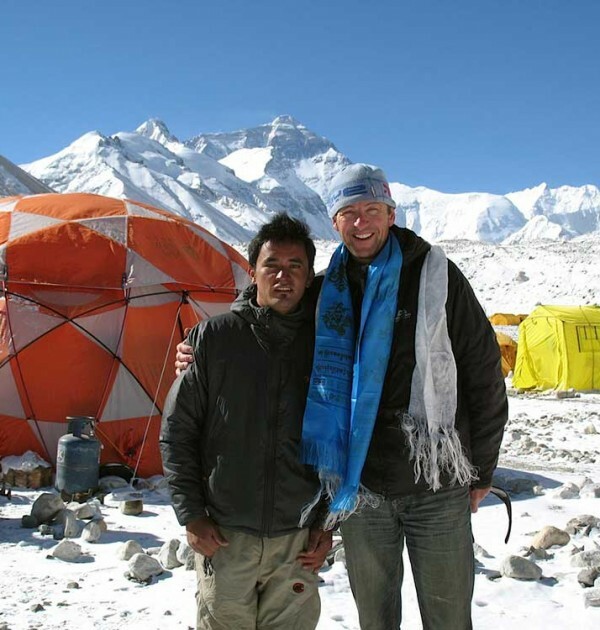 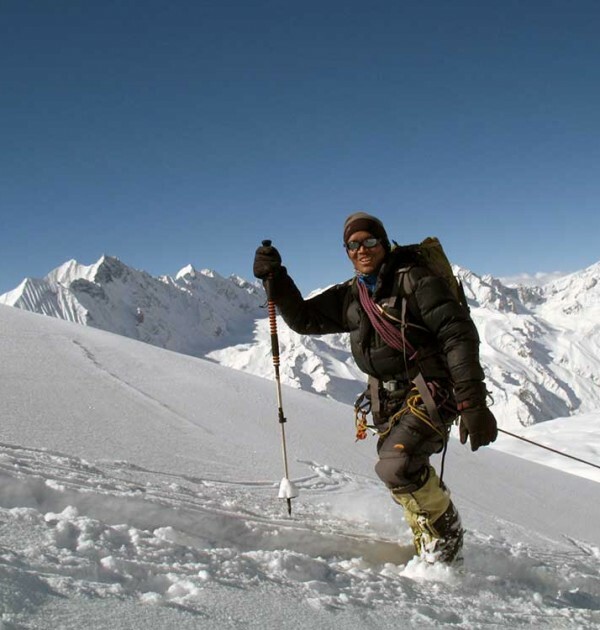 In 2010 we had further success with 11 people on the summit and Stu Peacock our operations manager became the first Briton to summit Mount Everest North Ridge route three times. 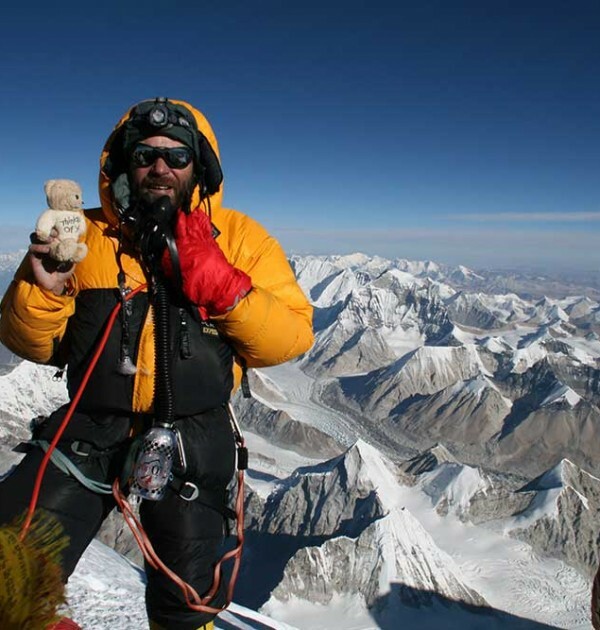 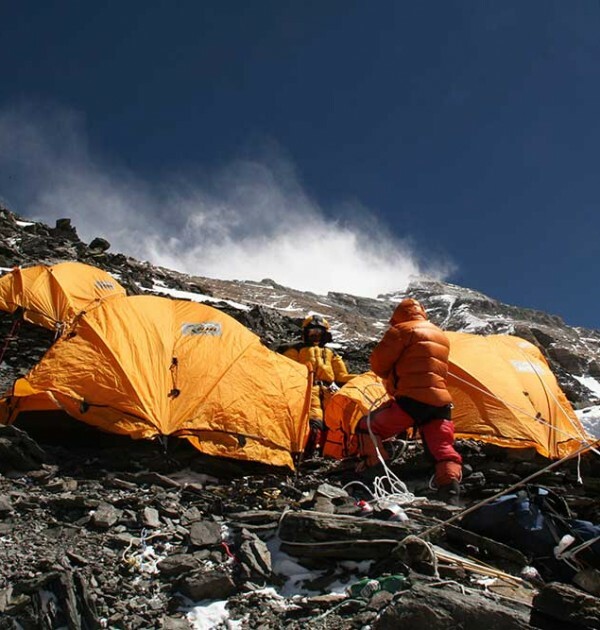 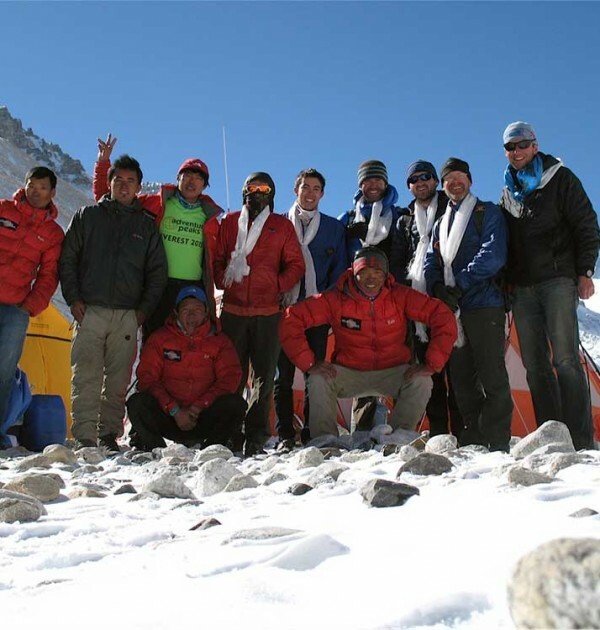 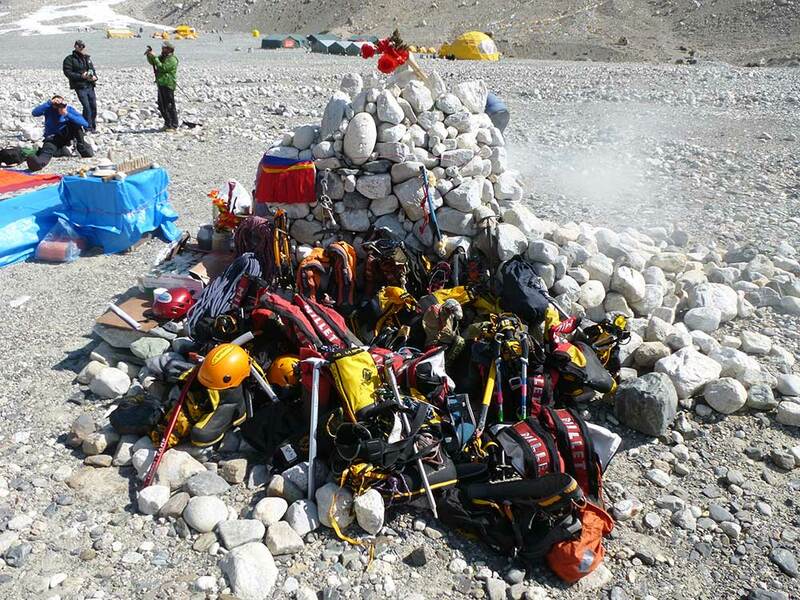 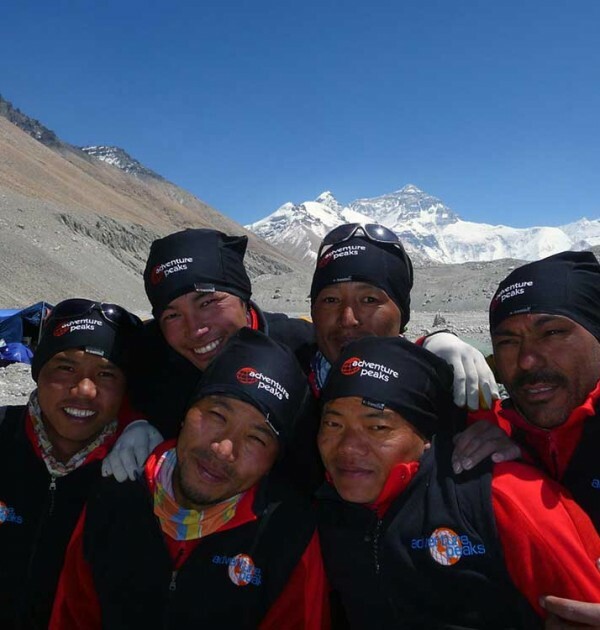 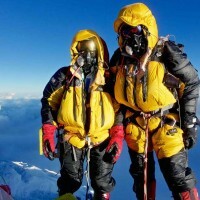 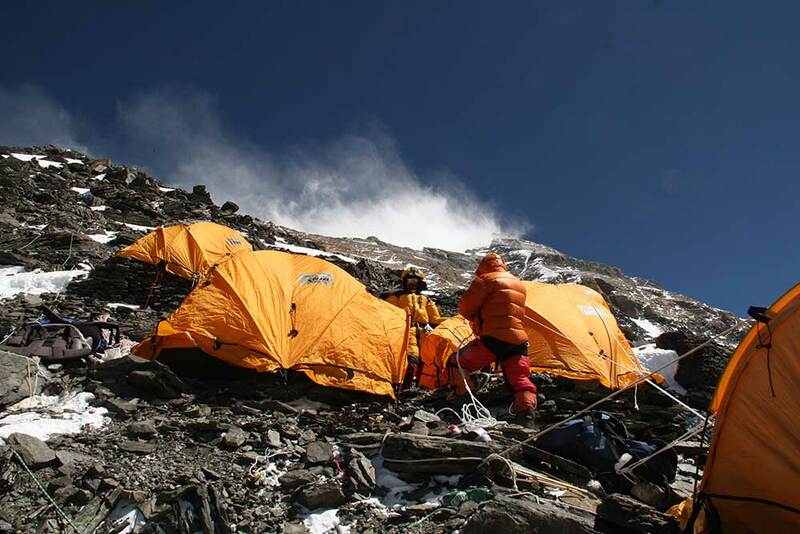 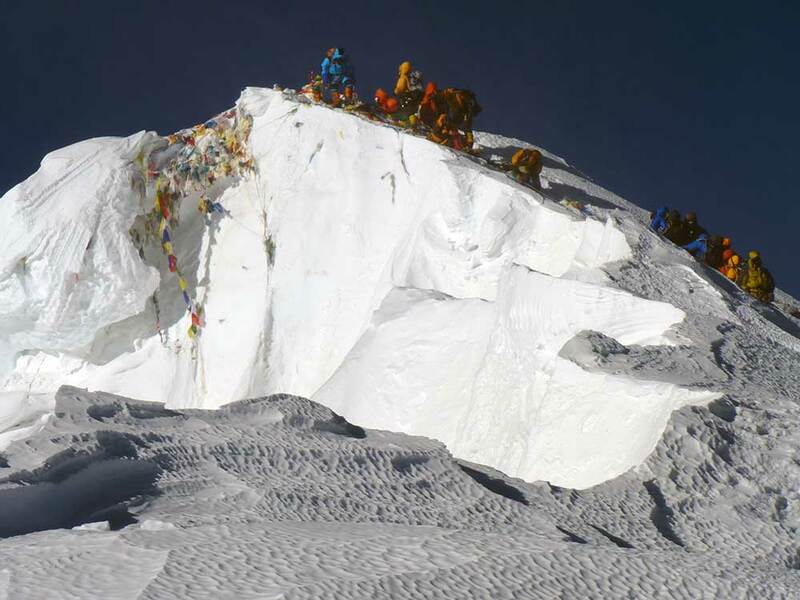 In 2011 we put 8 climbers on the summit and broke even more records. 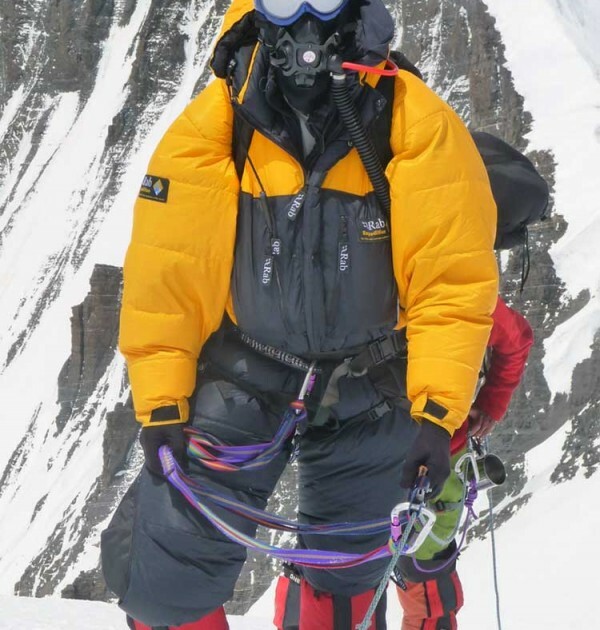 Geordie Stewart became the youngest person to complete the True 7 Summits, aged 22, at least for a couple of hours until George Atkinson summited and became, not only the youngest Briton to summit Everest, the youngest person to summit the True 7 Summits at the age of 16. 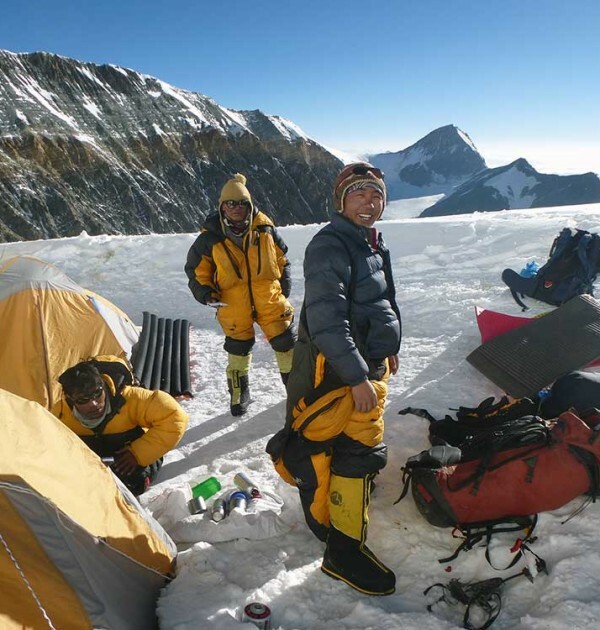 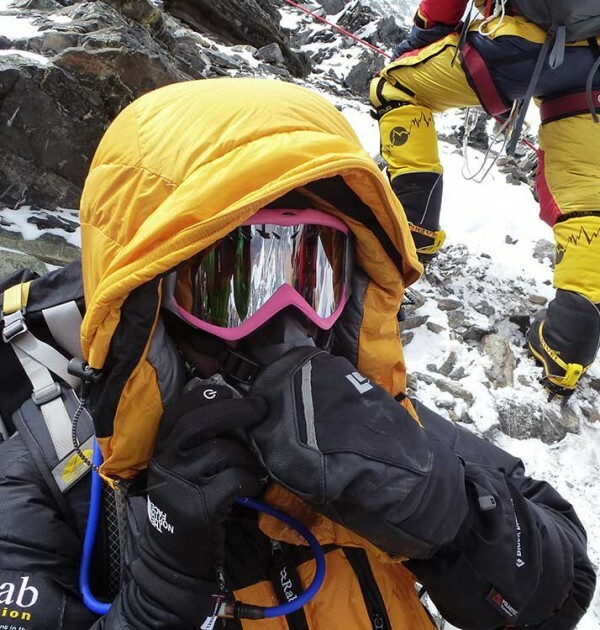 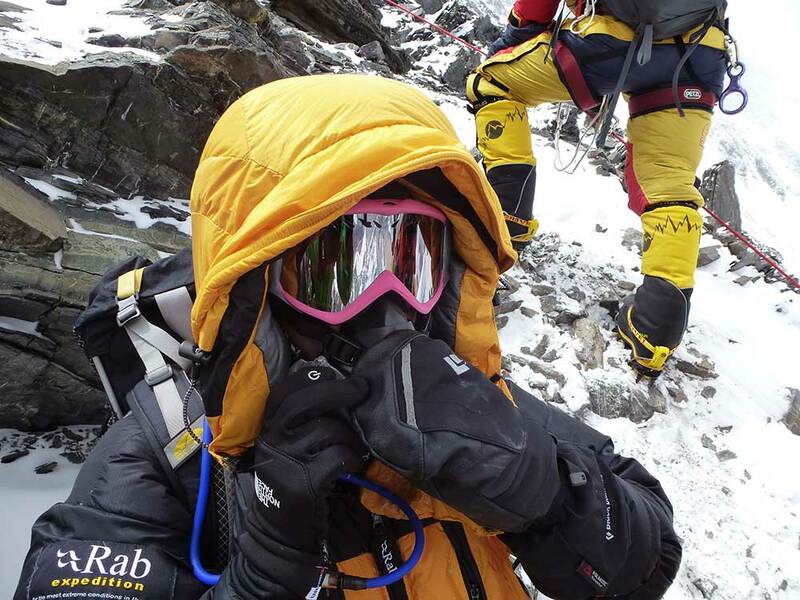 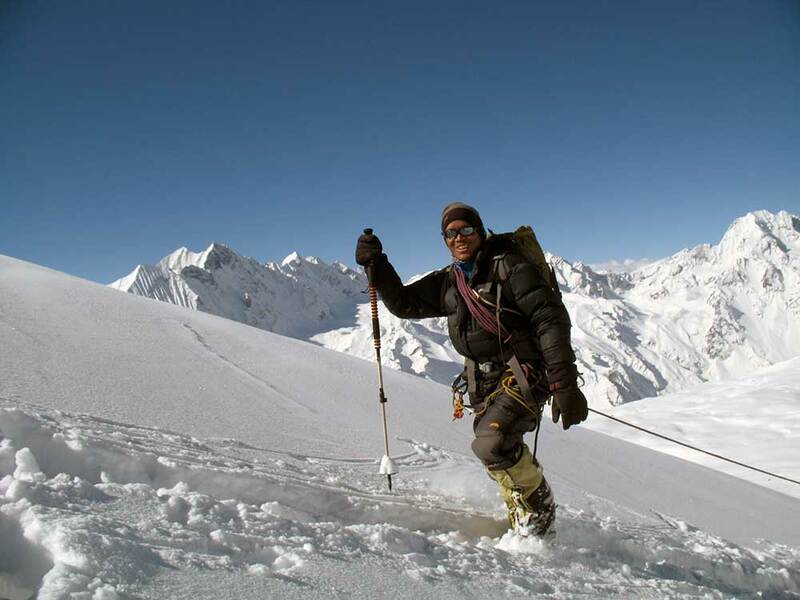 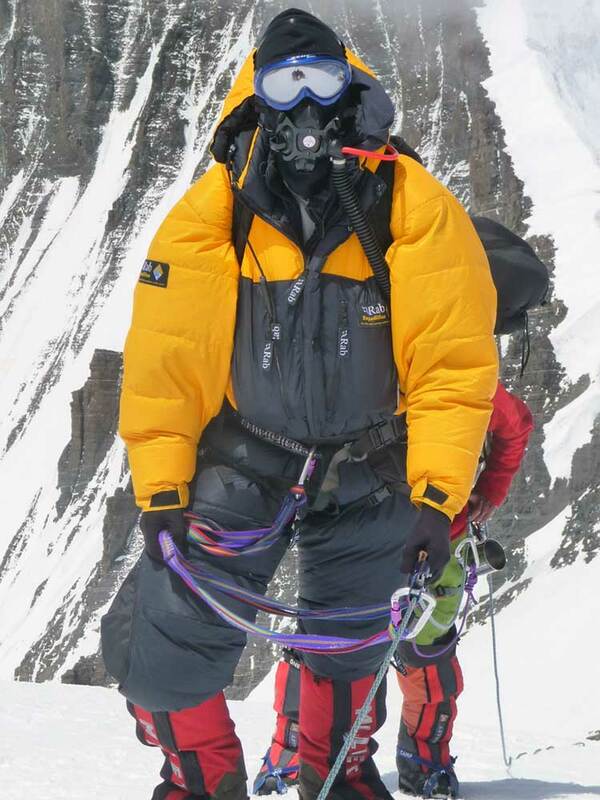 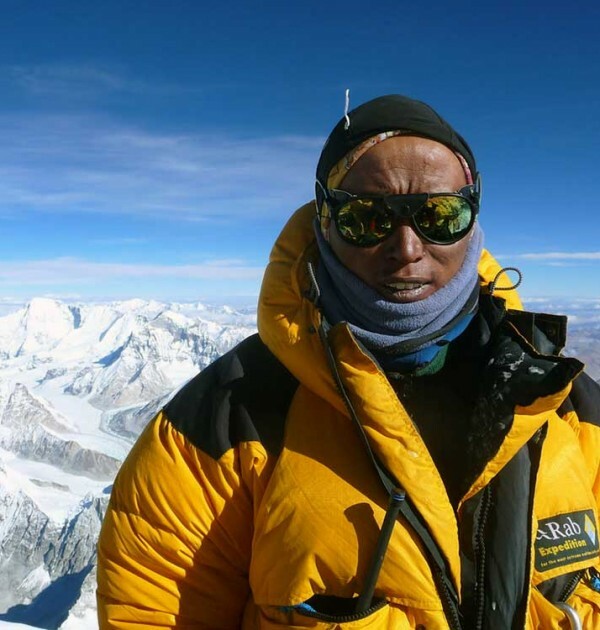 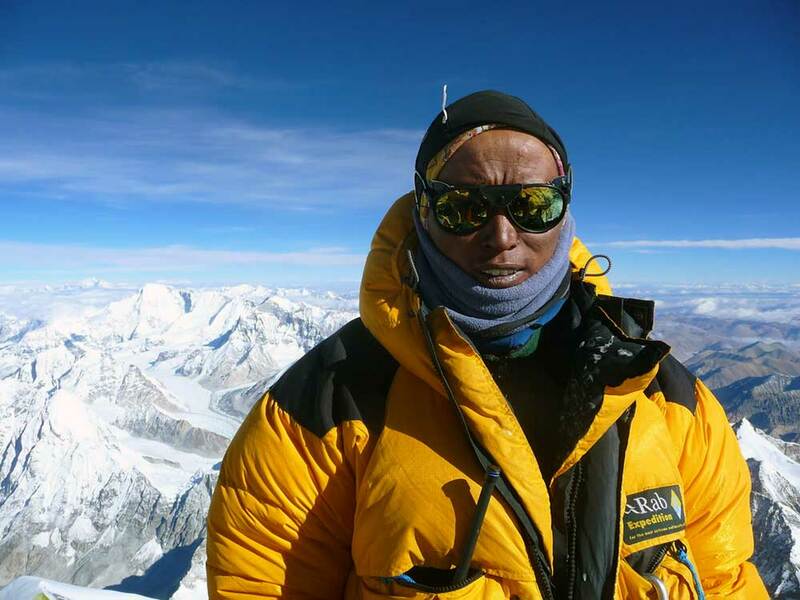 We also helped Jaysen Arumugum become the first Mauritian to summit Everest. 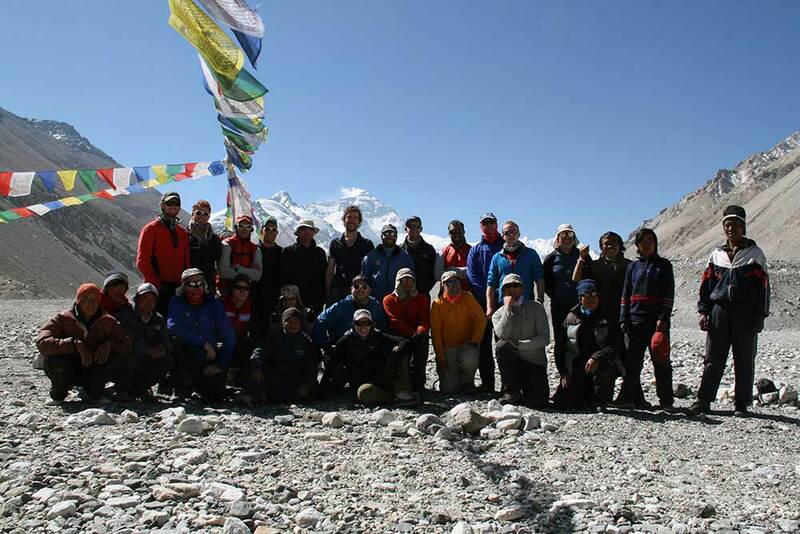 In 2012 our success continued and again in 2013 we achieved 80% success. 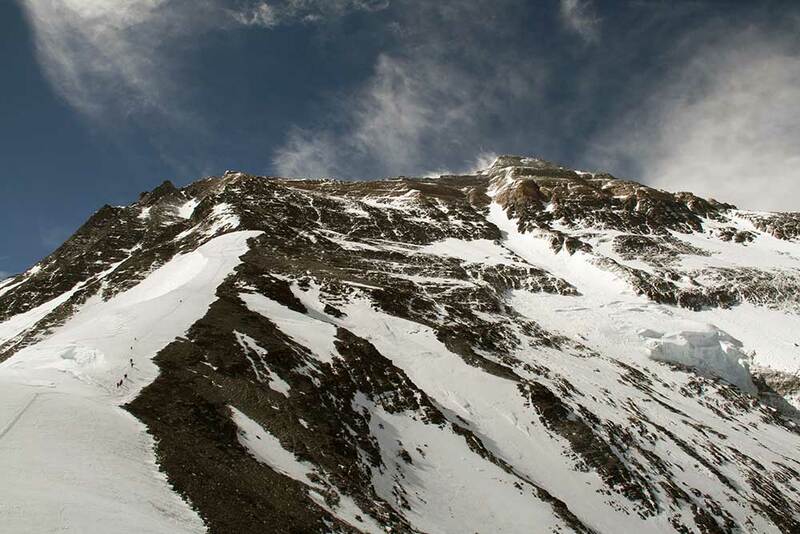 Our 2014 expedition reached the summit on 25th May, unaffected by the sad events of the South Col route. 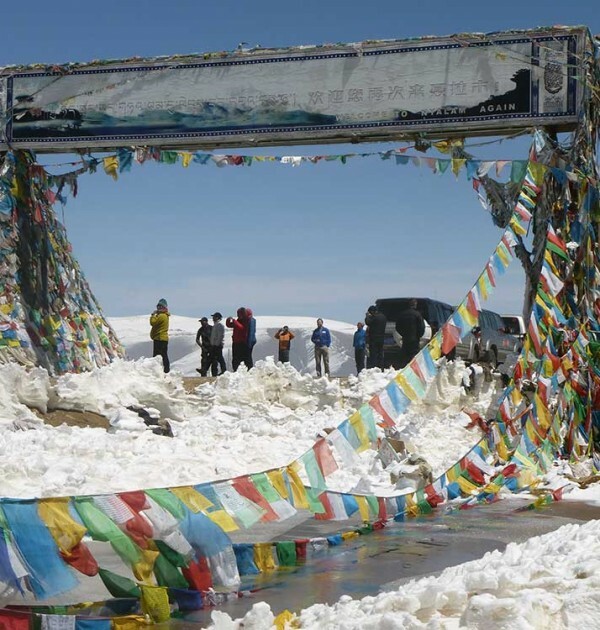 2015 expedition closed early due to the avalanche. 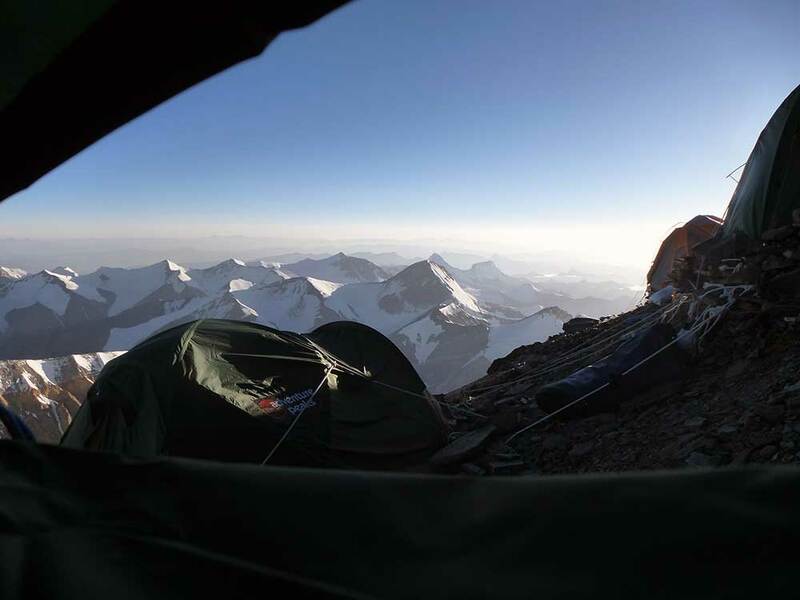 2016 again proved to be a successful year with everyone leaving high camp at 8300m, ending in 70% summit success and two clients turned around at 8600m. 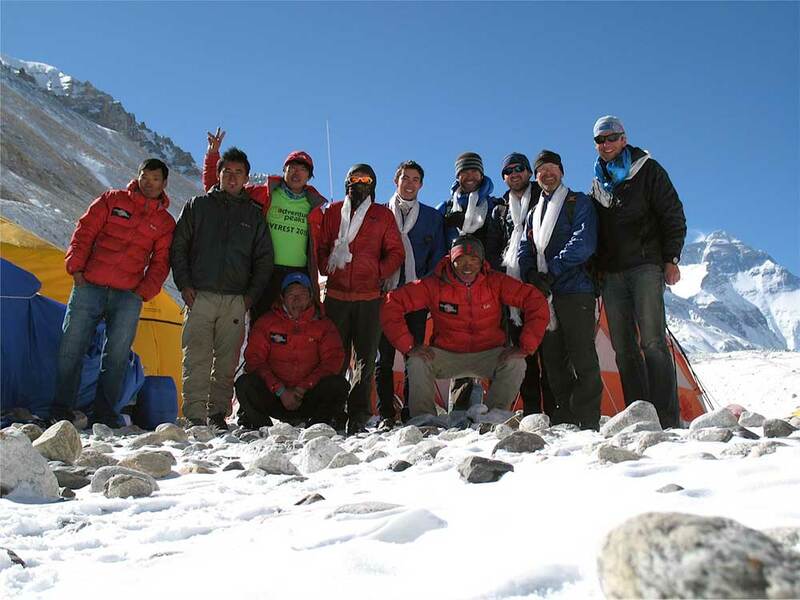 In 2017 we were again successful in achieving 80% summit success without incident in what was described as a difficult season of weather. 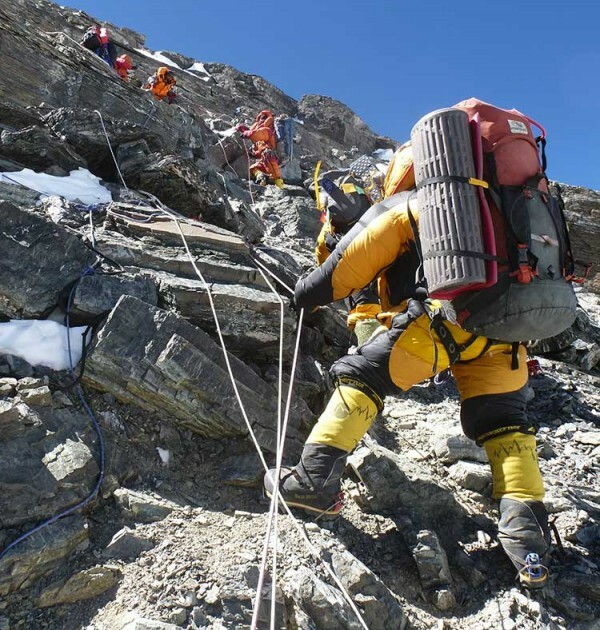 In 2018 we again achieved 80% success (one client left early due to an existing medical problem). 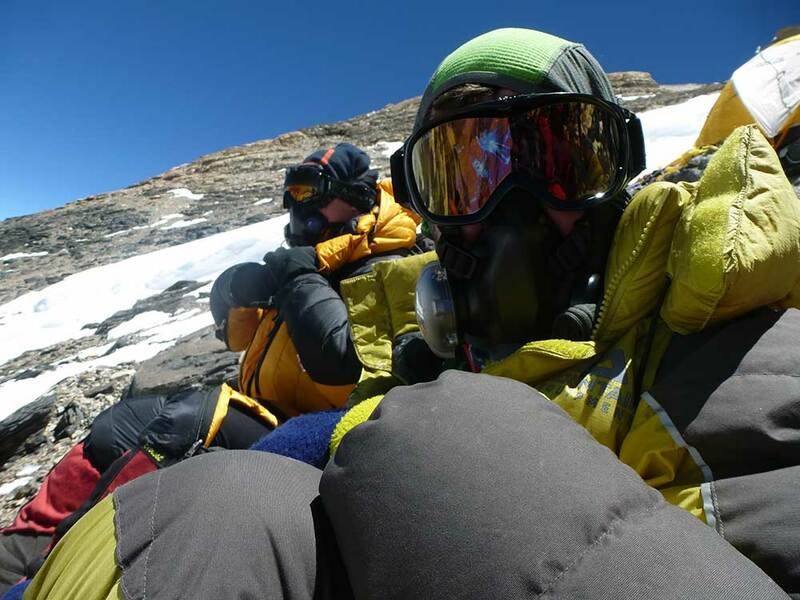 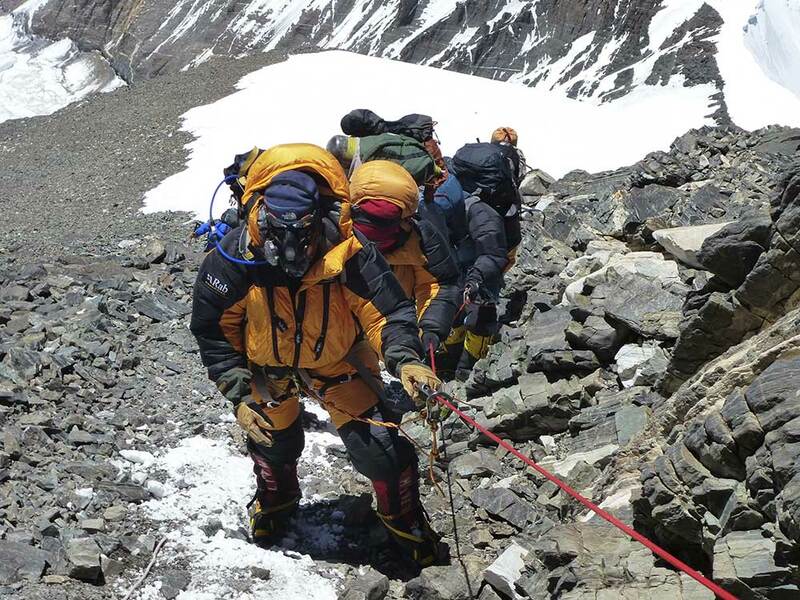 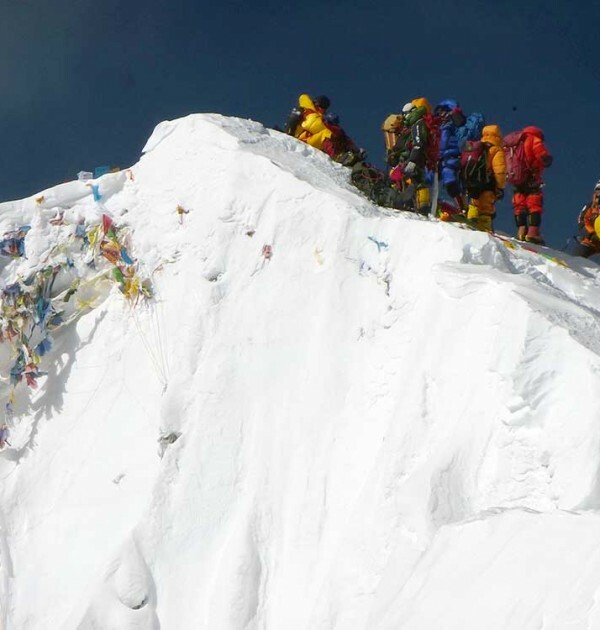 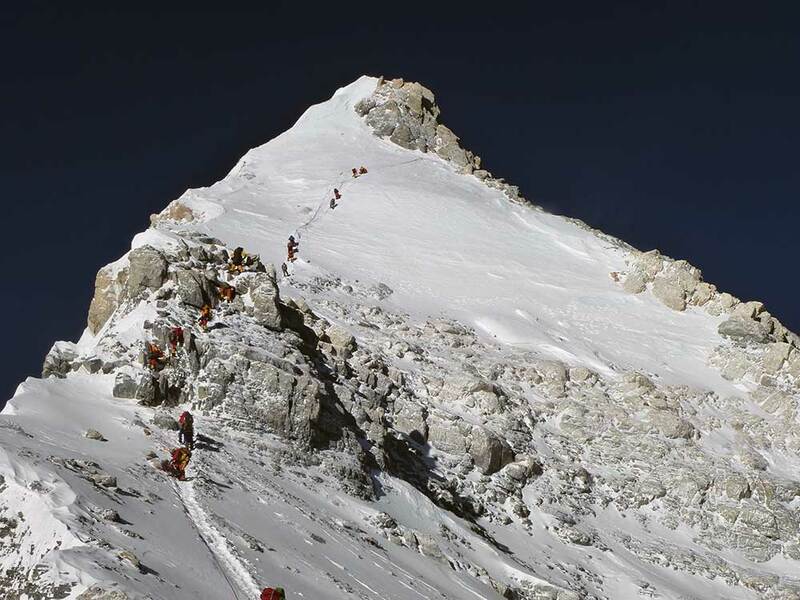 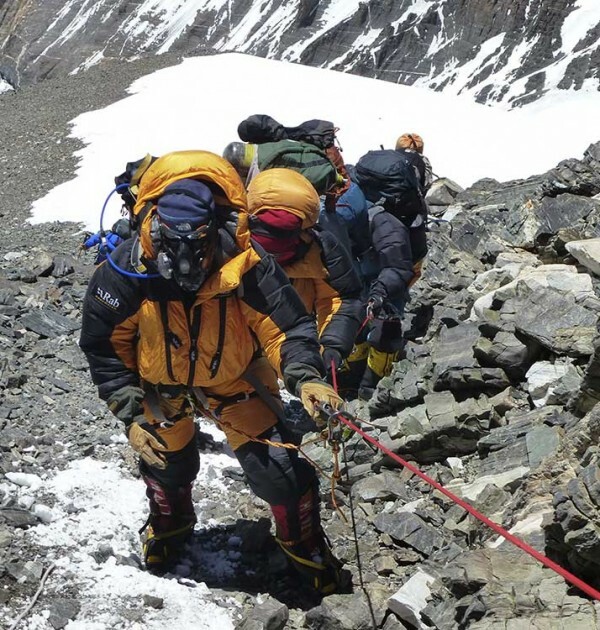 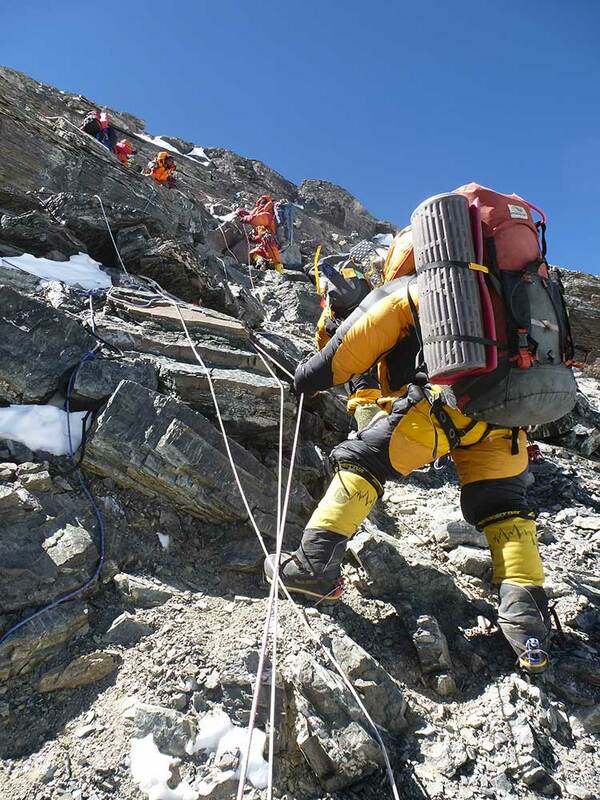 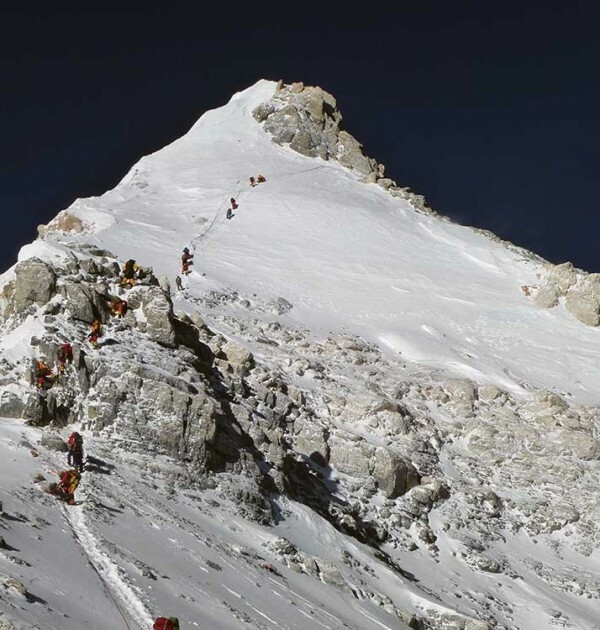 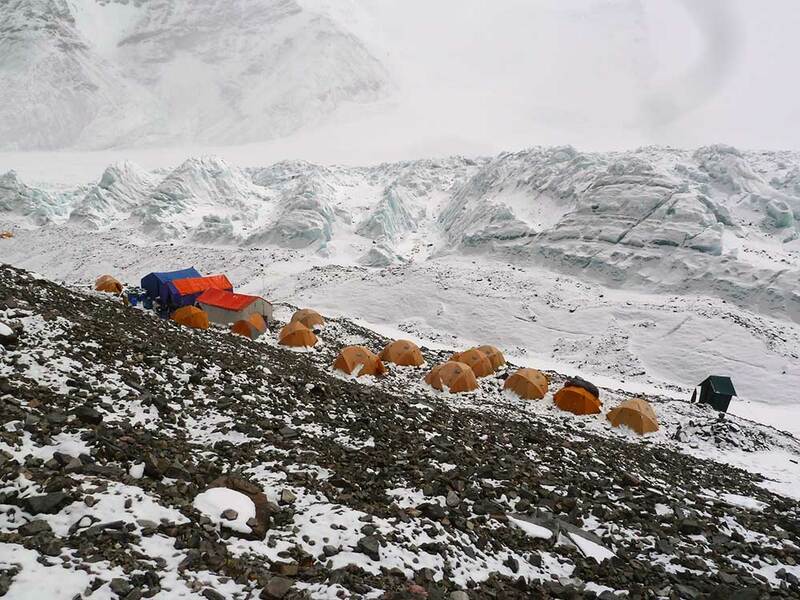 Less crowded and all climbers on the North Side must have 1:1 Sherpa support meaning your summit attempt is less likely to be disturbed by other climbers or other teams who are attempting Everest at a low cost without any support as is the case on the South side since 2019. 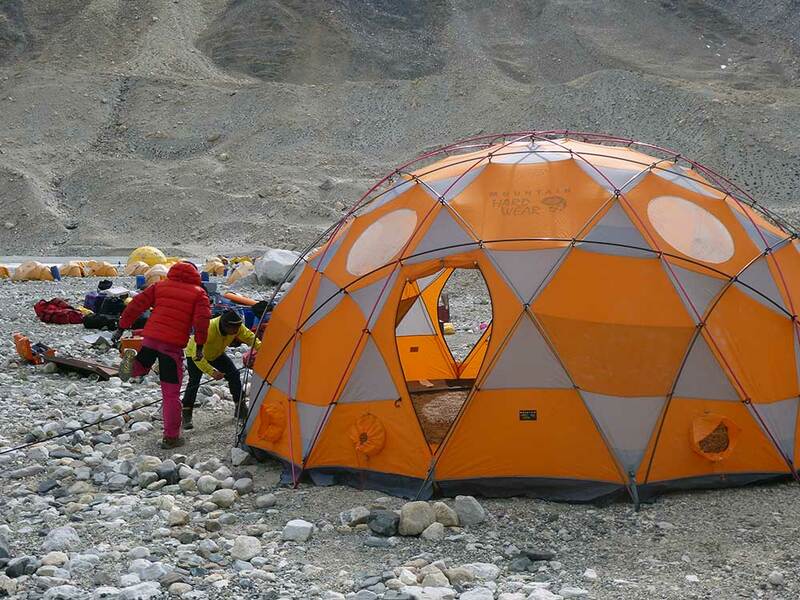 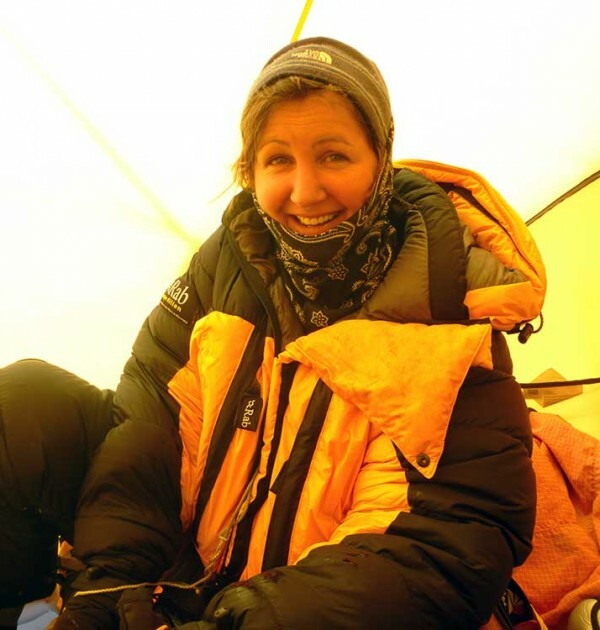 Pre Expedition Support – We have a dedicated team of experienced staff available seven days per week throughout the year to answer questions and address concerns. 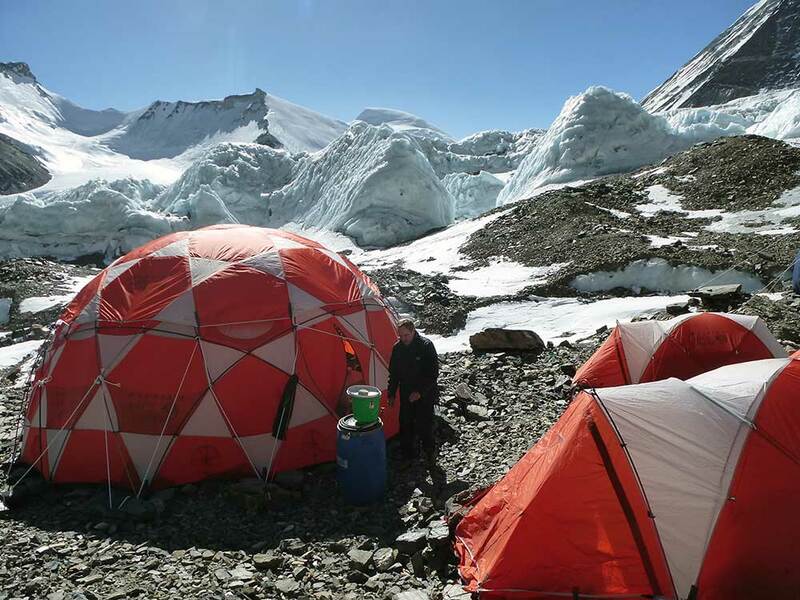 During expeditions alongside our office team we have a 24 hour emergency contact service available to family and friends. 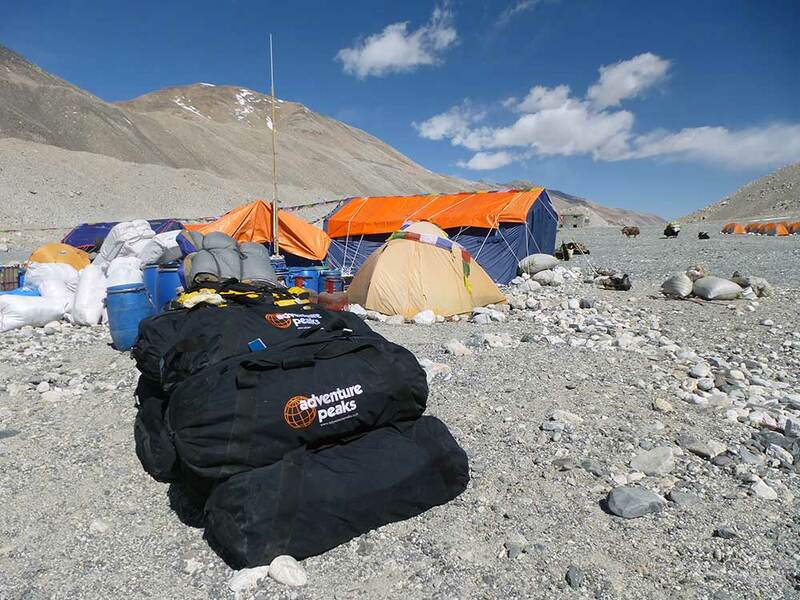 Our Web news provides regular updates of our expeditions. 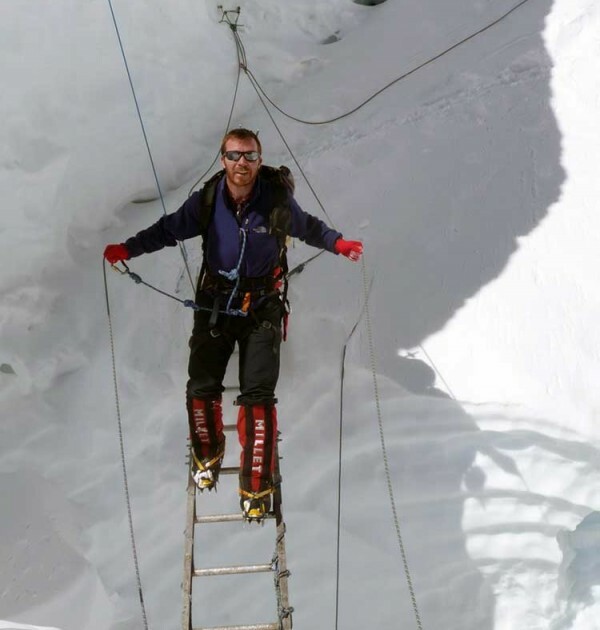 For those able to attend we offer our unique monthly training weekends in the UK to enable clients to meet and train together under our expert guidance and to gain ongoing advice. 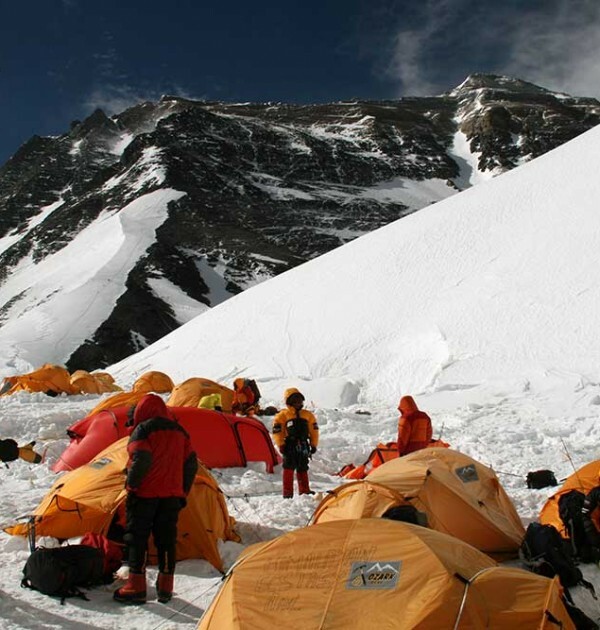 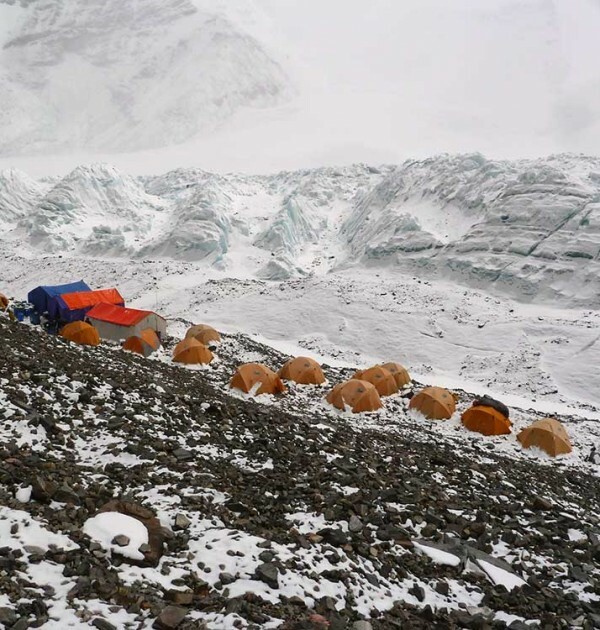 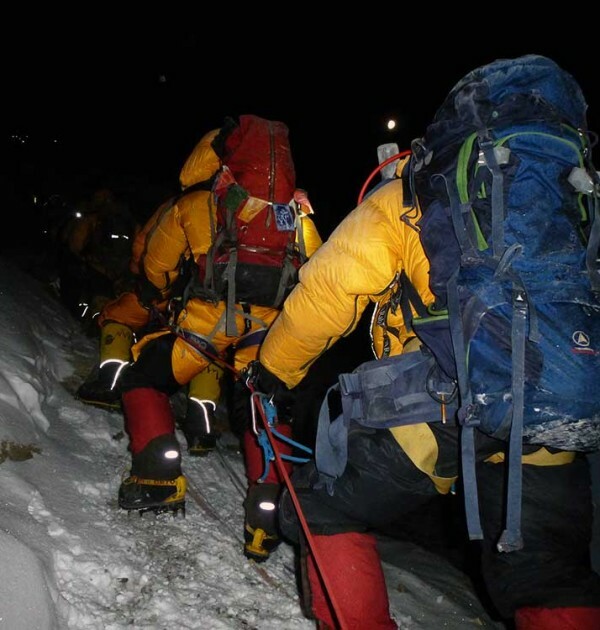 Success and Client Selection – We have been organizing successful Everest expeditions for almost 20 years with an average success rate close to 80%. 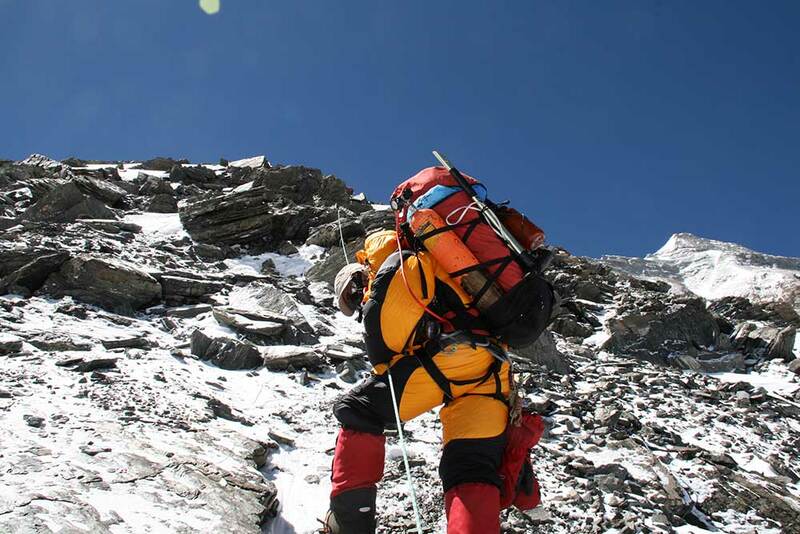 We do our utmost to put together a strong team of proficient, experienced climbers to aid your success. 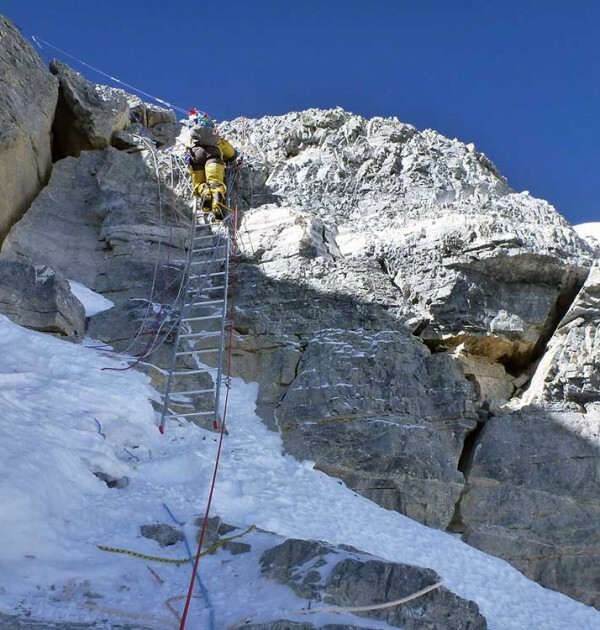 We don’t just take anyone, though we are happy to provide less experienced climbers with training programs to get them ready for future years. 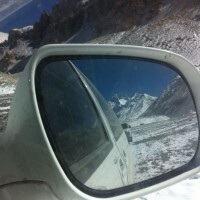 Read more later. 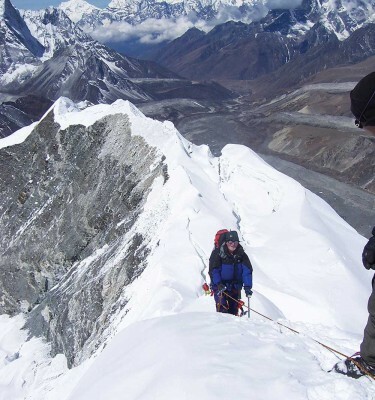 Financial Protection – Everest is an expensive undertaking Adventure Peaks provide financial protection for your funds through ATOL Bonding. 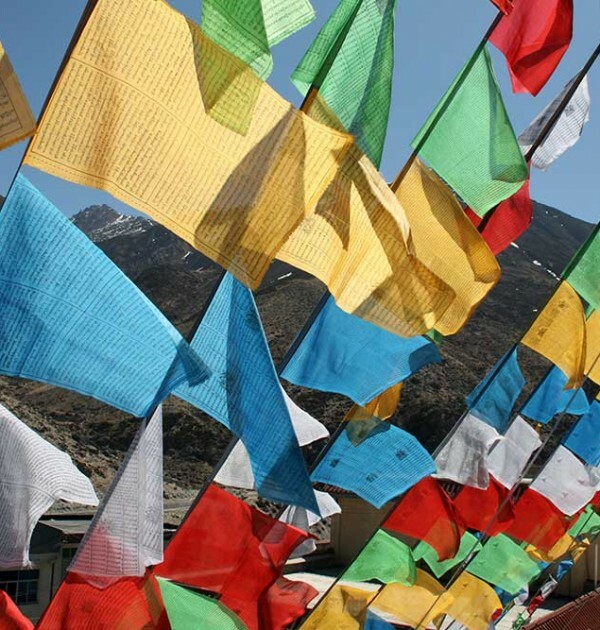 Through our years of experience, we know what in country providers to work with and when to transfer funds, this allows us to provide you with the best possible protection. 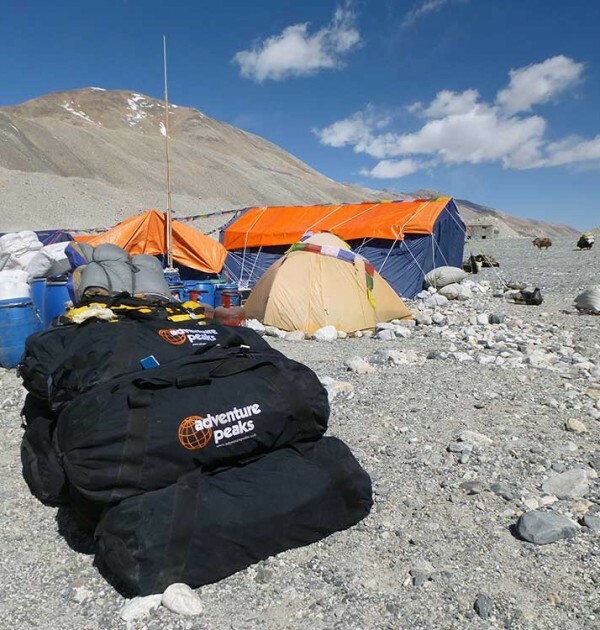 Medical Support – Our leaders have Direct access to a 24hr UK medical support centre, for advice on any medical ailments or emergency during your expedition. 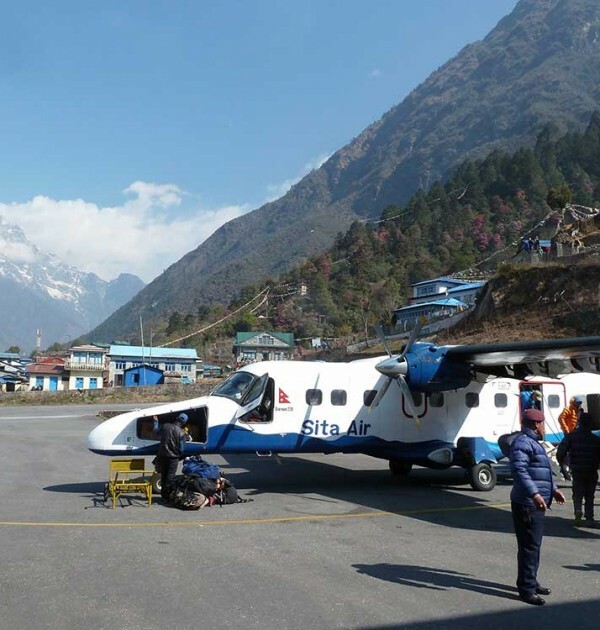 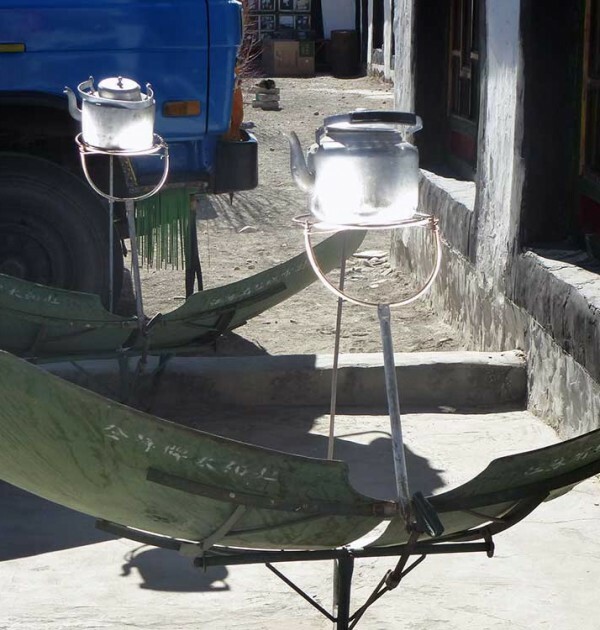 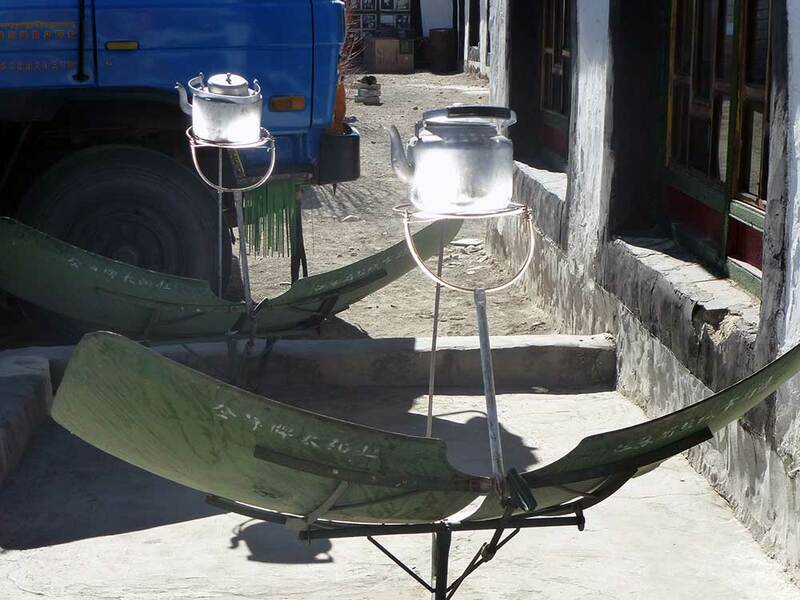 Local Nepali operator or British registered company, what makes us different? 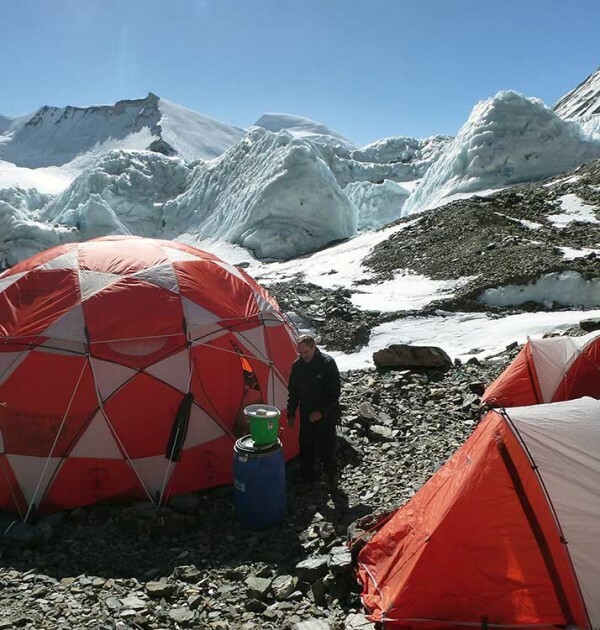 Direct access to 24hr UK medical support centre, for advice on any medical ailments or emergency during your expedition this is available for our leaders and clients to access. 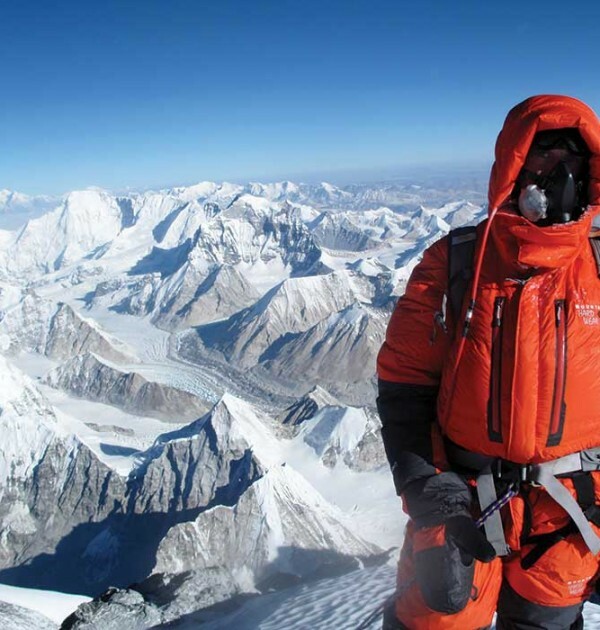 A paid for weather service from a western provider that examines multiple weather forecast models, not a general online provider. 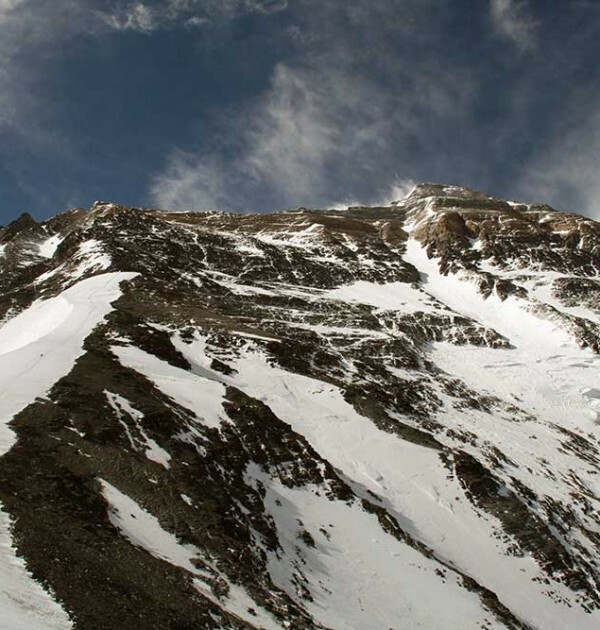 Our system provides actual weather charts that allow us to get a better understanding of the risks. 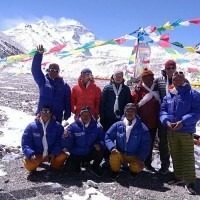 Updates are sent during each day of the summit period direct to our leaders. 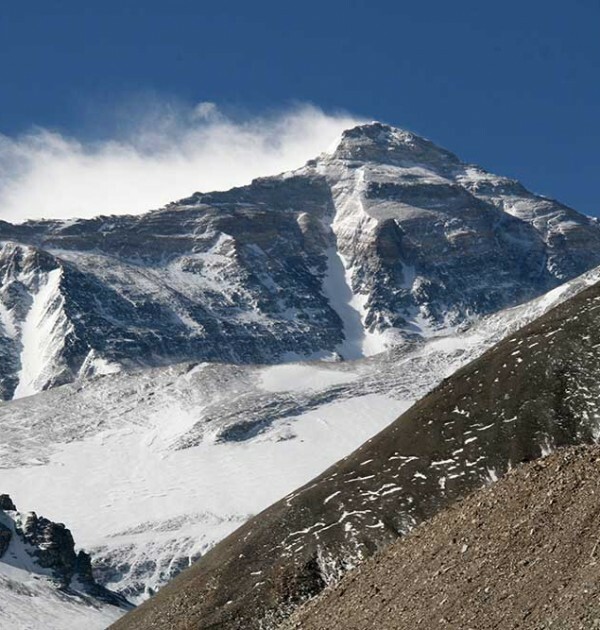 In contrast mountain-forecast.com provides a basic service and is used by many low-cost local operators. 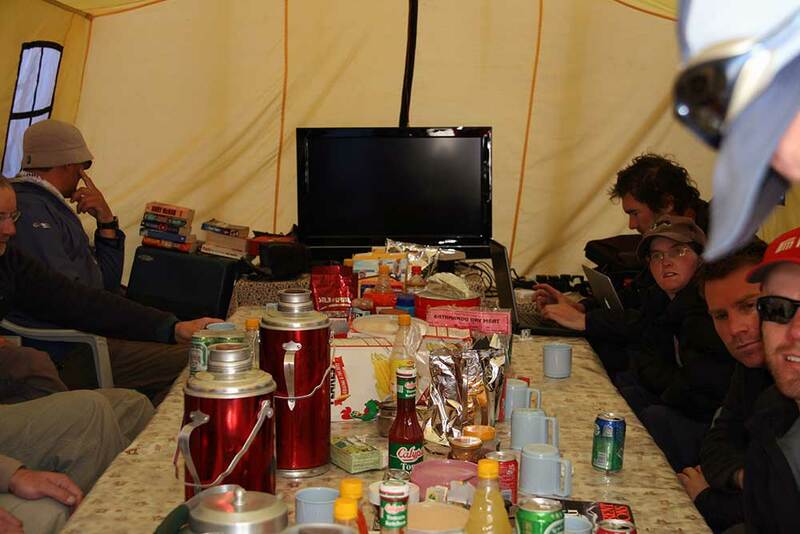 Pre Expedition Skills training or advice is given to ensure you arrive with the appropriate skills and mental toughness. 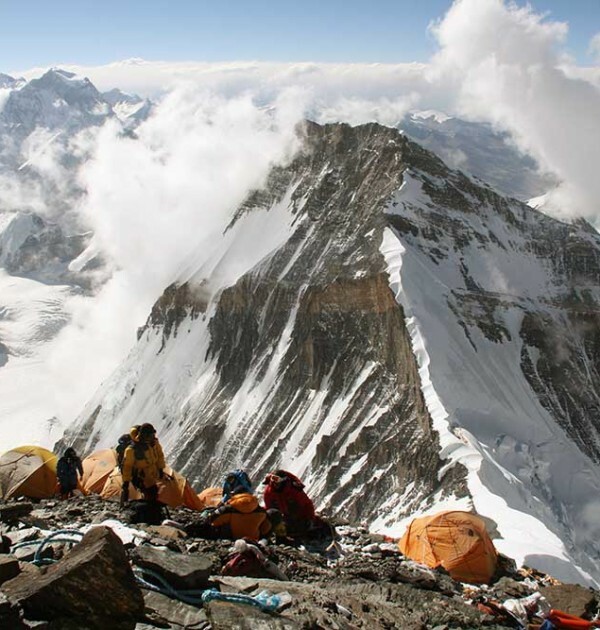 Adventure Peaks is very clear about what we provide, and we do not use ambiguous wording (or hopefully not) that makes a world of difference. 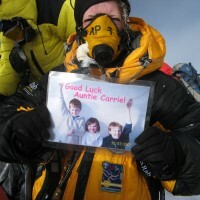 Oxygen 8 x 4 litre. 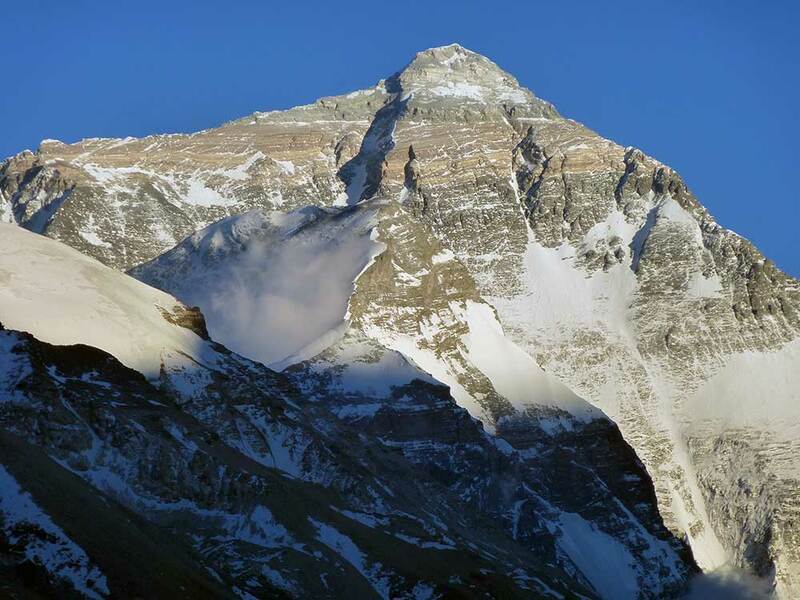 All permits to climb Mount Everest North Ridge. 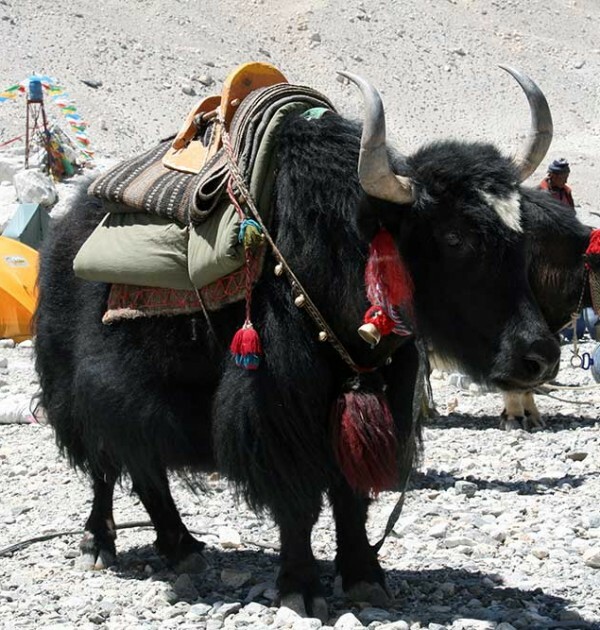 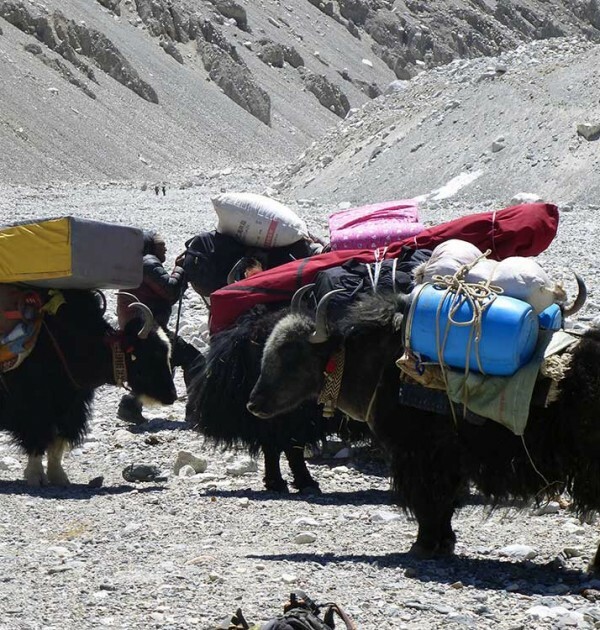 Yaks & Porters to ABC. 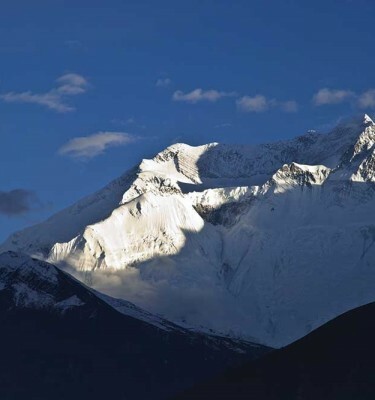 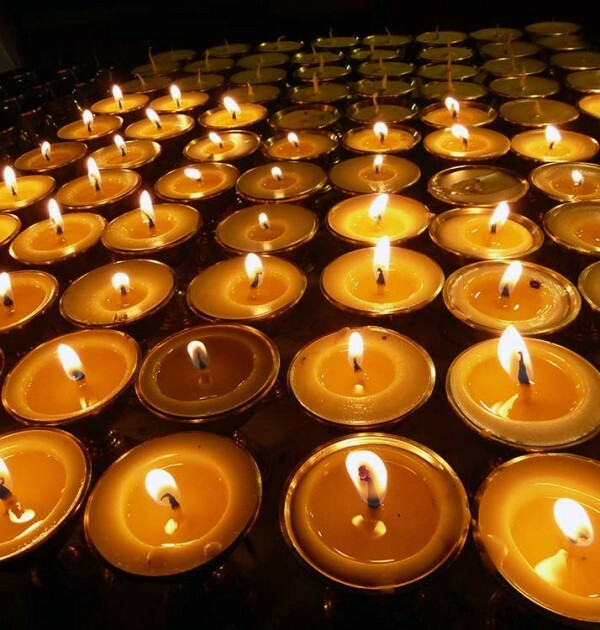 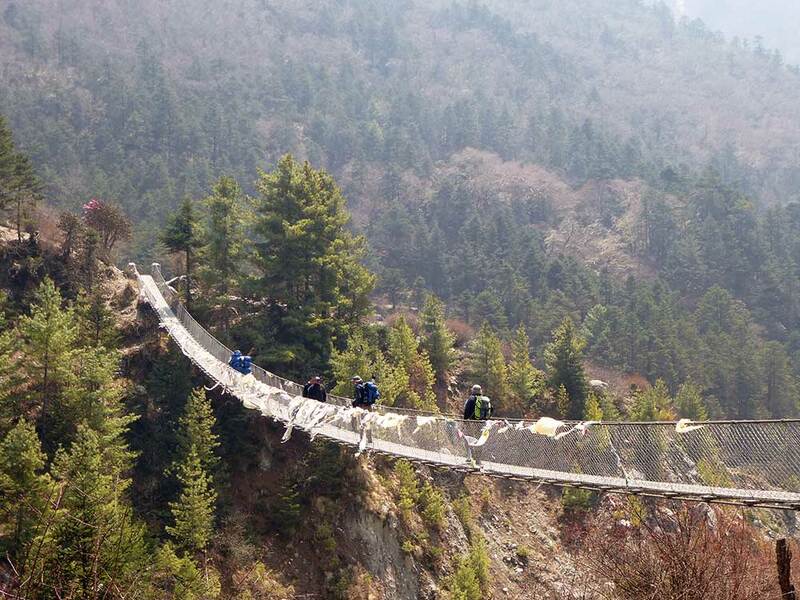 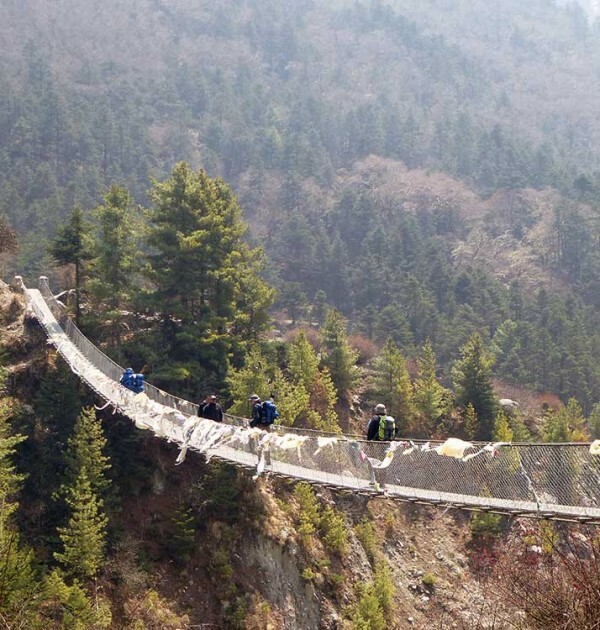 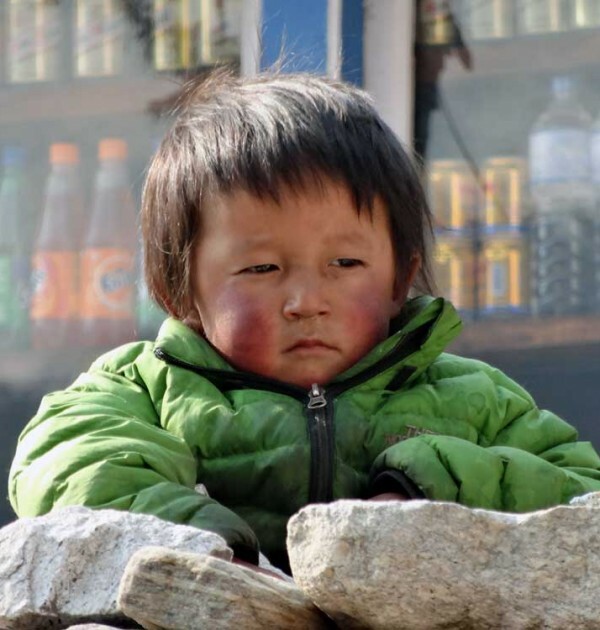 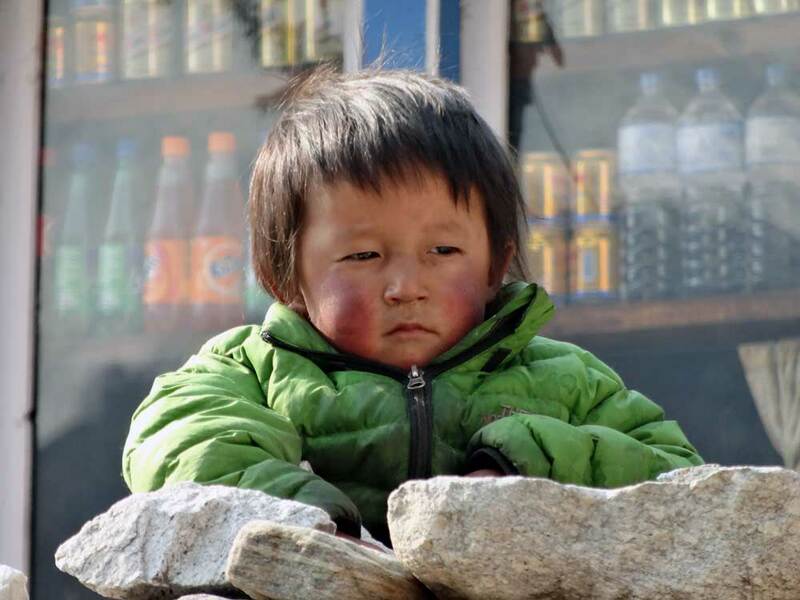 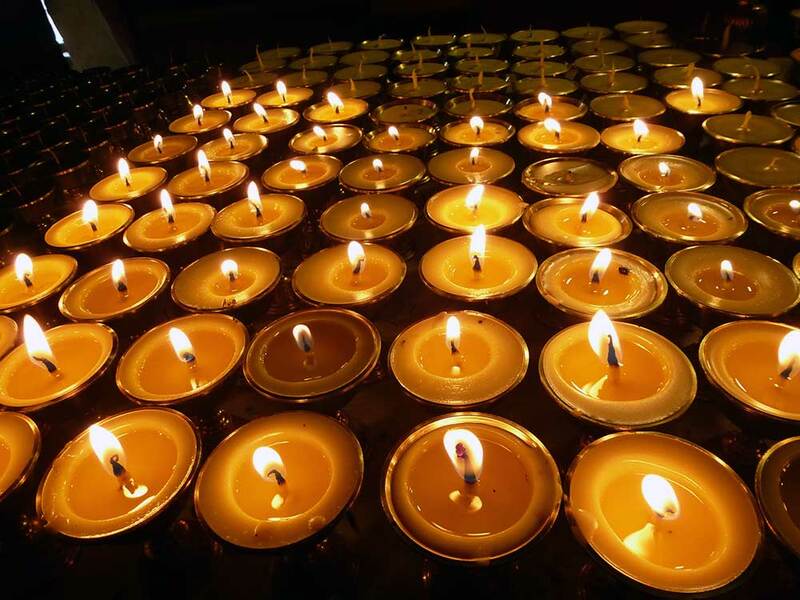 Hotels Chengdu, Lhasa and on the journey to BC on a Bed & Breakfast basis. 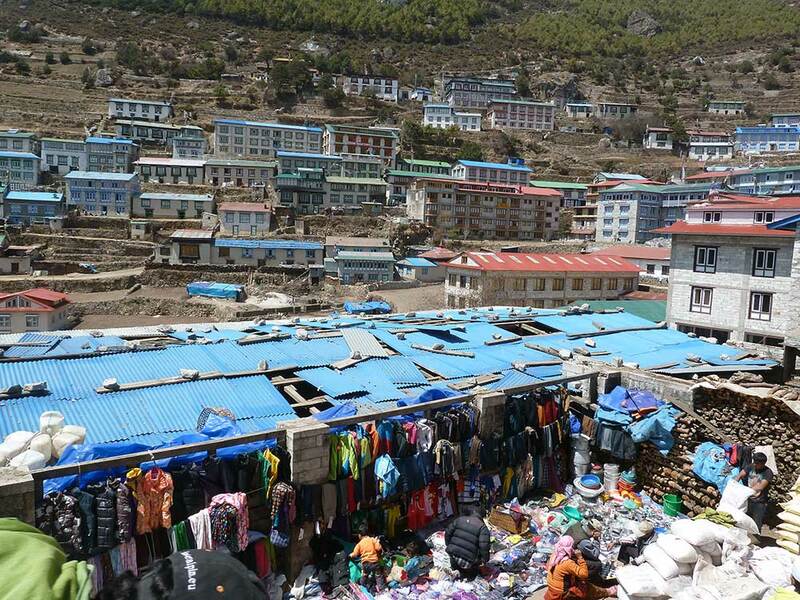 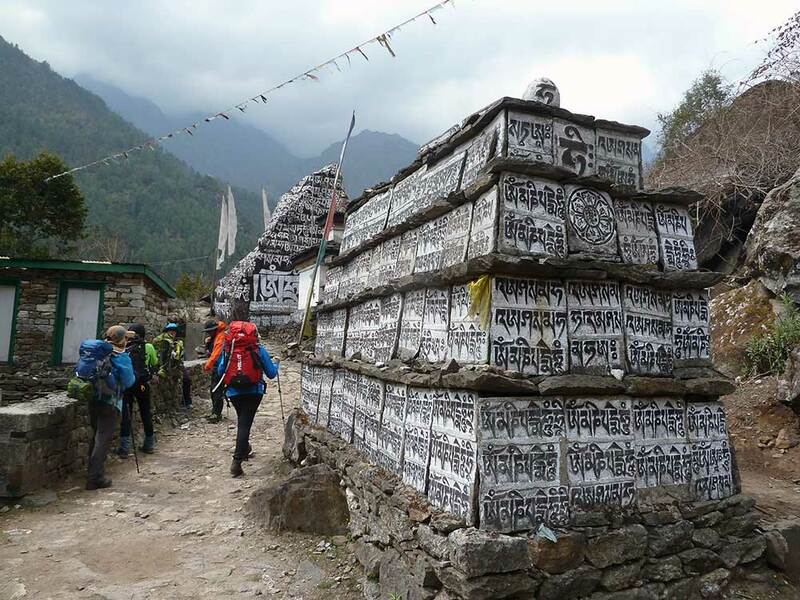 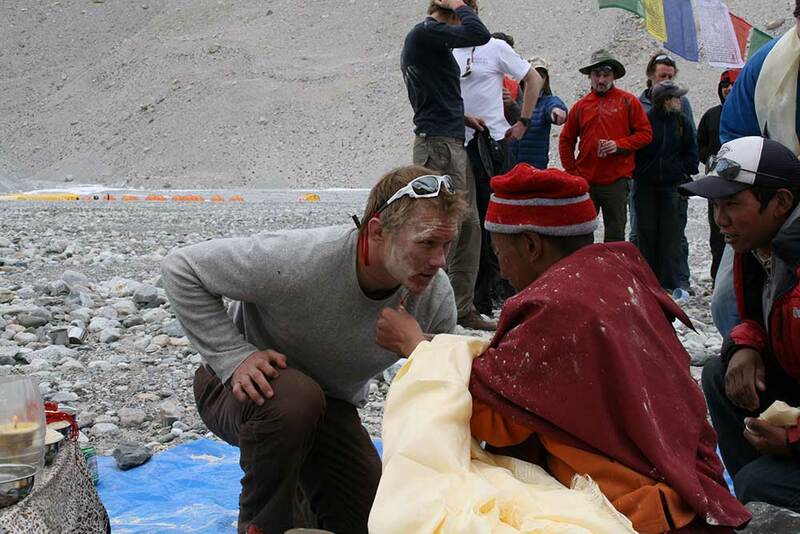 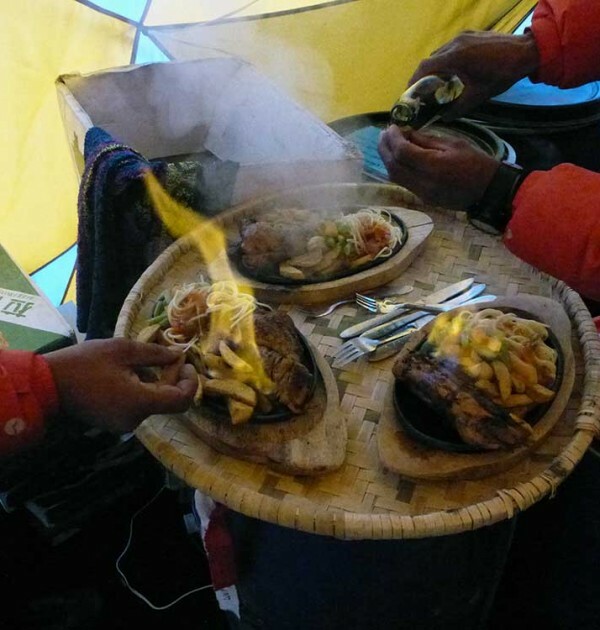 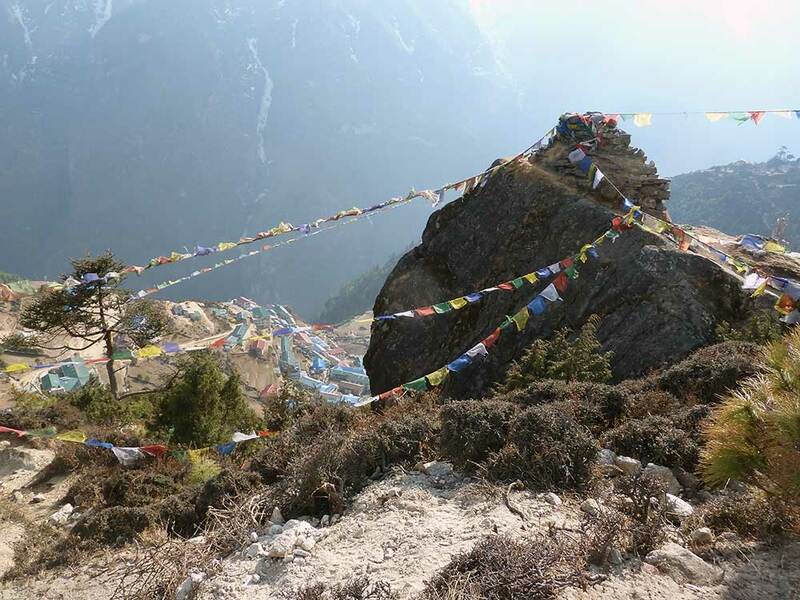 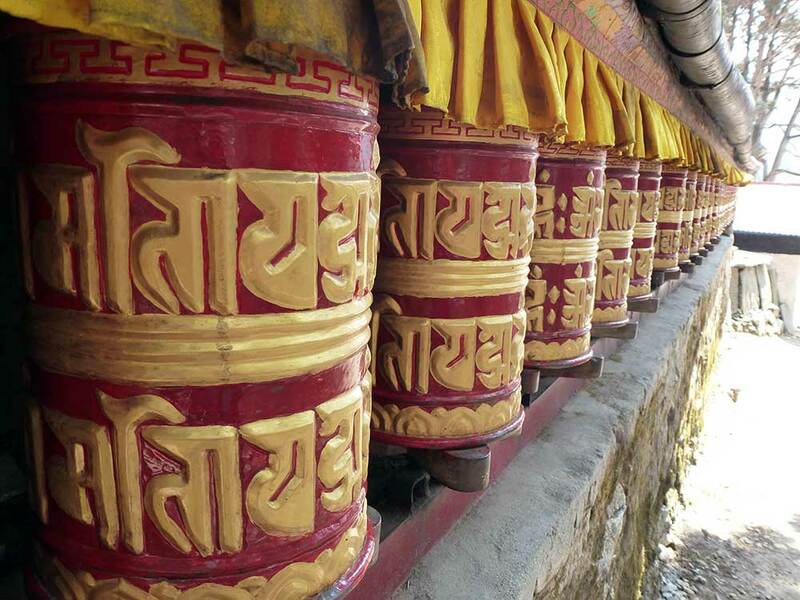 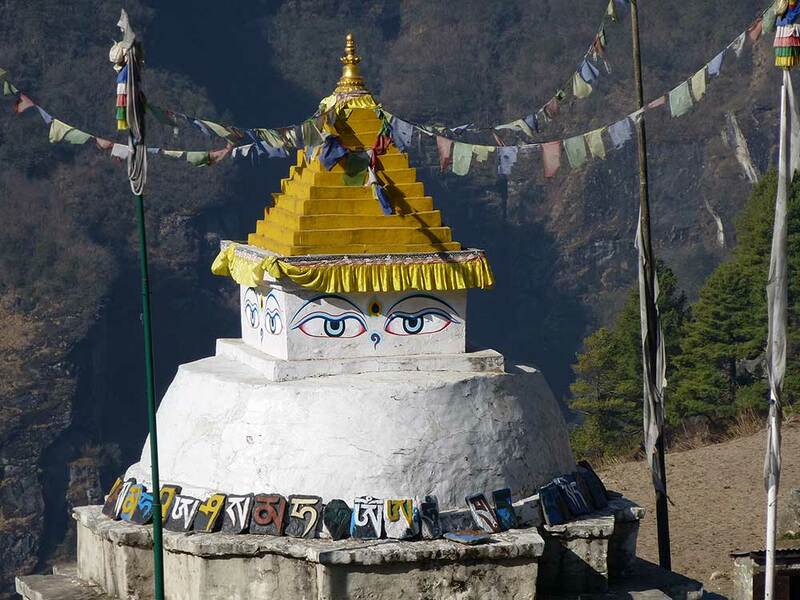 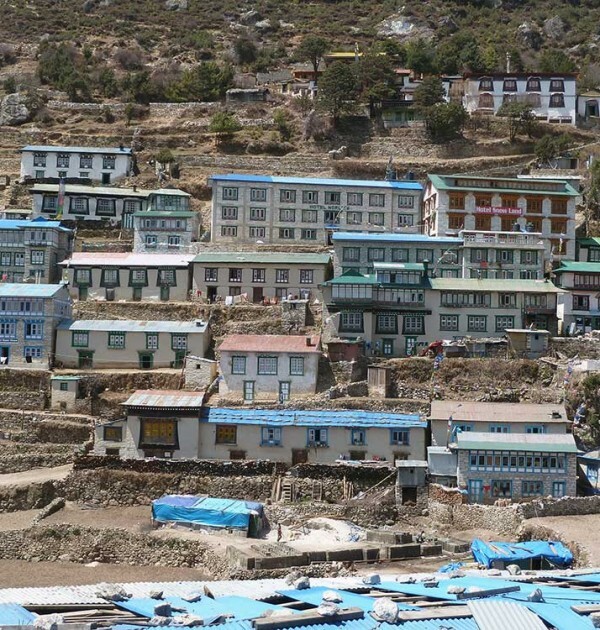 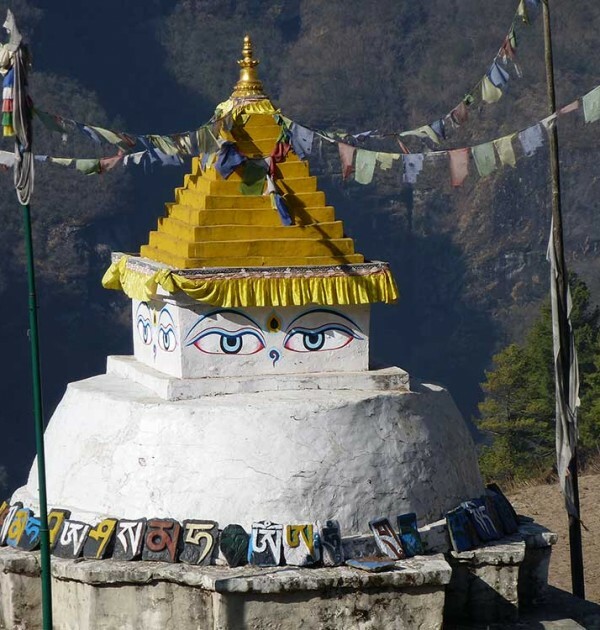 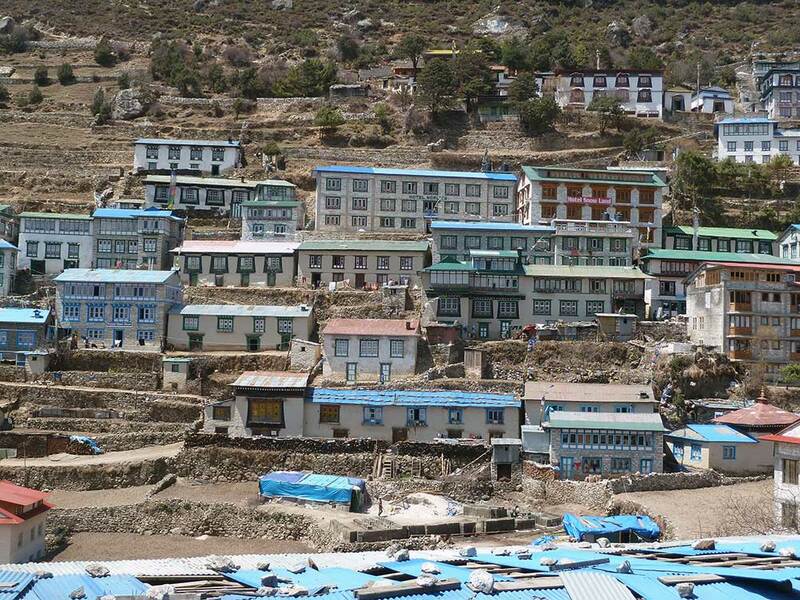 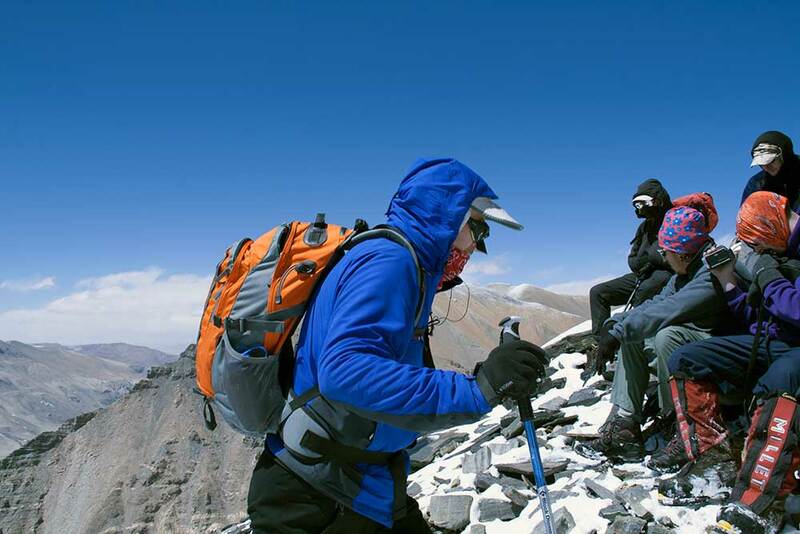 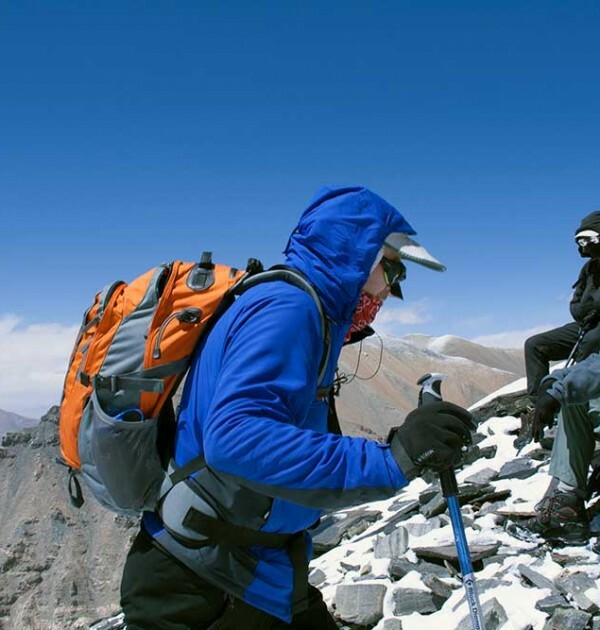 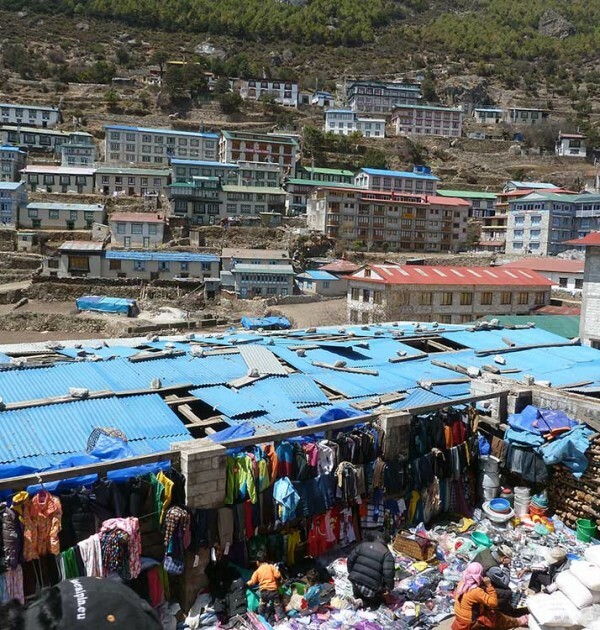 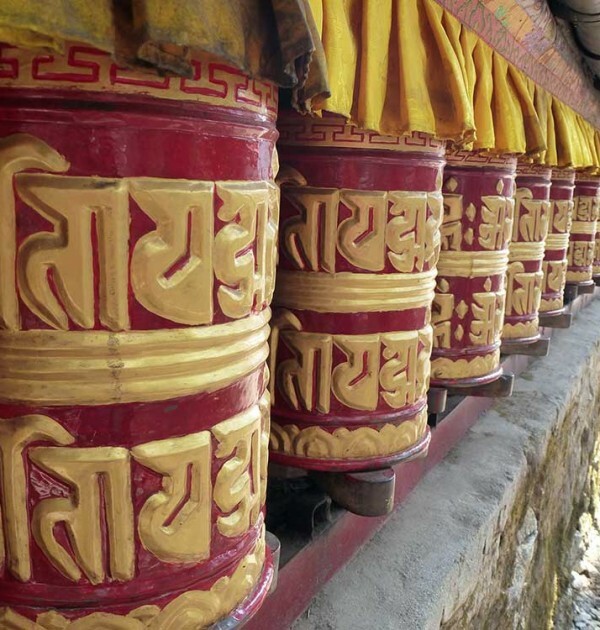 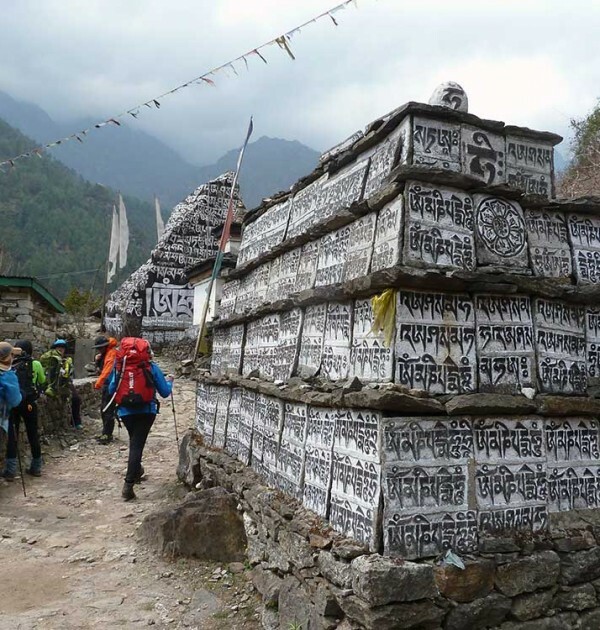 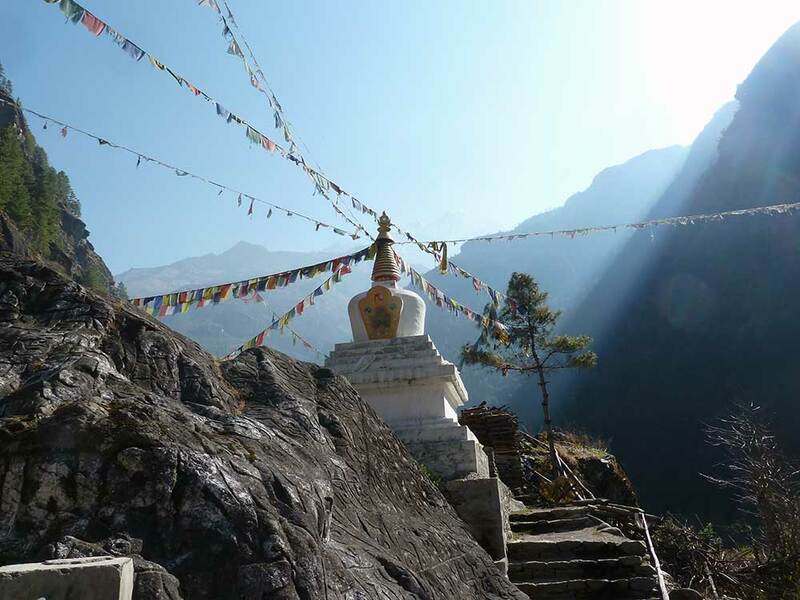 Tips for porters and local guides & sherpa summit bonus. 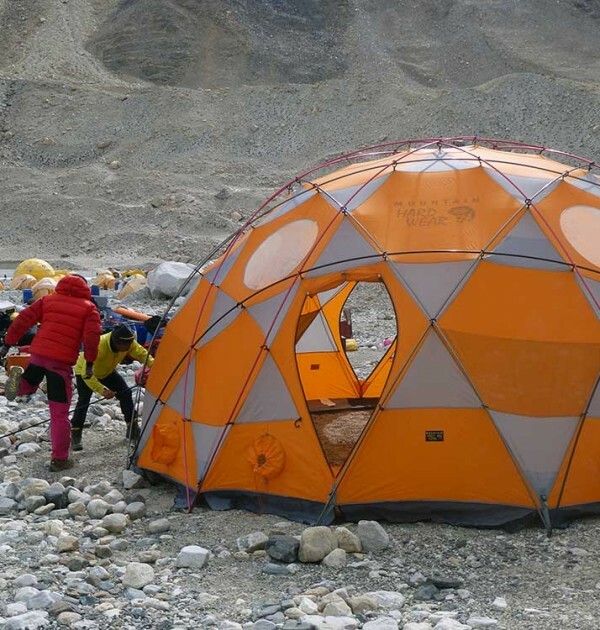 Adventure Peaks provides 15% discount off any equipment purchased online or from our Ambleside shop if you have booked (and paid a deposit) on one of our expeditions or courses*. 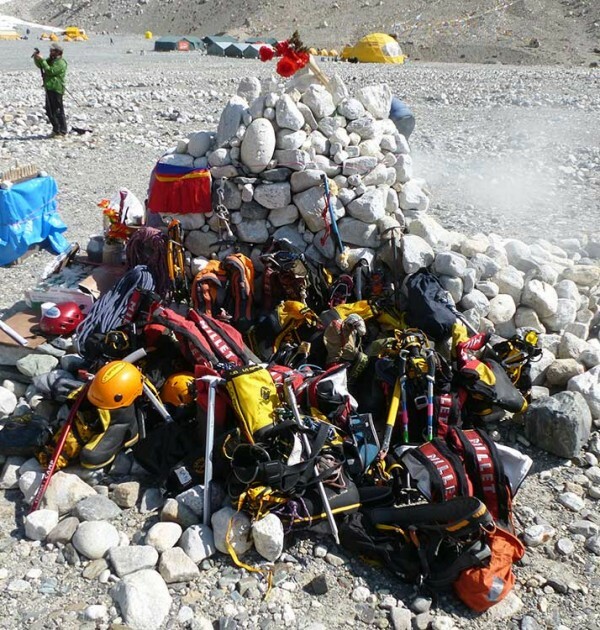 We offer our equipment hire service to both clients and non-clients, although Adventure Peaks clients receive a further discount. 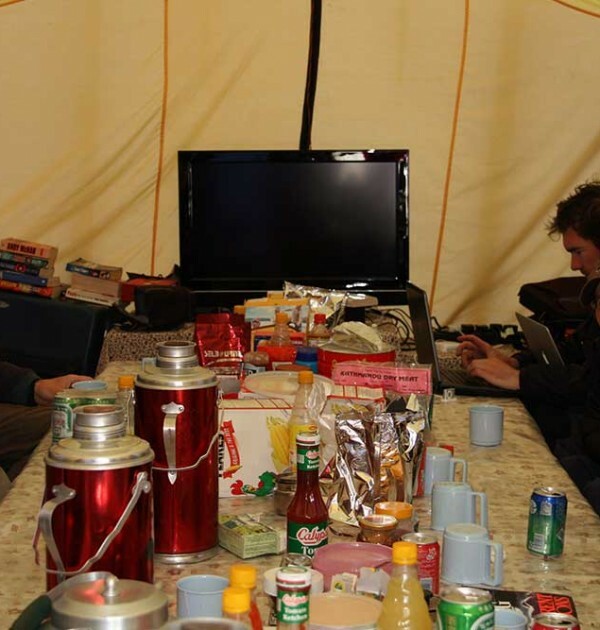 *Excludes books/maps and electrical equipment. 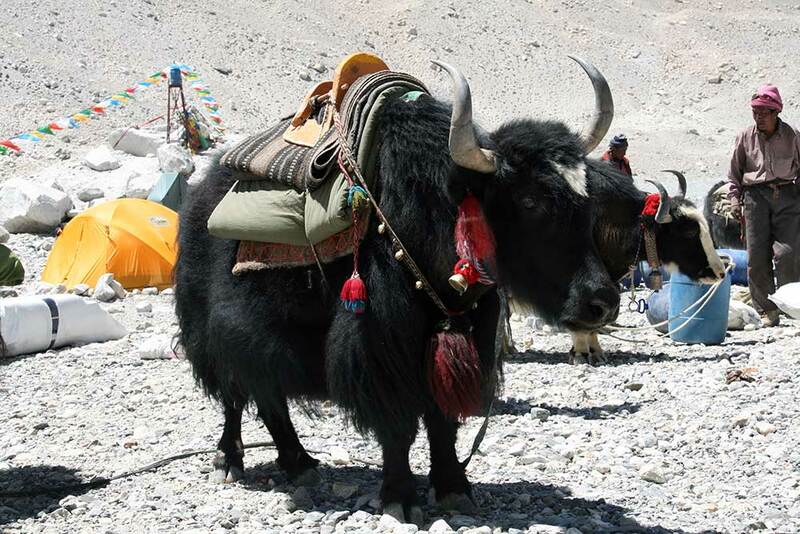 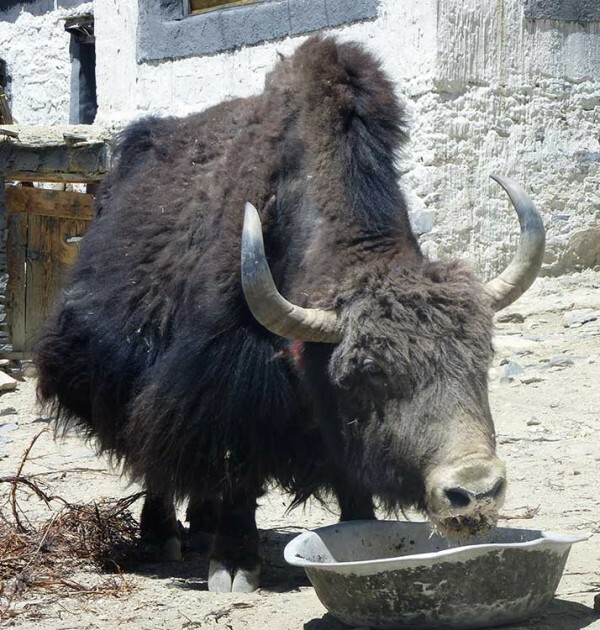 Everest North Ridge 8th April 2019 - 19th April Thumbs up for Guardians of The Galaxy...But Look out there's a Yak invasion! 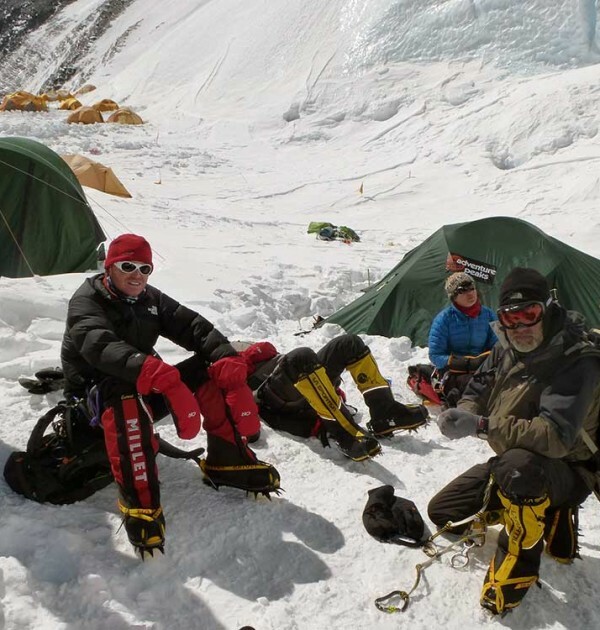 Everest North Ridge 7th April 2018 - 18th May They've only gone and done it! 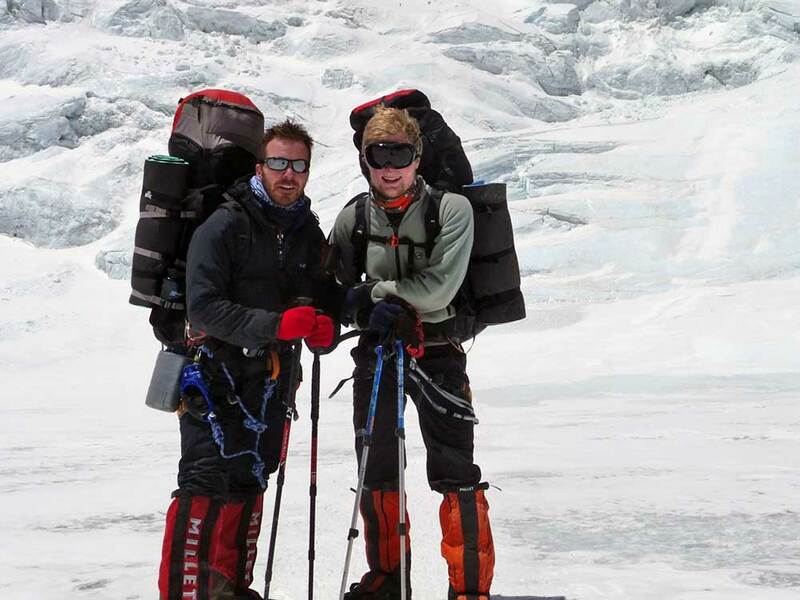 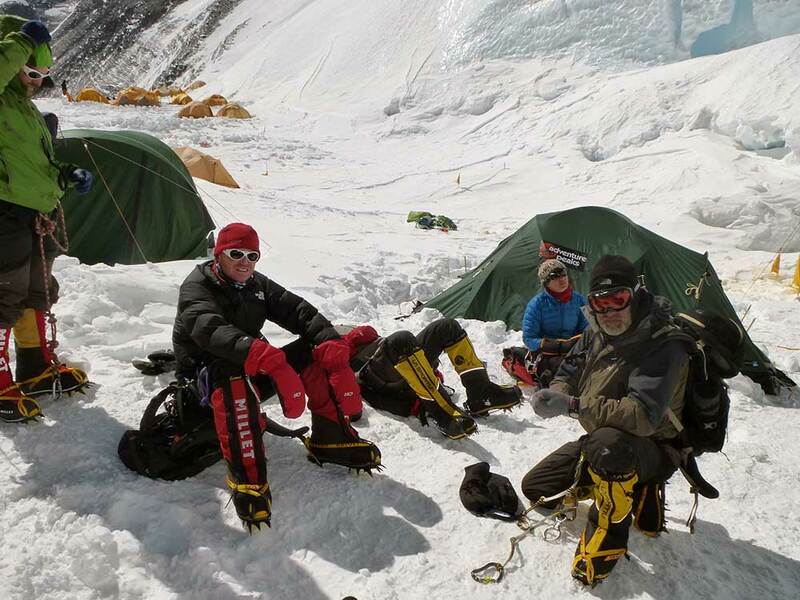 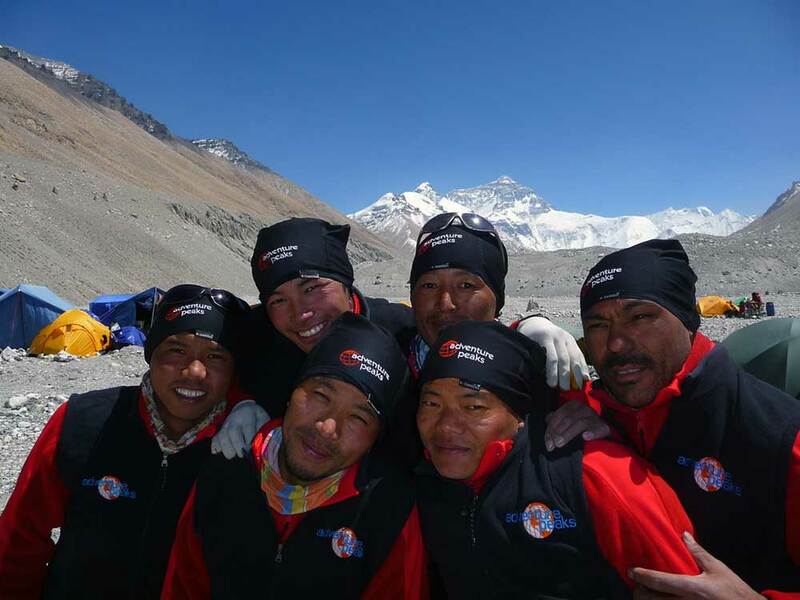 Adventure Peaks team stand proud on the summit of Everest. 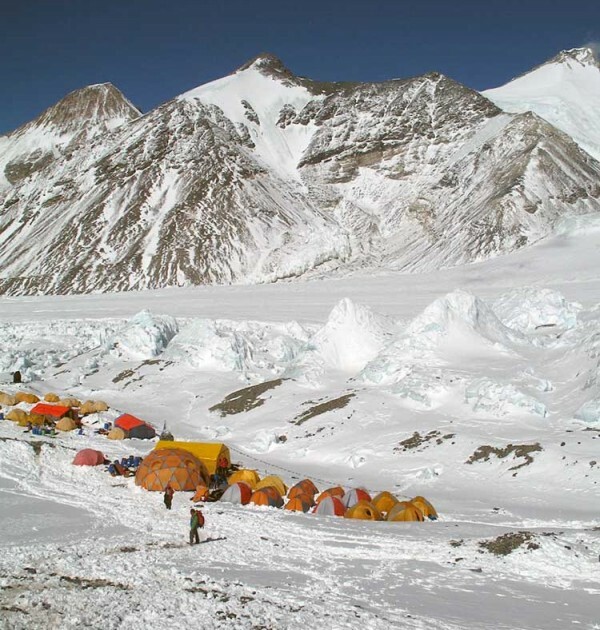 The team are now safe at ABC. 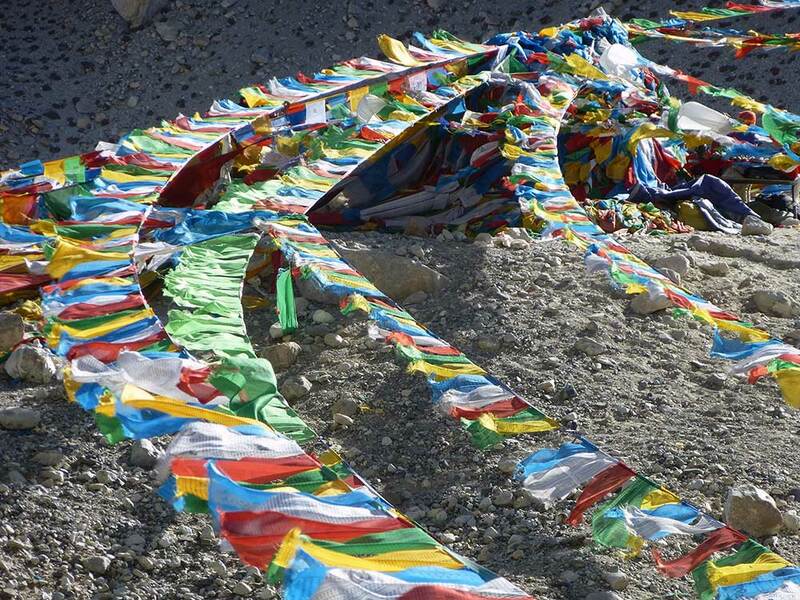 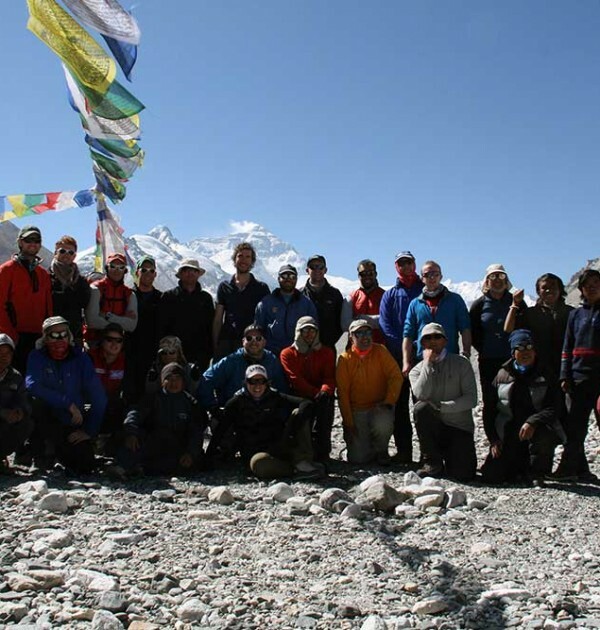 Today is our Everest Summit anniversary - 16th May - It's our Everest Summit anniversary. 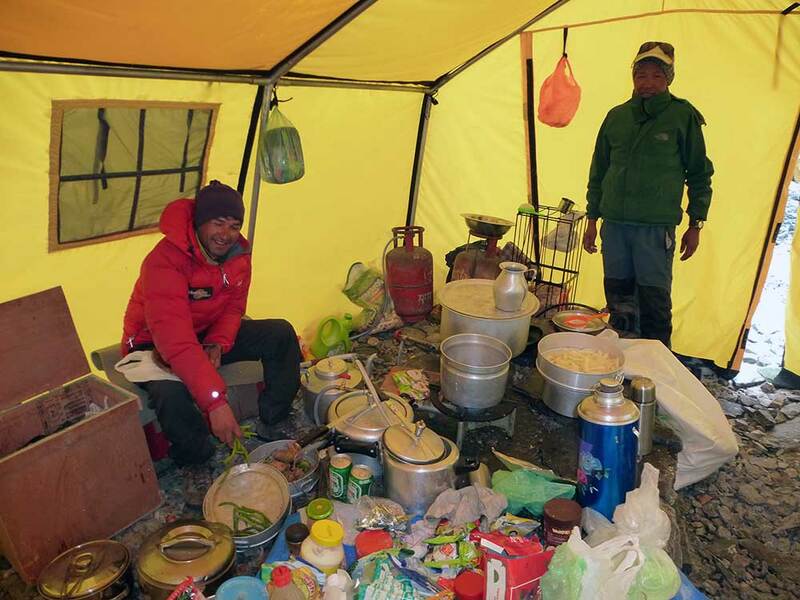 Trip Report – Everest 2017 - Our successful 2017 Mount Everest North Ridge Expedition saw 6 out of 7 of the team reach the summit. 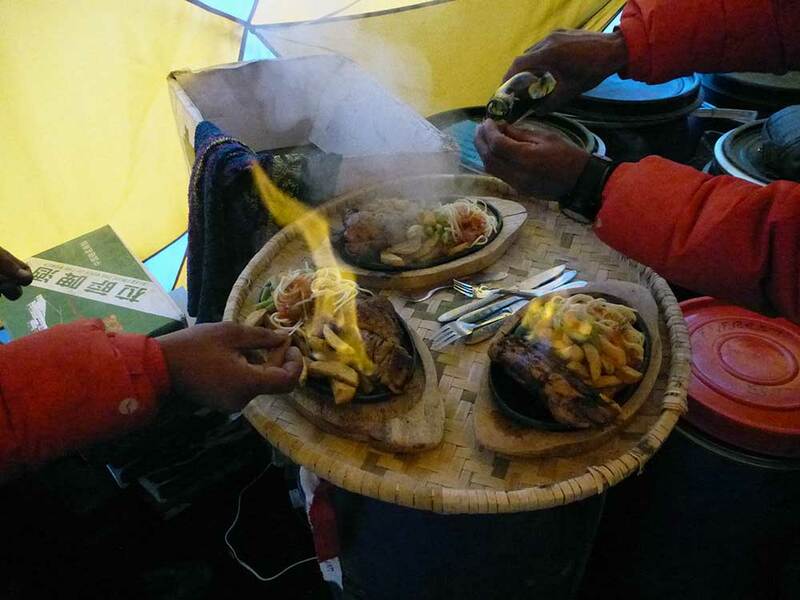 Read the full report of this year's expedition by leader Sean James. 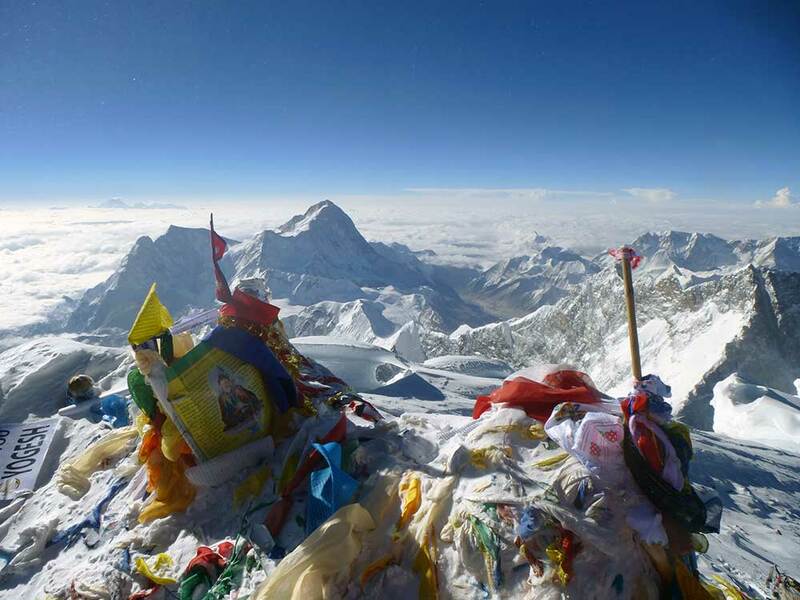 Everest North, Lhakpa Ri and North Col expeditions 2017 - 16th May SUMMIT SUCCESS. 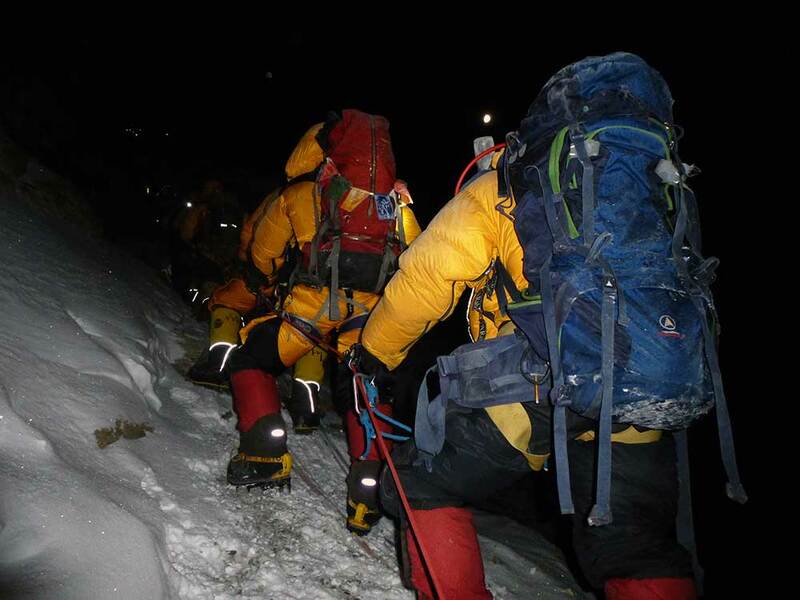 At 2:25am. 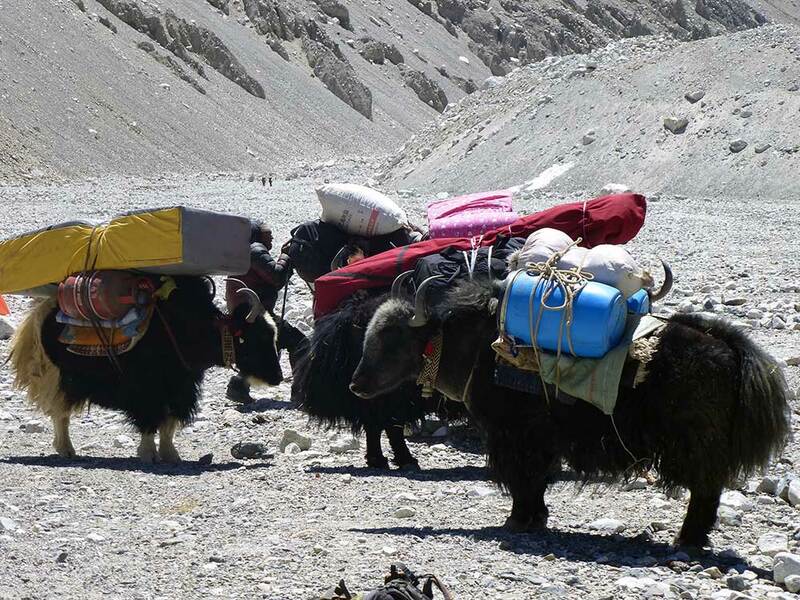 The team are on their way back down the mountain. 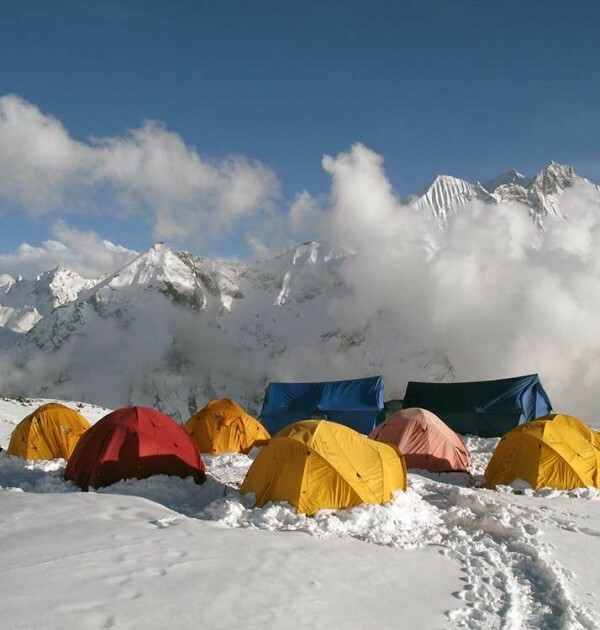 Nepal Spring Season Availability - The Nepal Spring season is just around the corner and we have a few spaces on guaranteed expeditions - bag your space while you can! 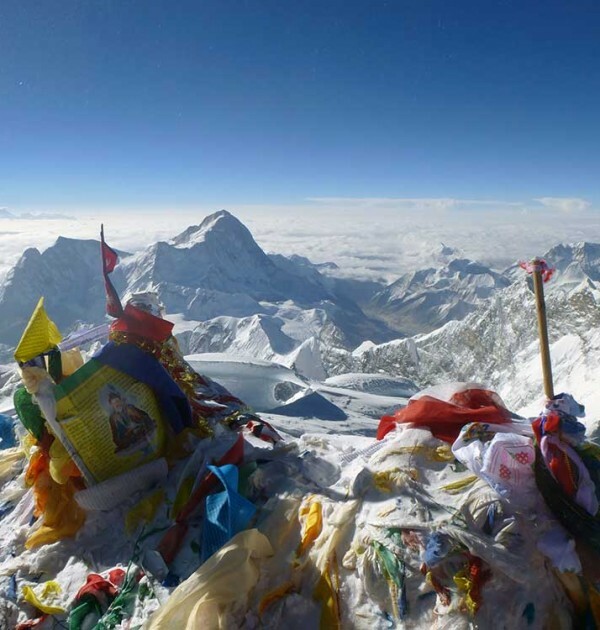 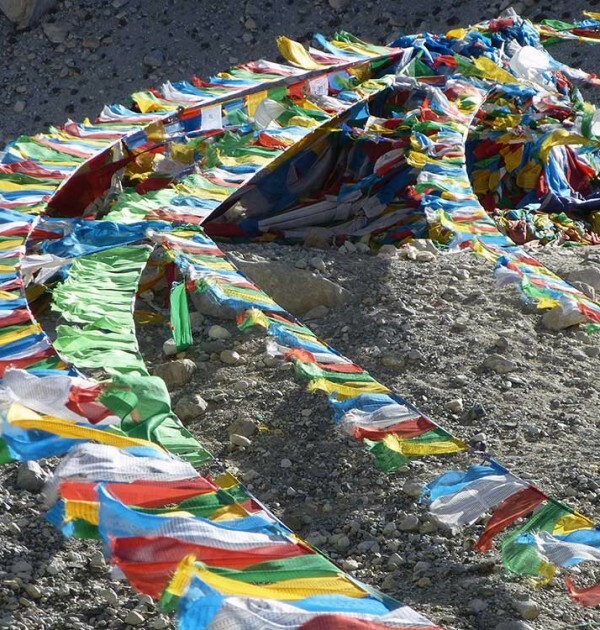 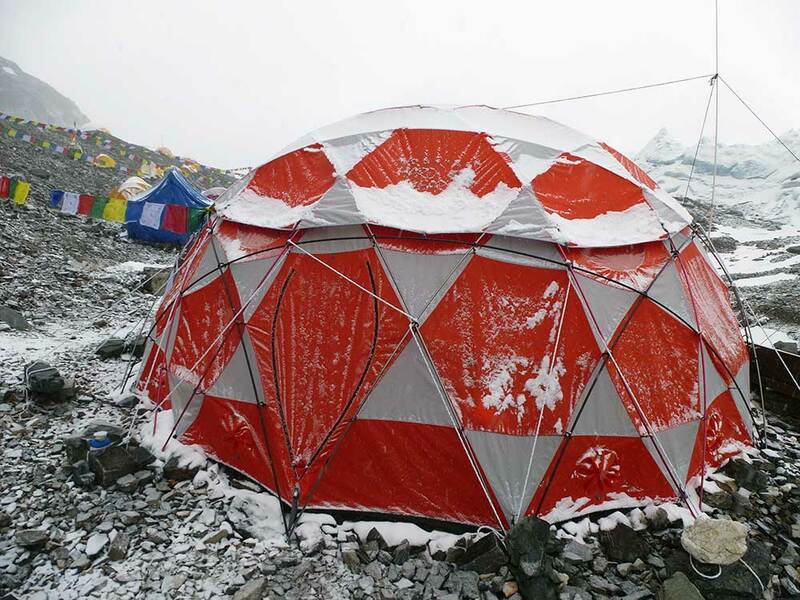 Everest North, Lhakpa Ri and North Col expeditions - Everest Success. 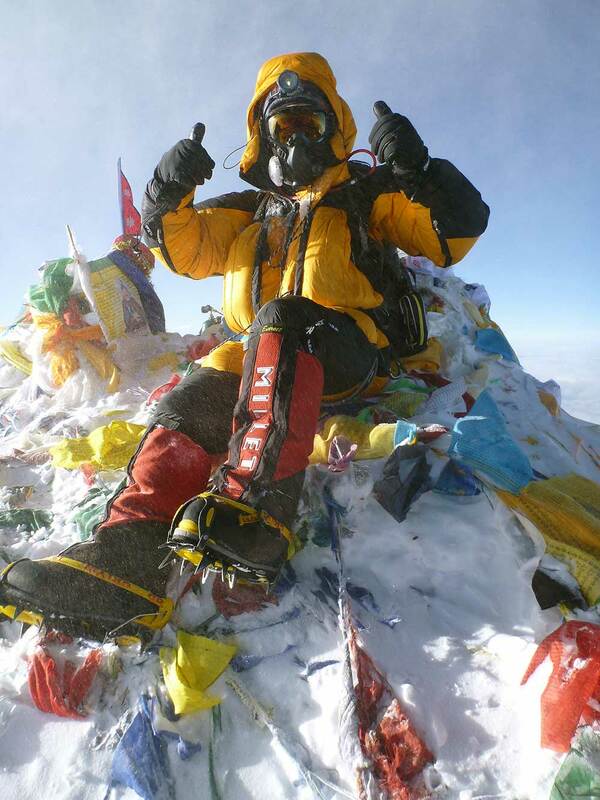 Another summit bid is accomplished. 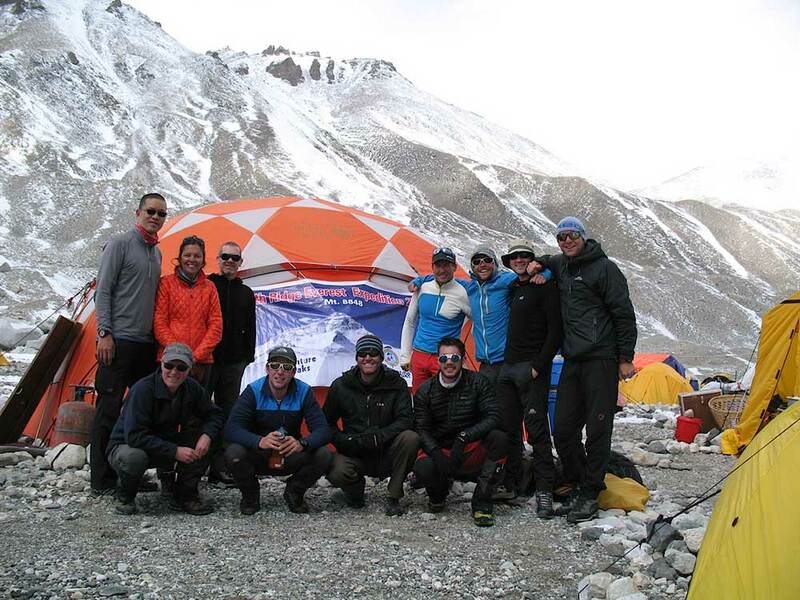 A big well done to the team for their efforts. 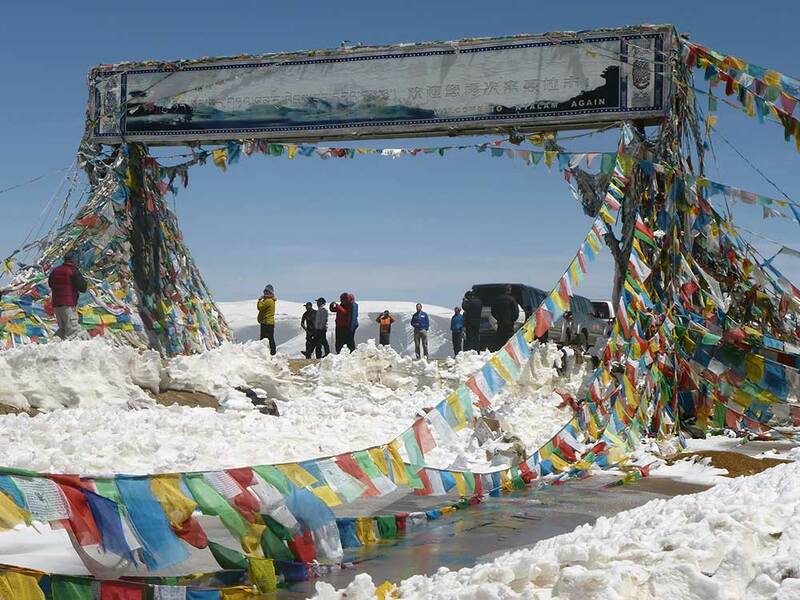 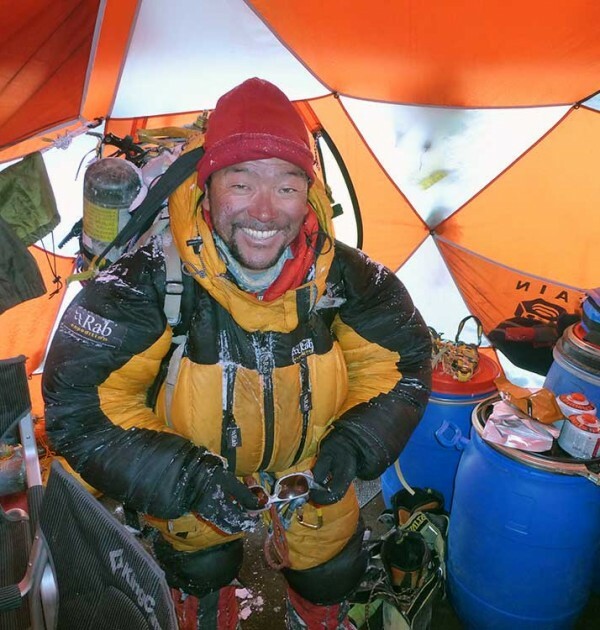 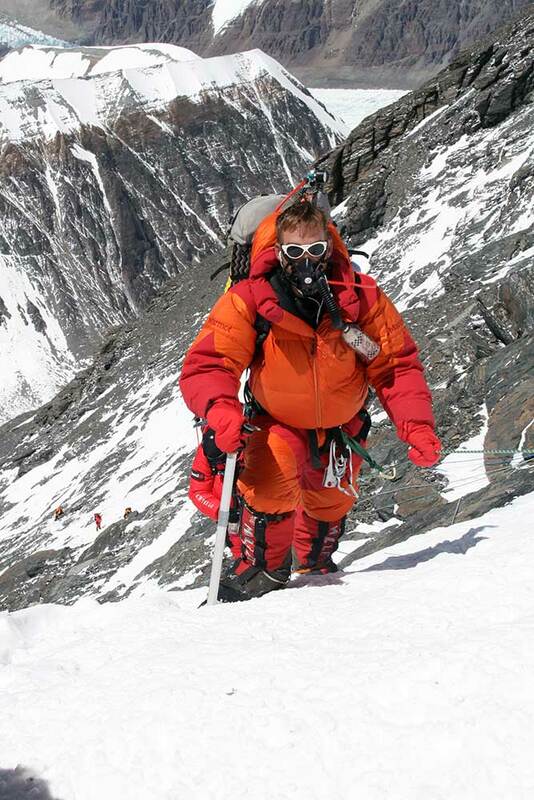 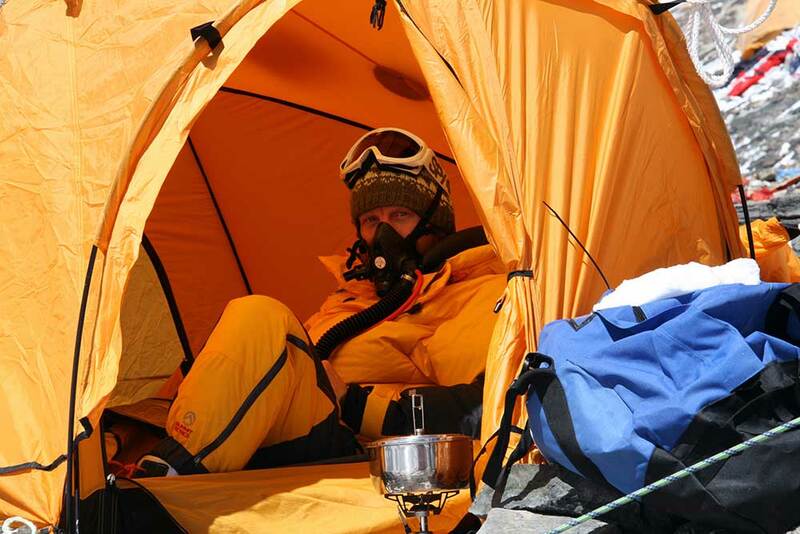 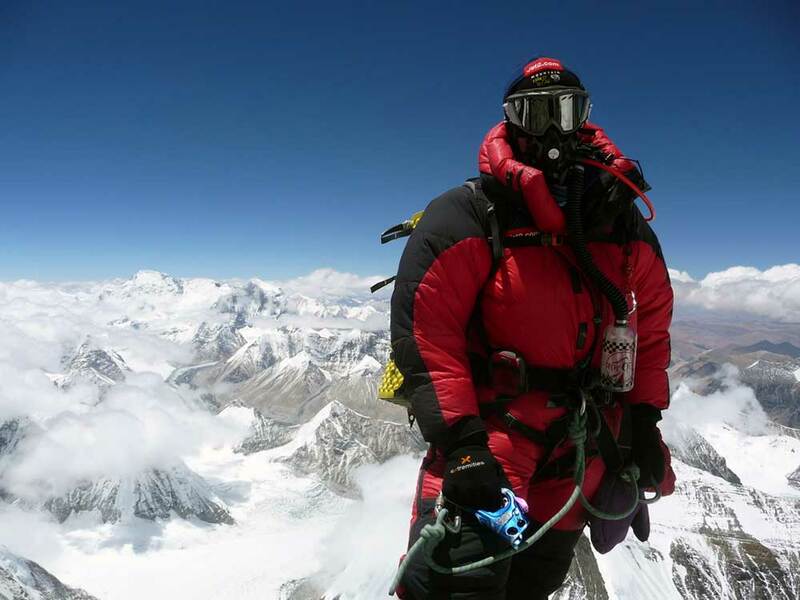 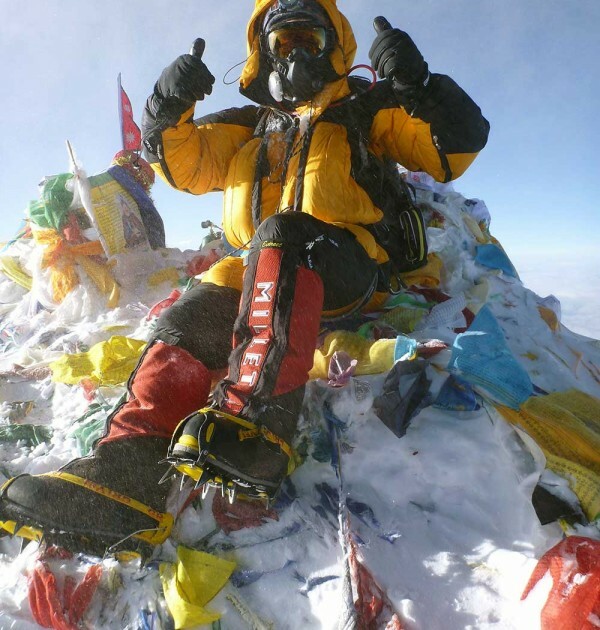 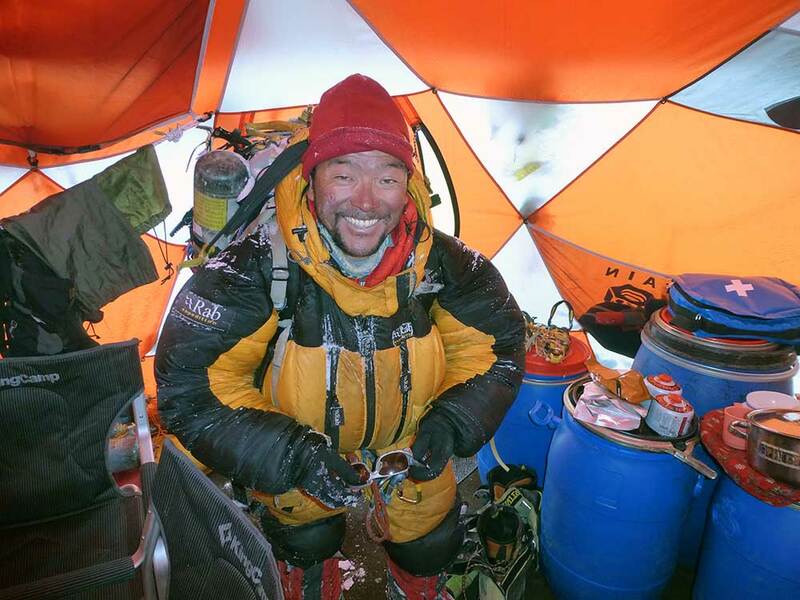 Mick reached the summit around 4:40am followed by Chris, Andrew Whyte & Phurba at 5am. 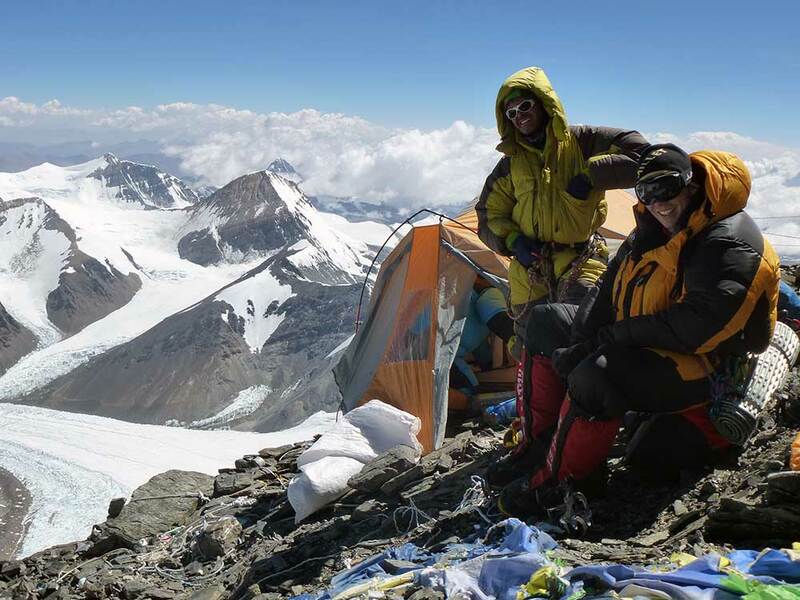 Andy Taylor & Lahkpa reached the summit around 5:30am. 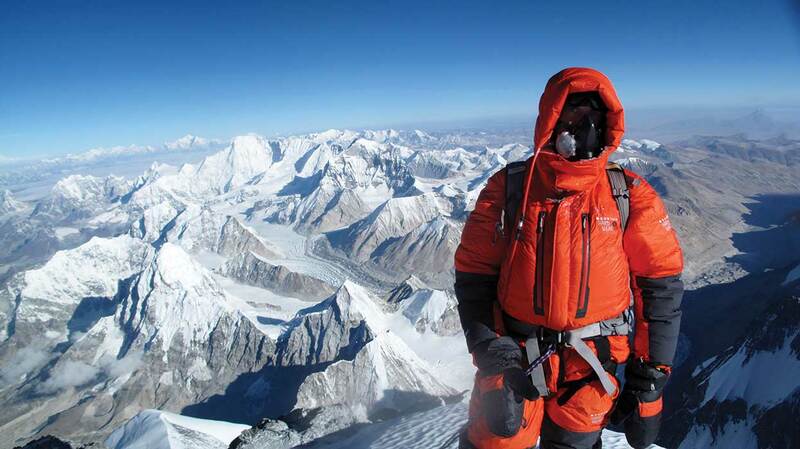 Due to the wind & cold Chris said they spent around 15 minutes on the top before heading back down the mountain. 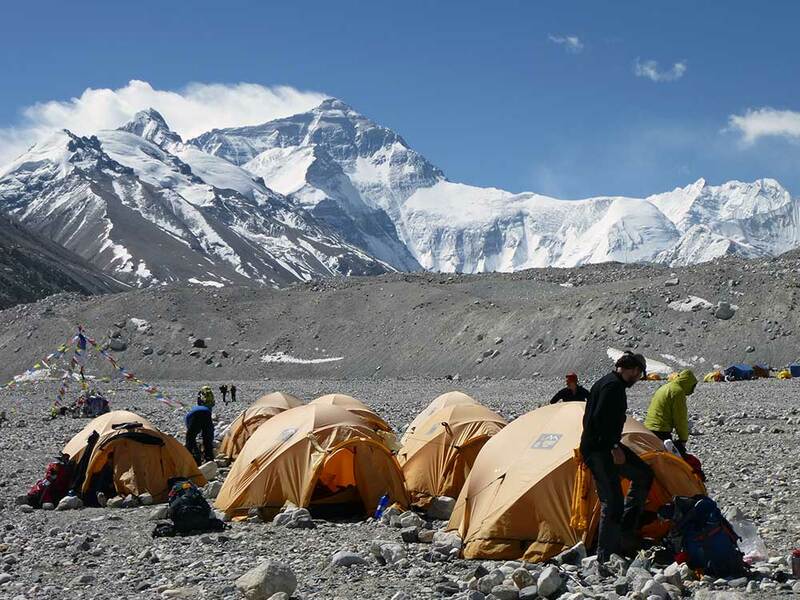 Everest Expeditions, March ’15 - 5th May - We safely arrived in Lhasa today - lovely hotel. 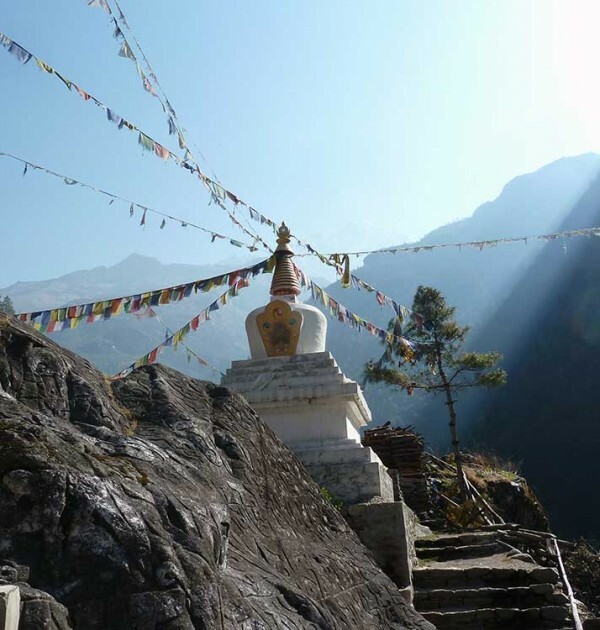 Group spent the afternoon sightseeing in glorious warm sunshine - it really is a lovely city. 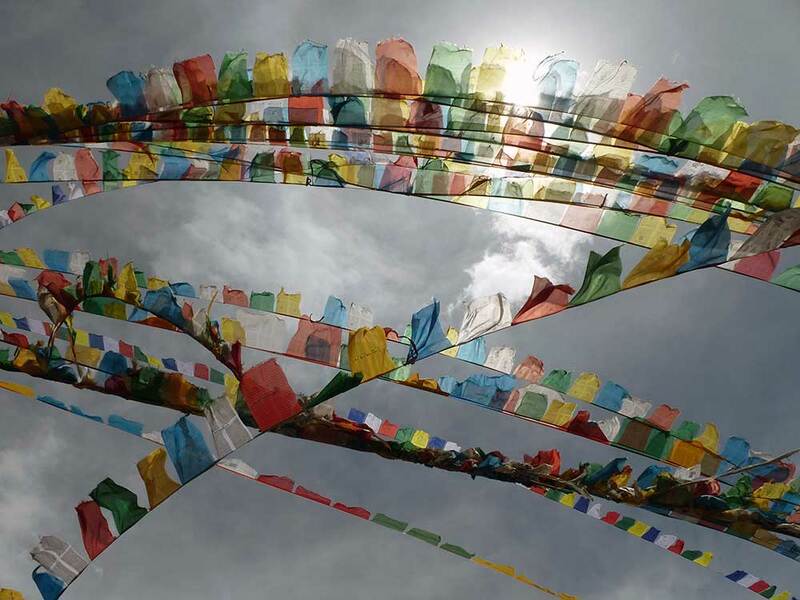 The Potala Palace is simply spectacular! 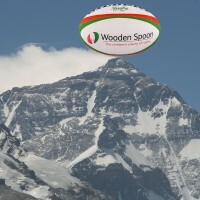 We have a free day tomorrow and are all very much looking forward to flying home on the 6th. 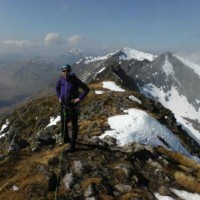 Everest Skills Course - Simon was keen to find out if he has what it takes to climb Everest so we created a bespoke version of our Scottish Winter Walking Skills course.